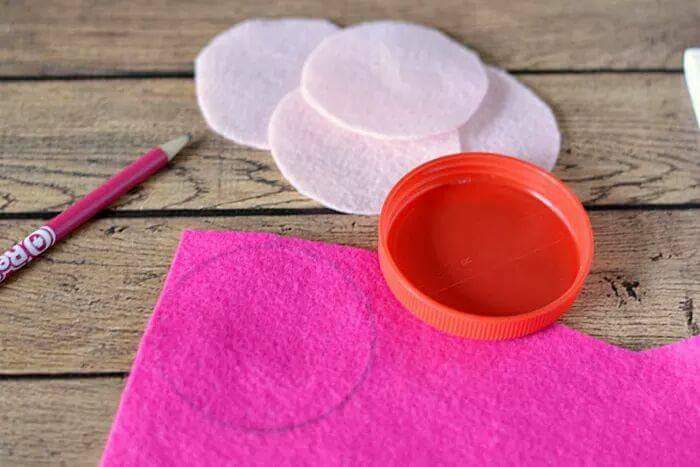 Pour about a half of a cup of your decoupage into the plastic bowl. 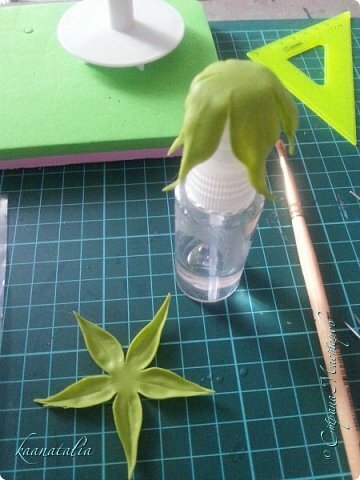 then pour enough water into the decoupage to make it thin. 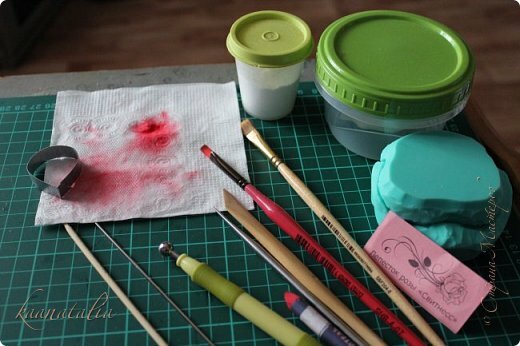 You will know it is thin enough when it drips off your brush. 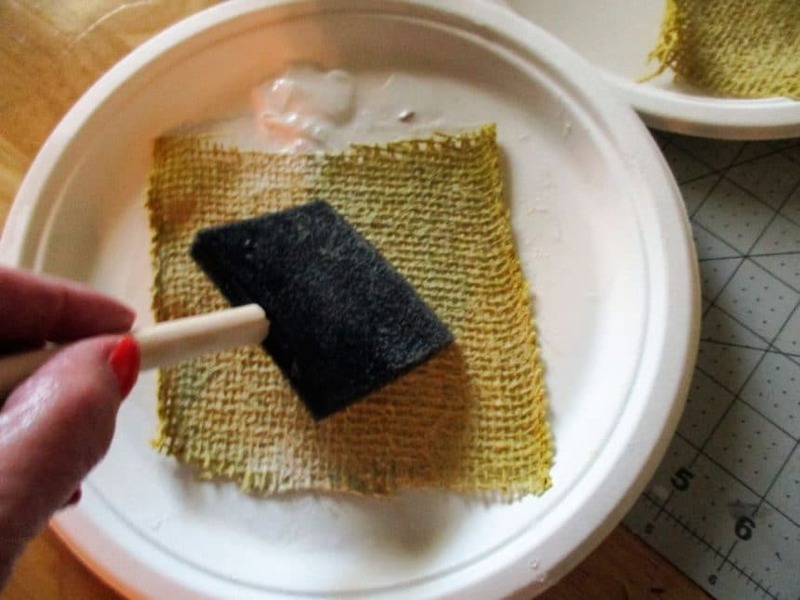 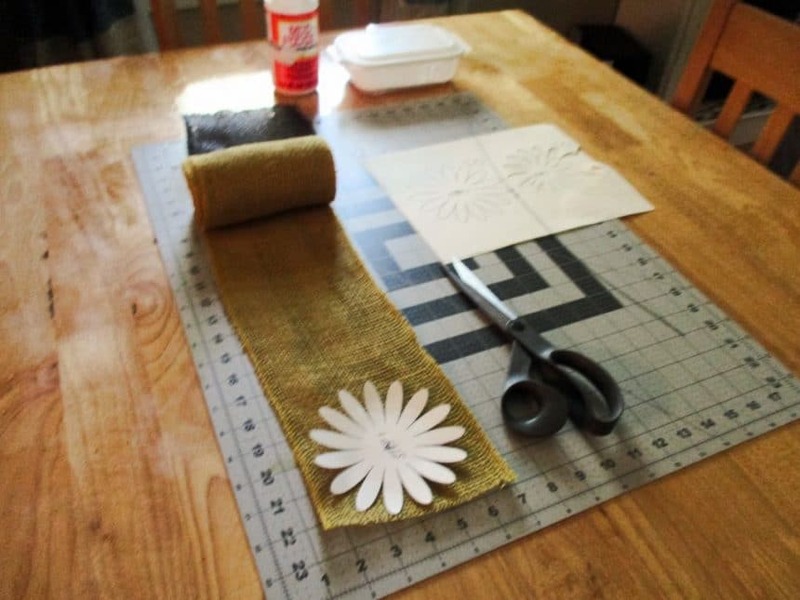 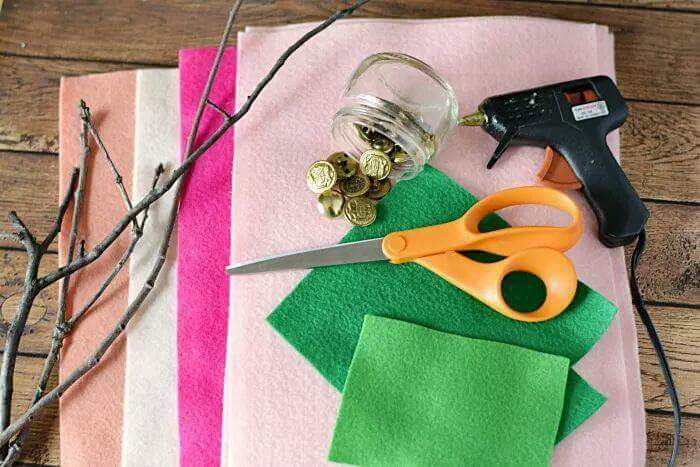 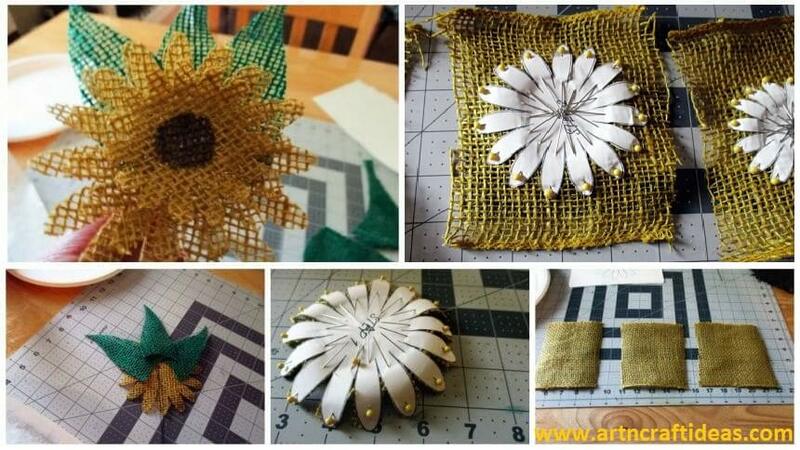 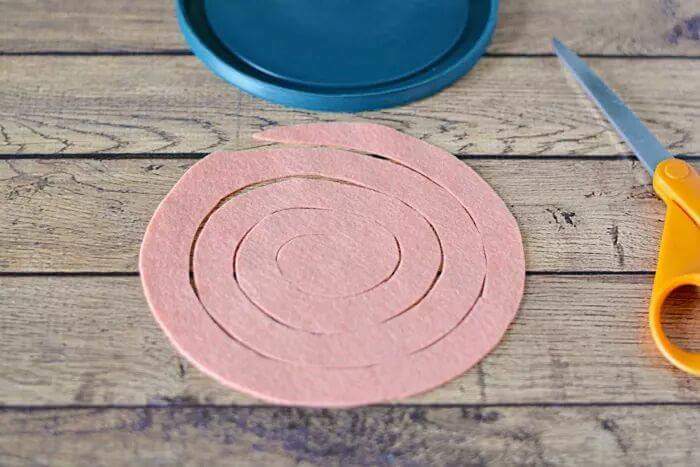 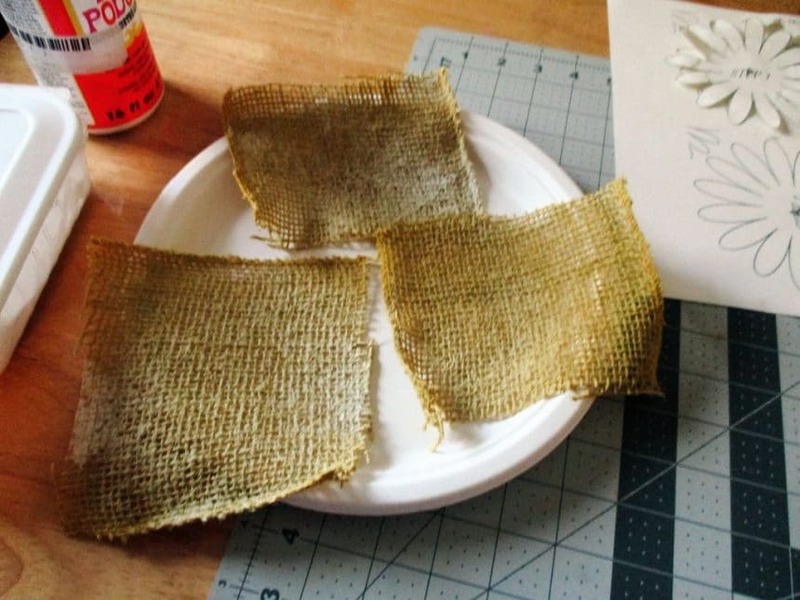 Use your first paper plate and lay your burlap piece down and start brushing until you have covered the whole piece. 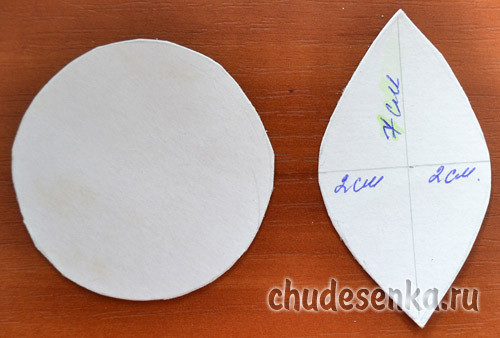 Place the piece on the clean paper plate and repeat. 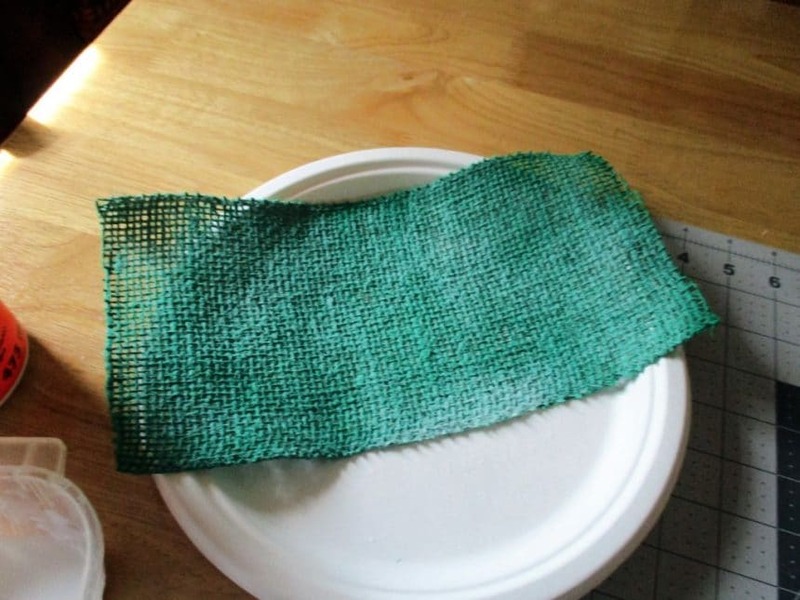 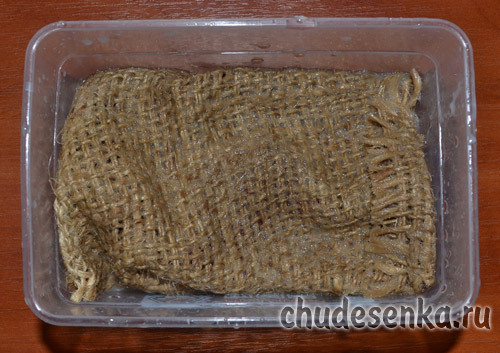 I did take another plate for the 6″ of the green burlap. 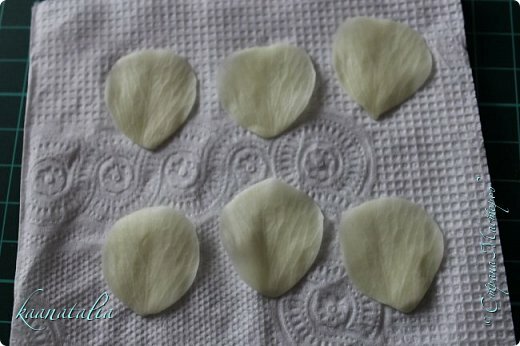 I let my dry overnight. 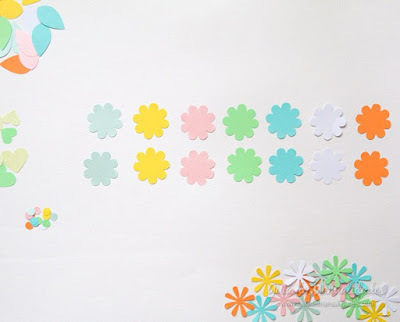 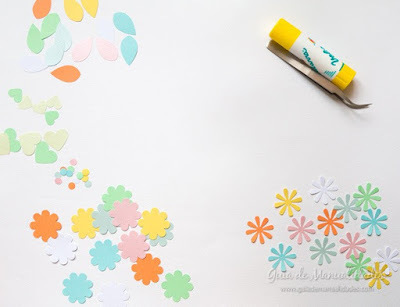 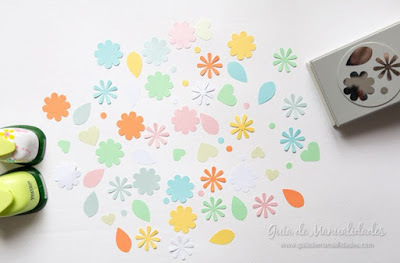 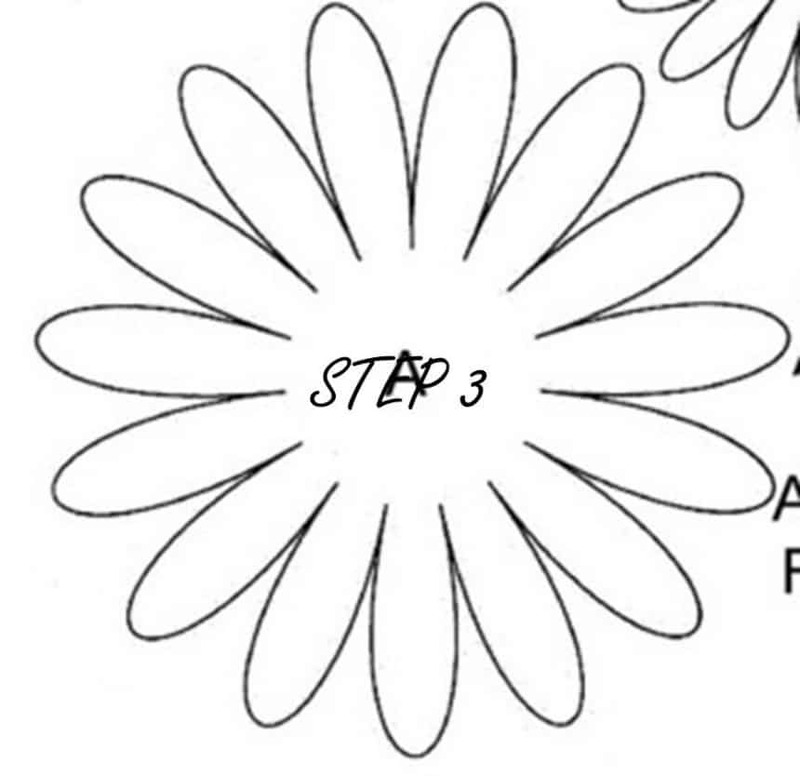 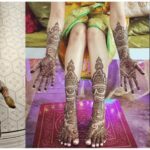 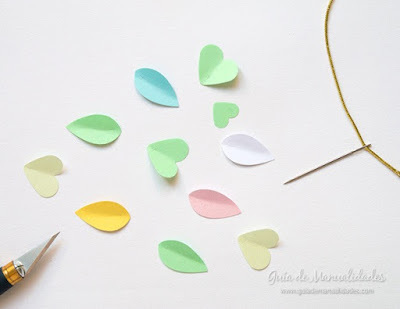 You will need to cut your flower templates out. 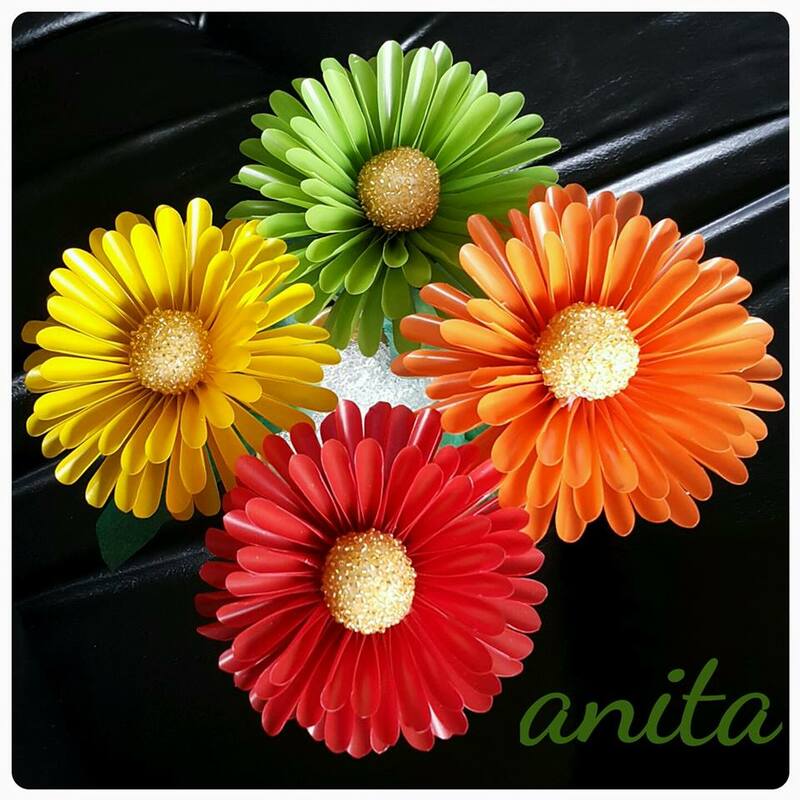 I downloaded the flowers and then resized them to 5″, 4″, and 3″. 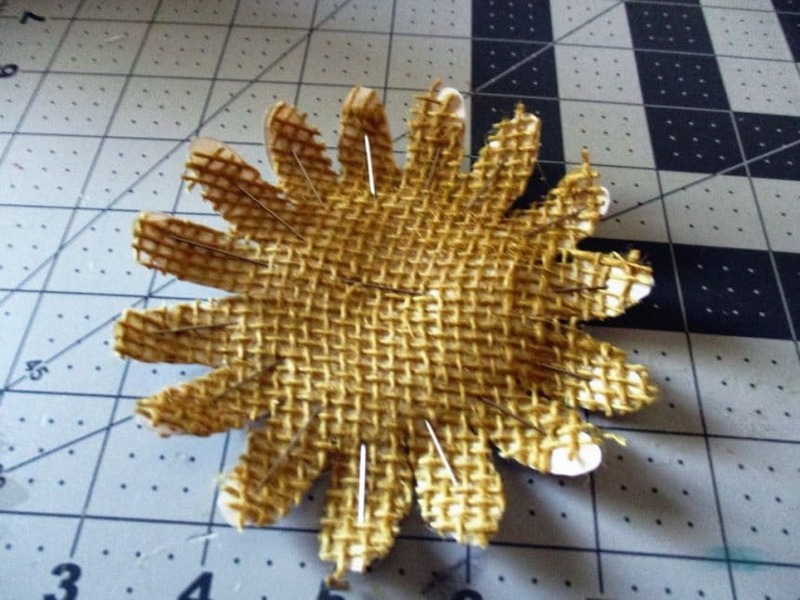 Take your straight pins, I use the ones with the heads on them, and pin from the top of the peddles to the center. 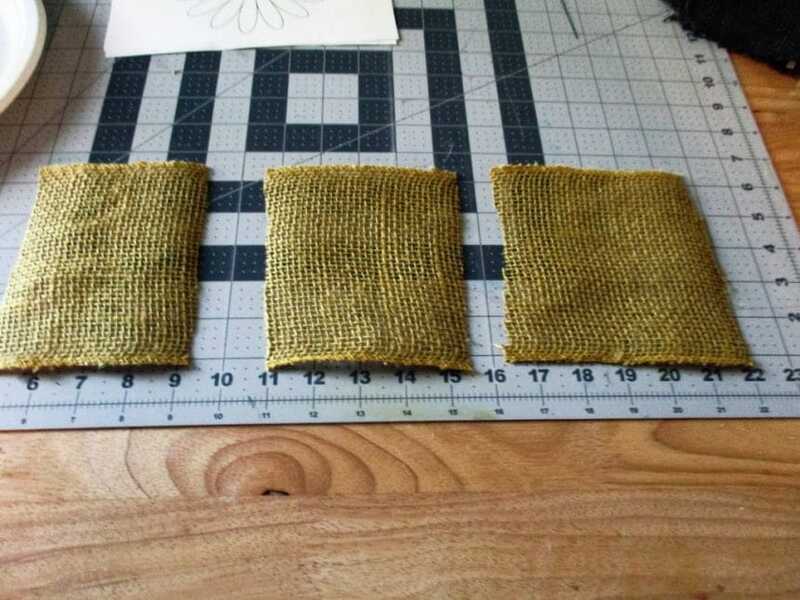 Now a trick I use is to start with a paddle and cut around the top then do the same thing with each peddle until you have gone all the way around. 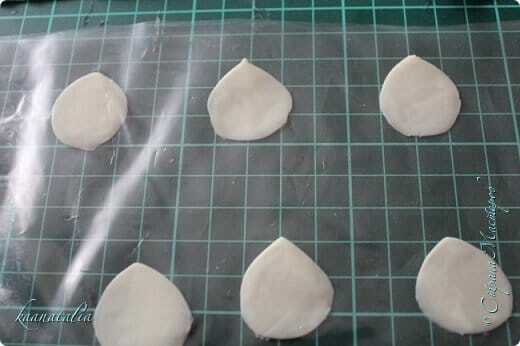 I then turn over the paddle and cut the opposite side of each paddle. 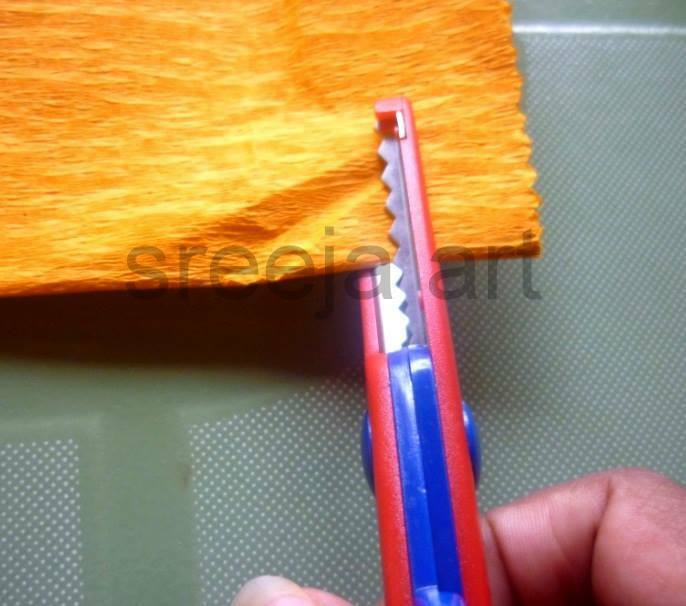 Look at the picture of the front and back of the peddles and you will see this gives you a clean cut. 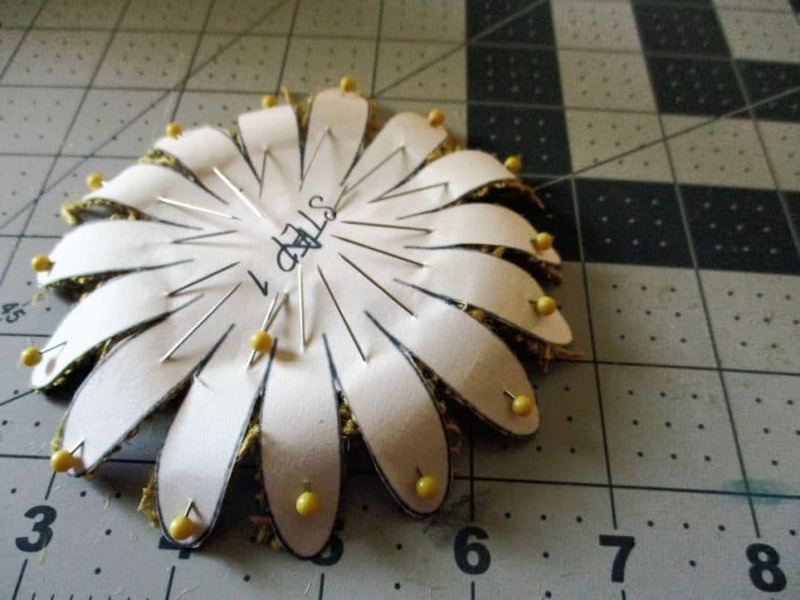 Now take your pins out and you will be ready to assemble. 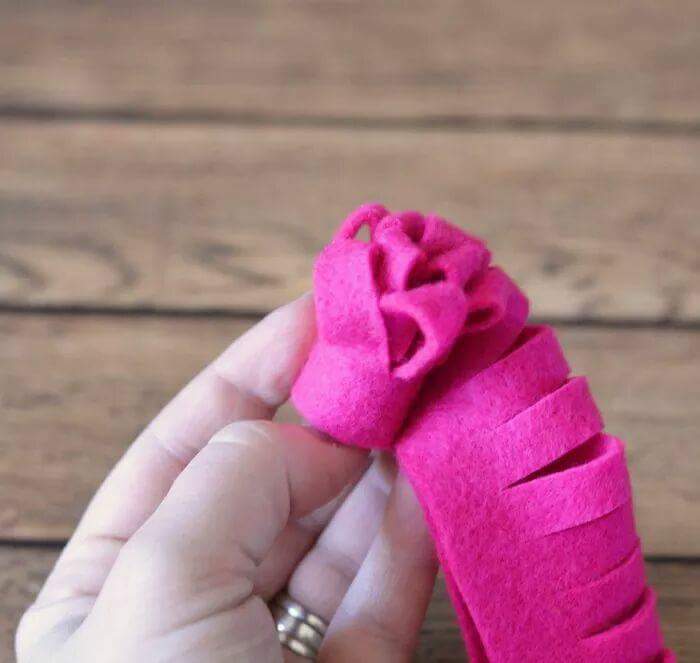 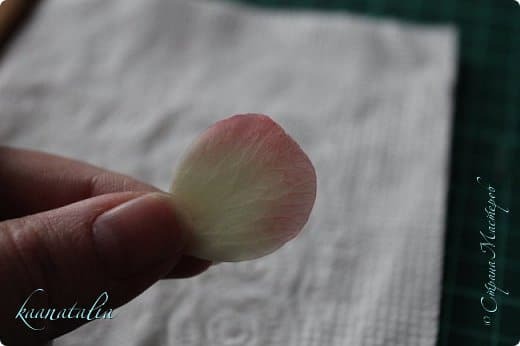 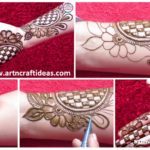 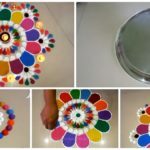 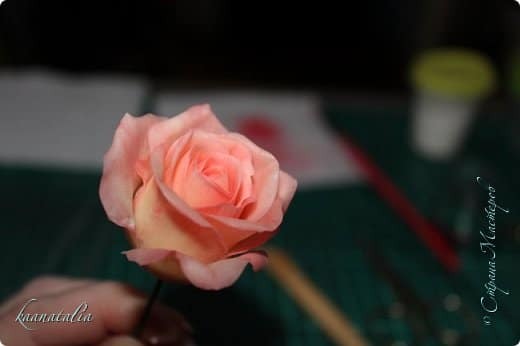 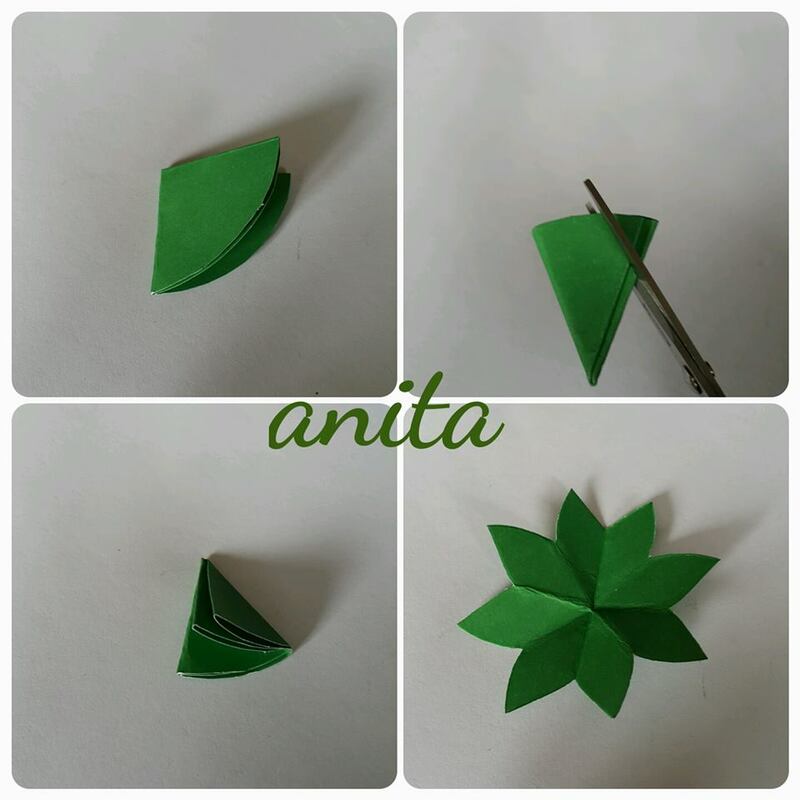 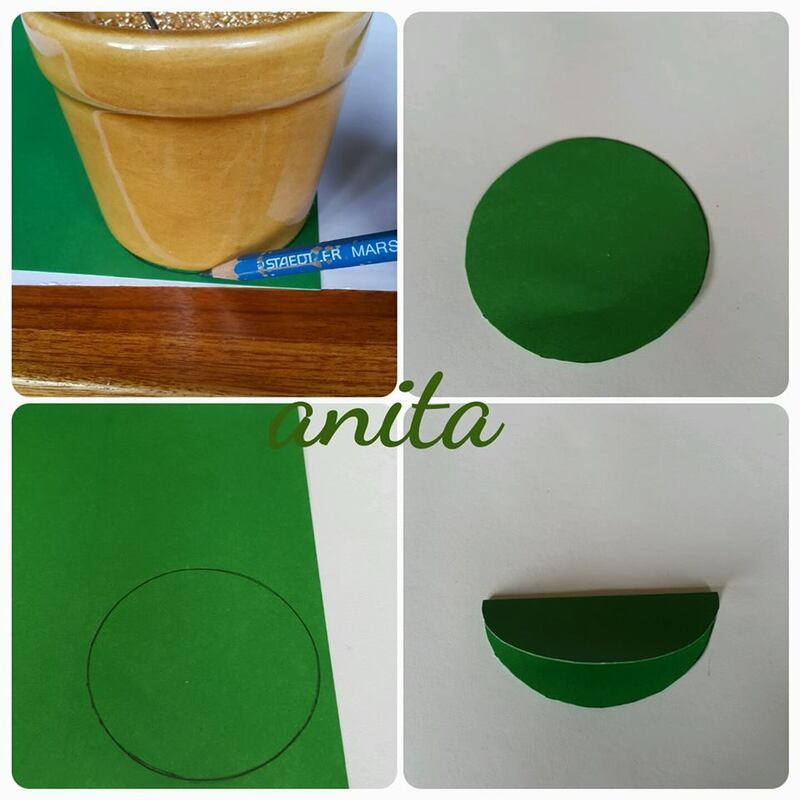 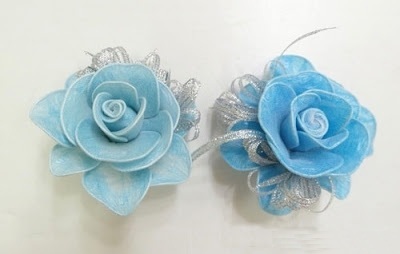 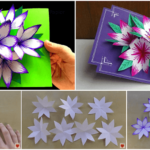 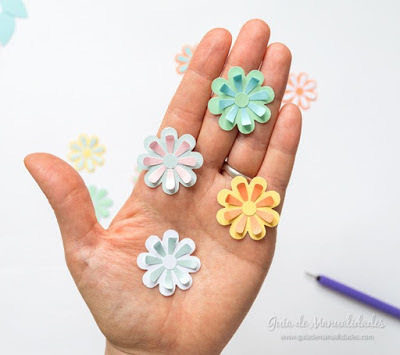 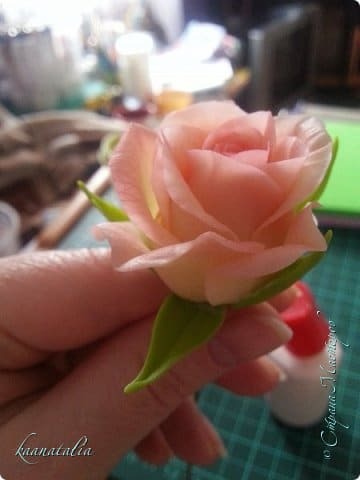 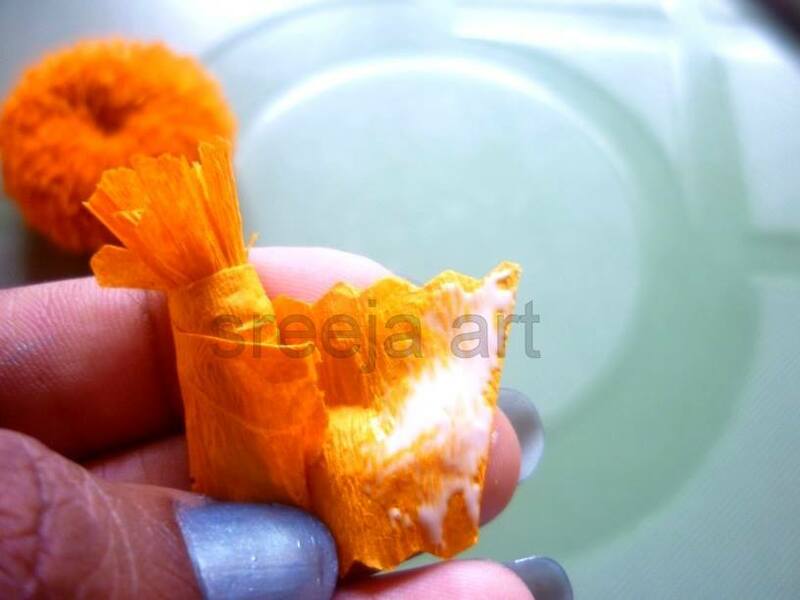 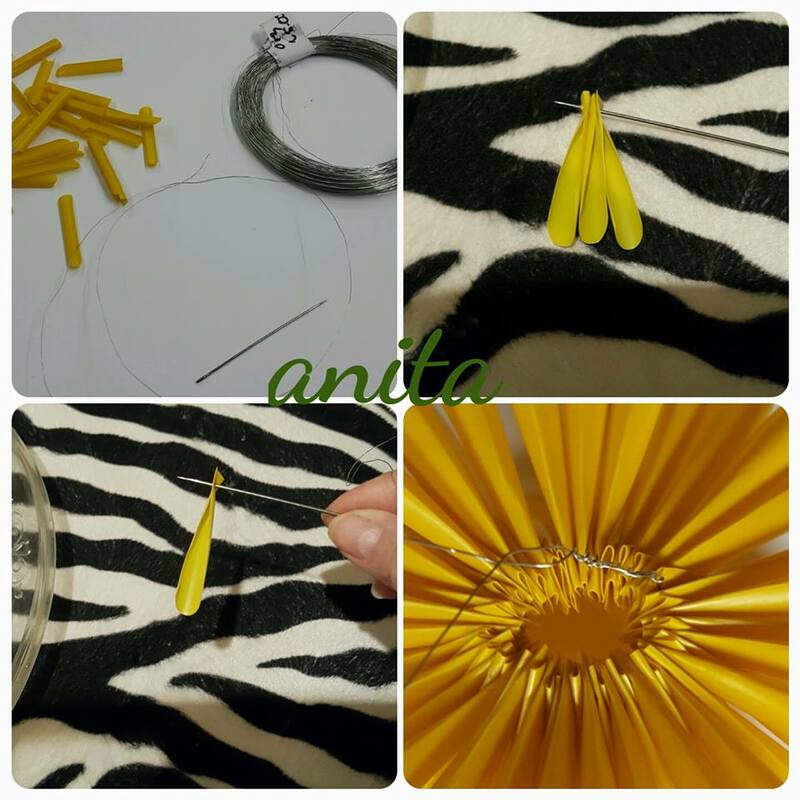 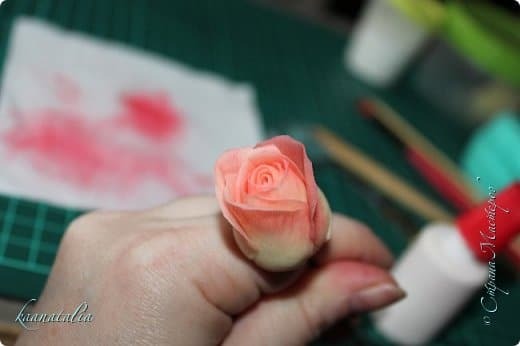 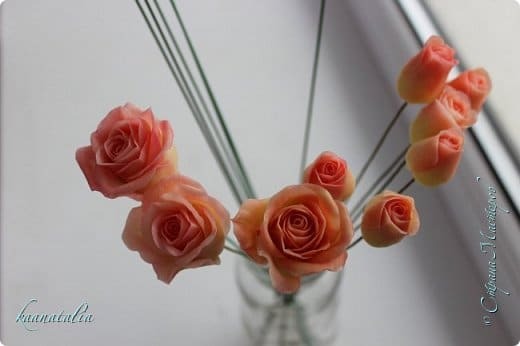 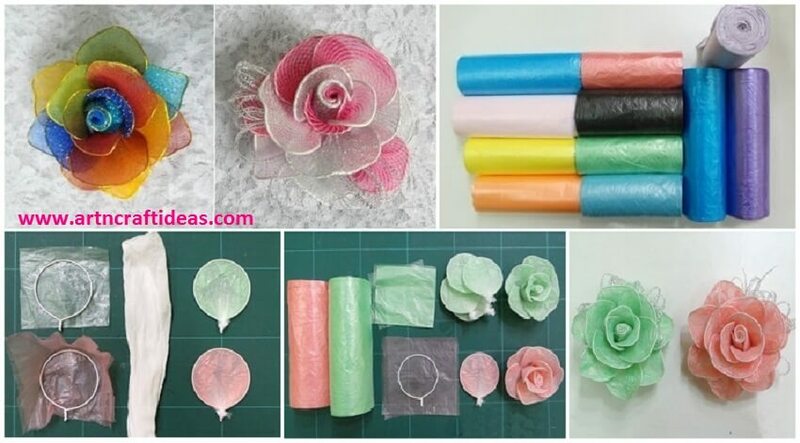 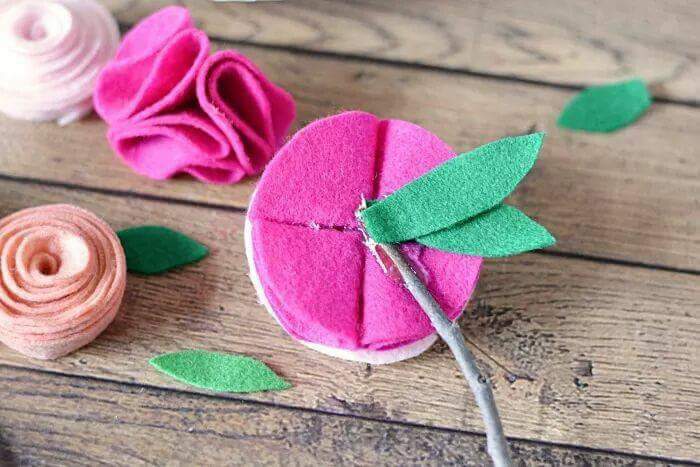 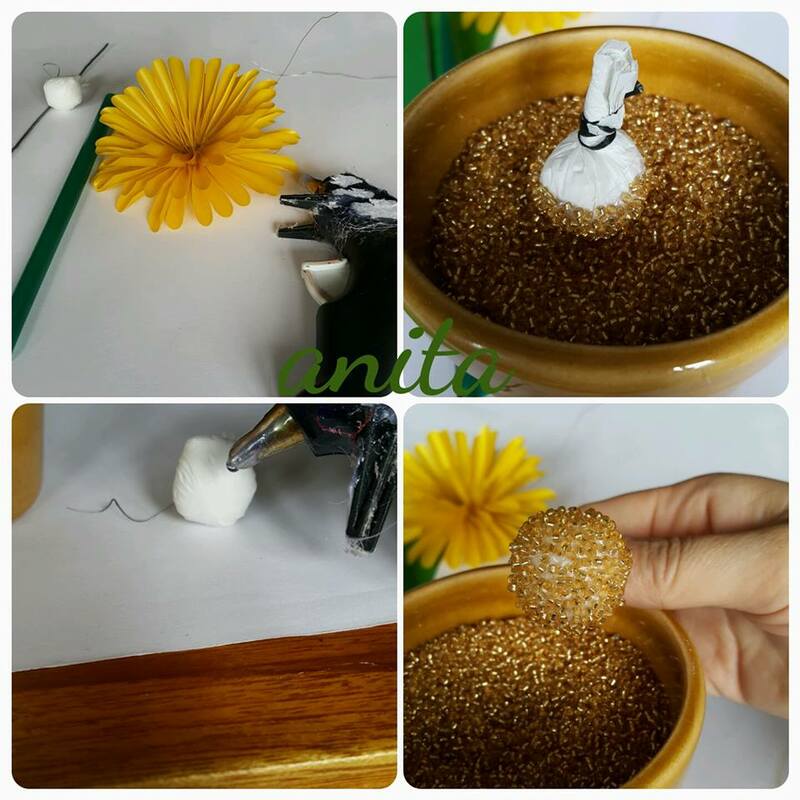 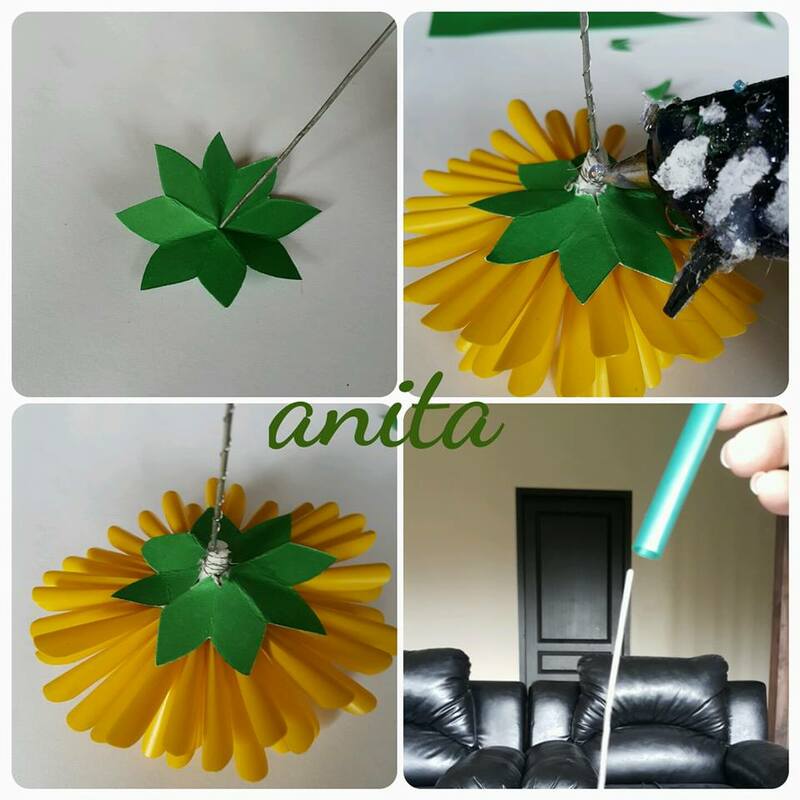 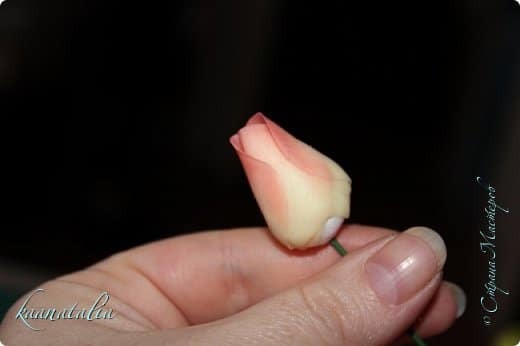 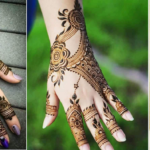 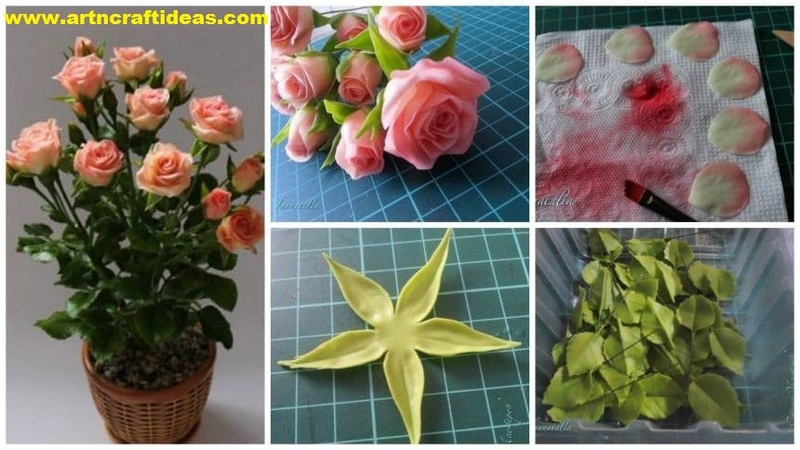 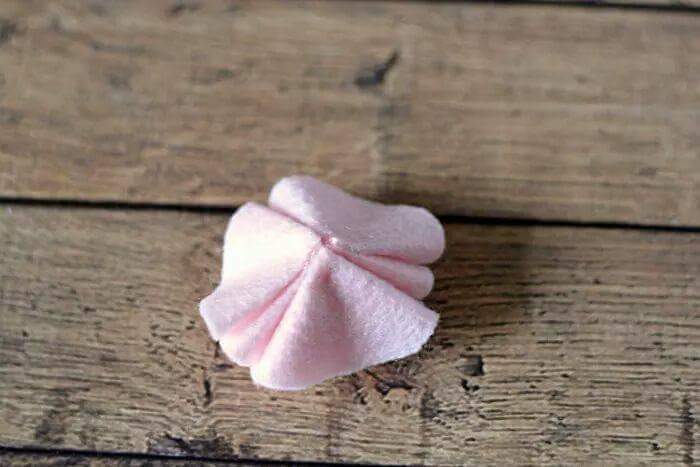 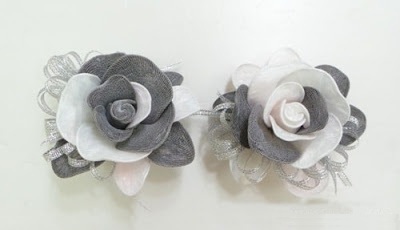 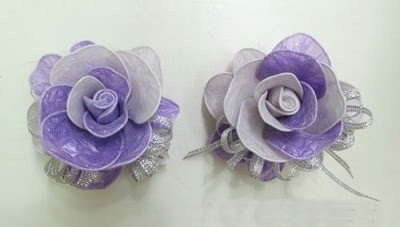 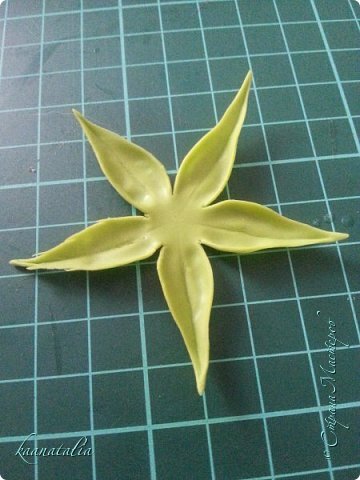 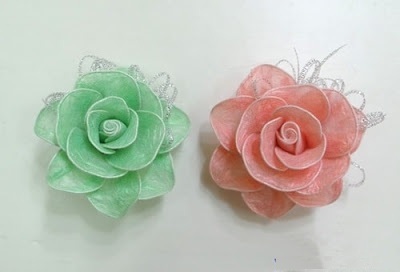 In the first picture you will see I am using my fingers to fold the flower in haft, I will do this on both sides of the flower to find the center. 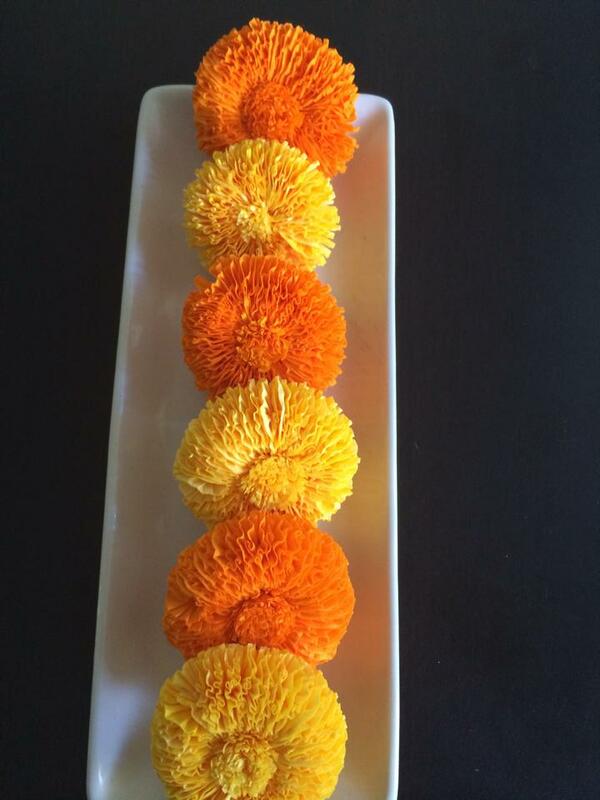 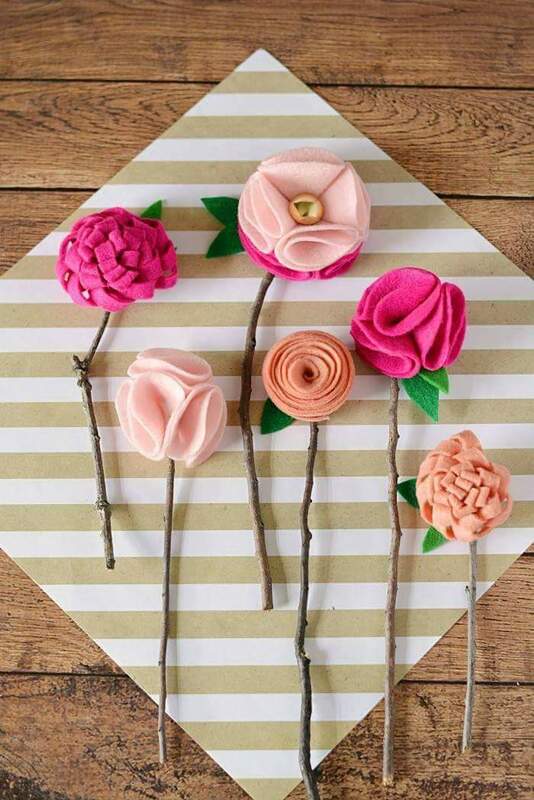 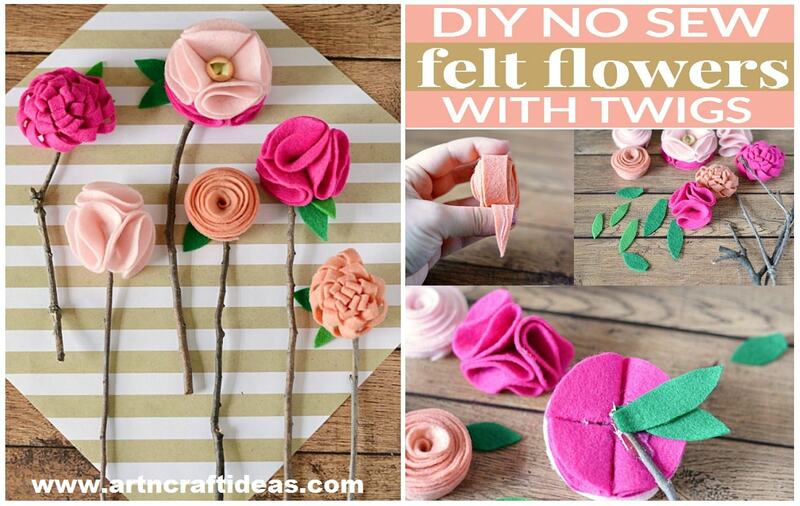 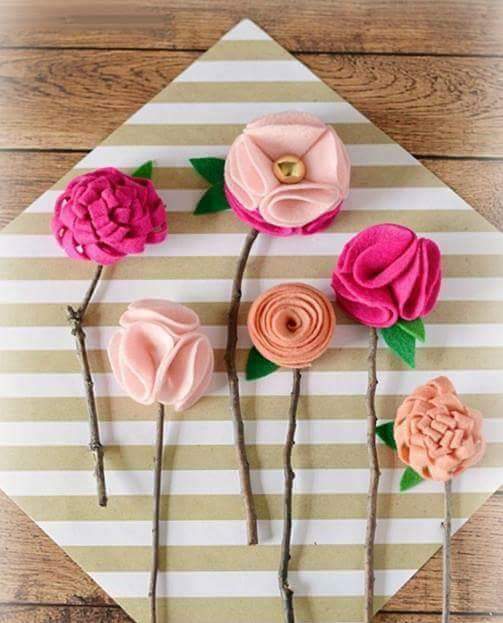 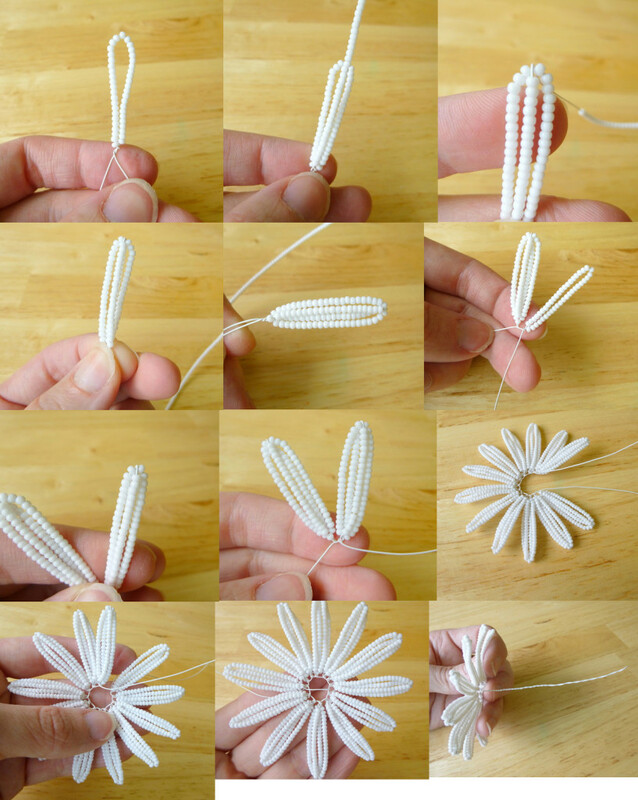 Now stack each of your flowers and turn over to slide the wire through the center. 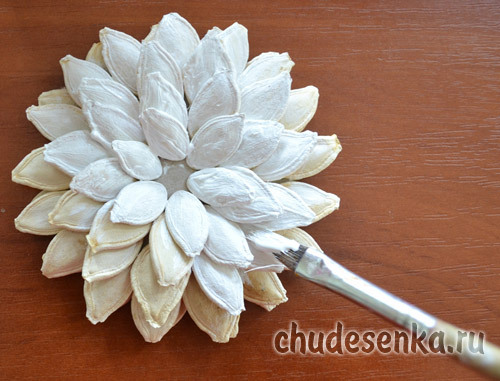 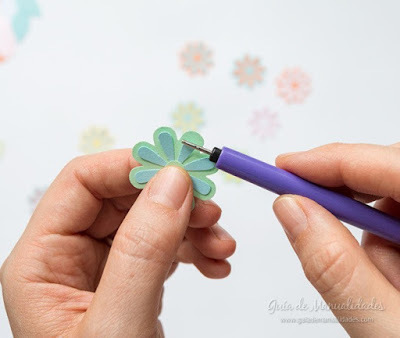 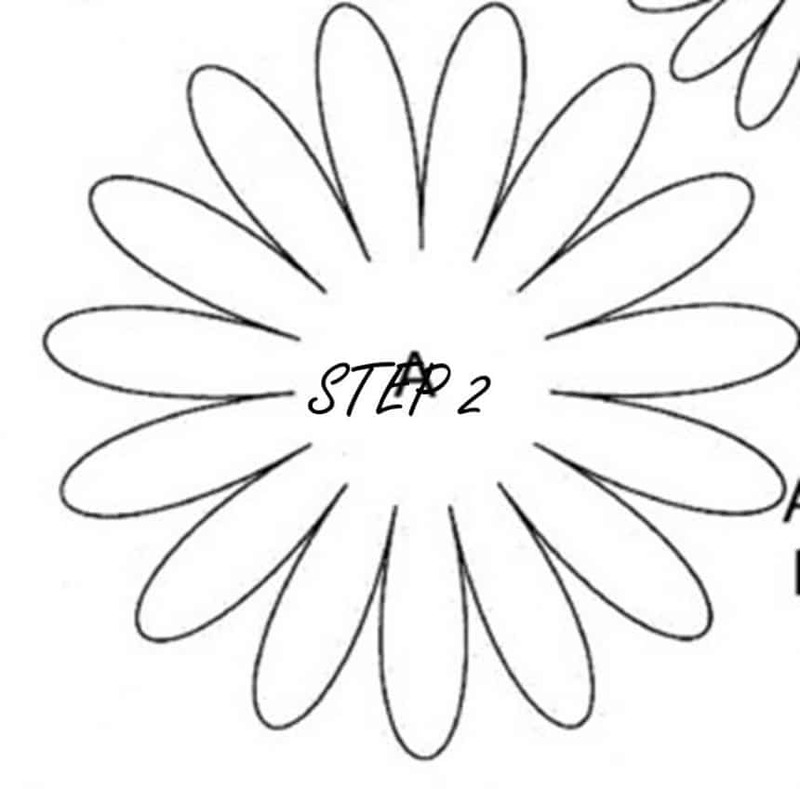 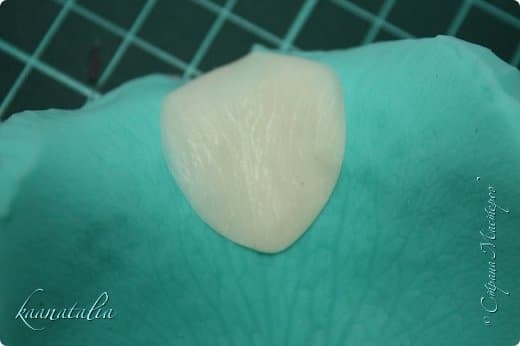 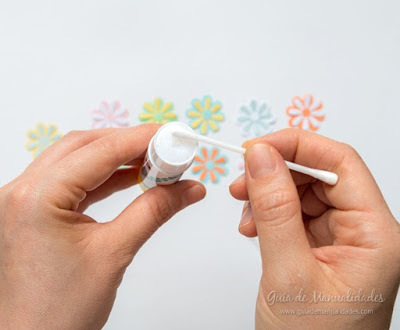 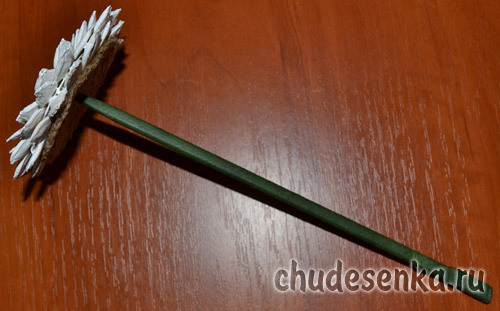 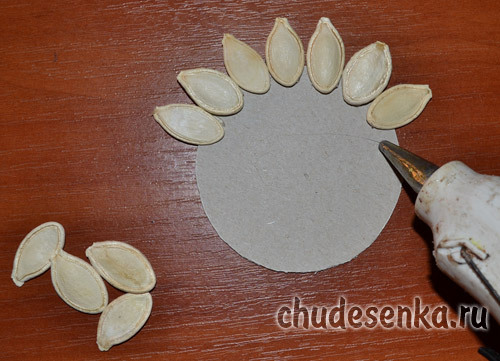 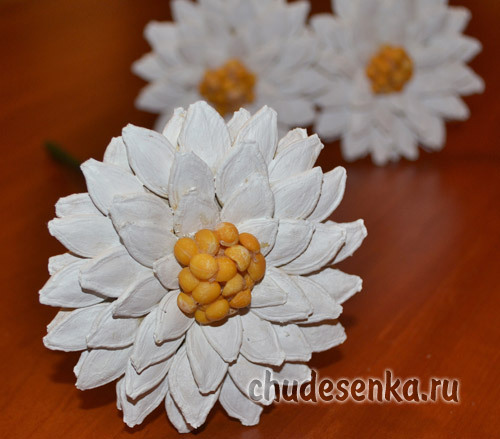 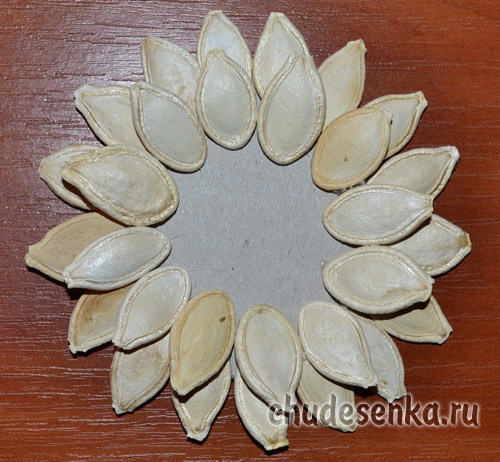 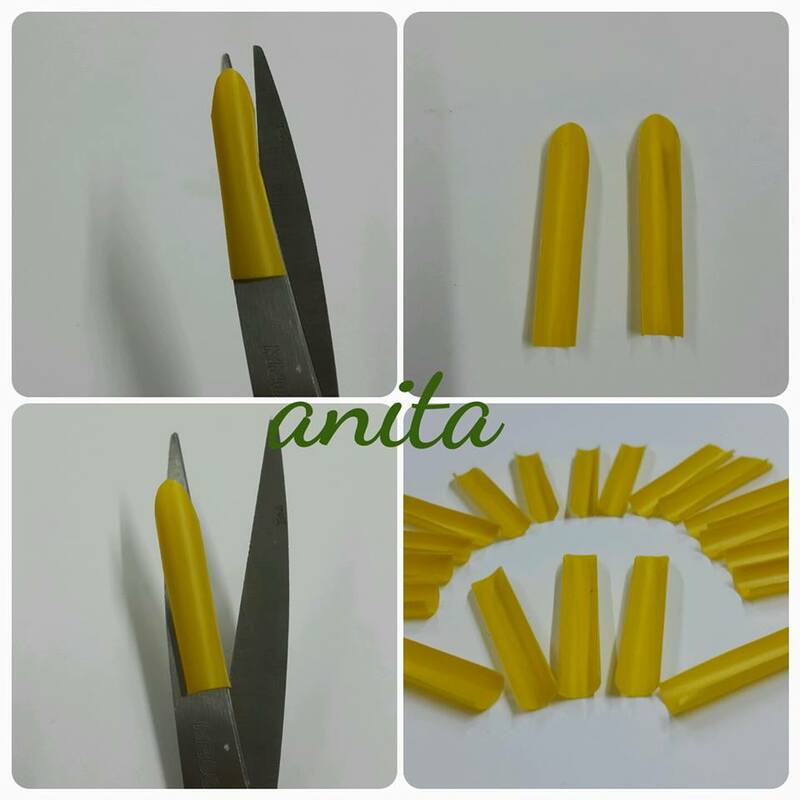 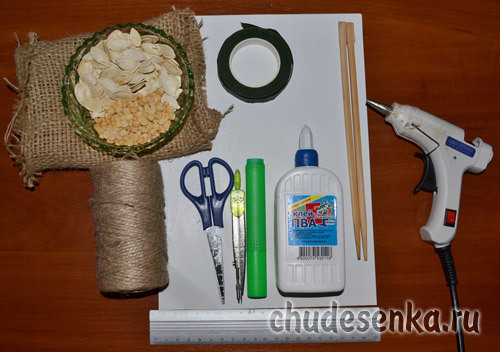 If you do not want to use the flower for a pick skip this step and glue each one in the center. 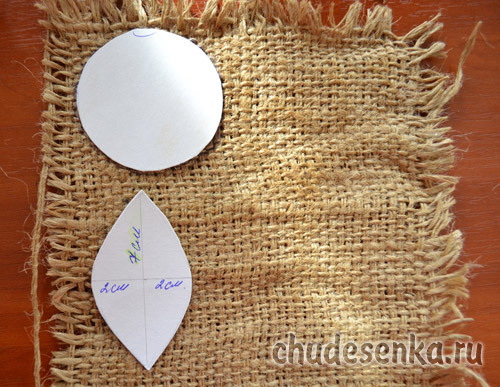 Turn over and glue your center circle of brown burlap in the center. 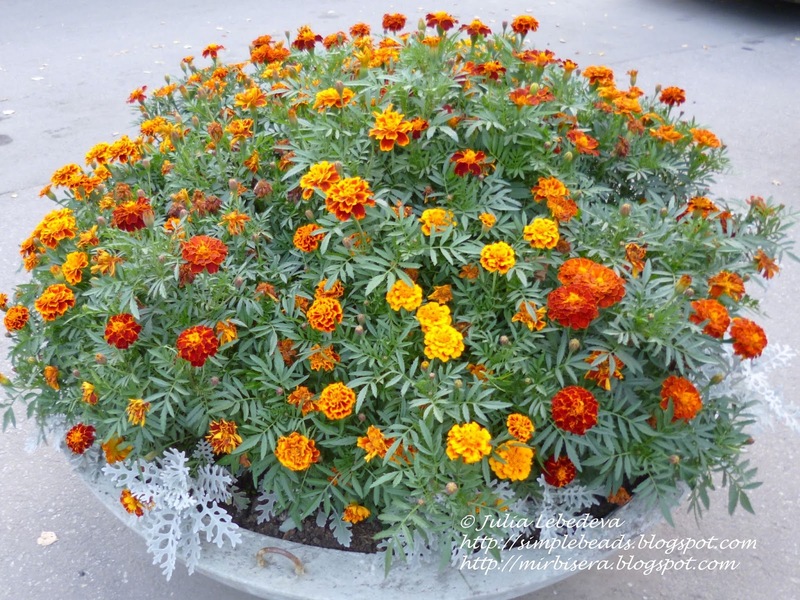 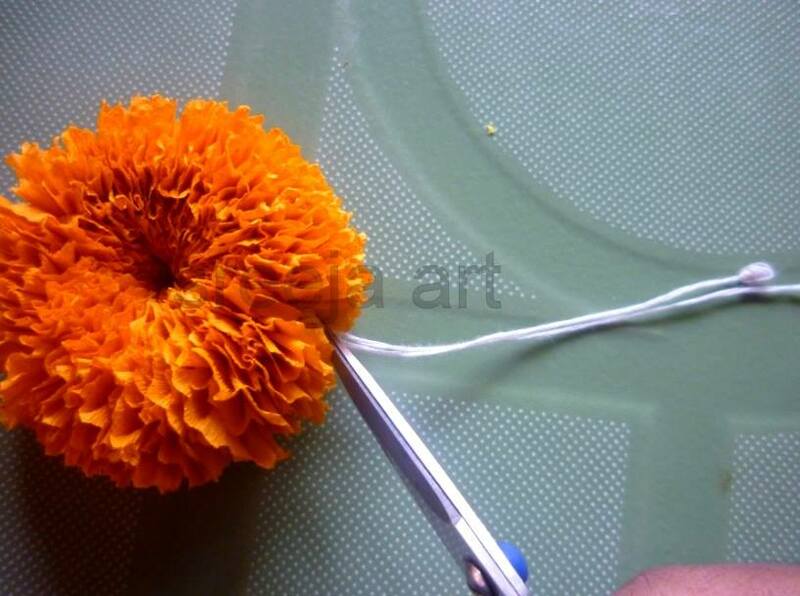 Turn back over and lay your leaves, you can use as many or little as you like, to the back of the flower. 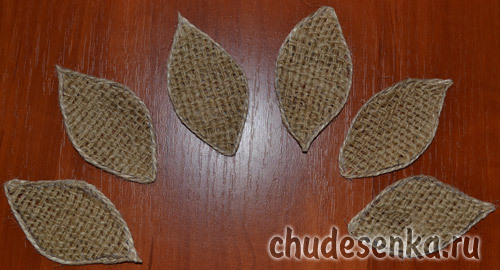 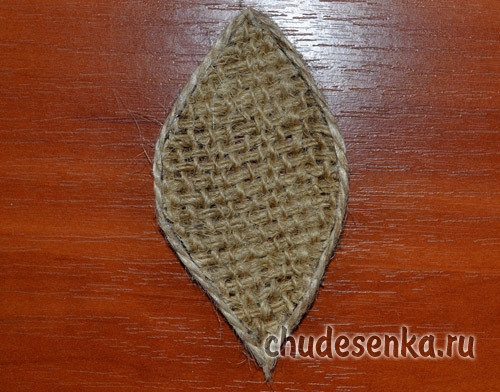 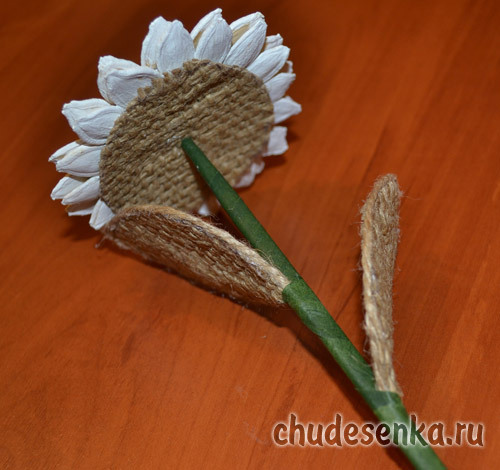 That is it and now you have your burlap flower as a pick or you can make and use on hats, headband, anything you like. 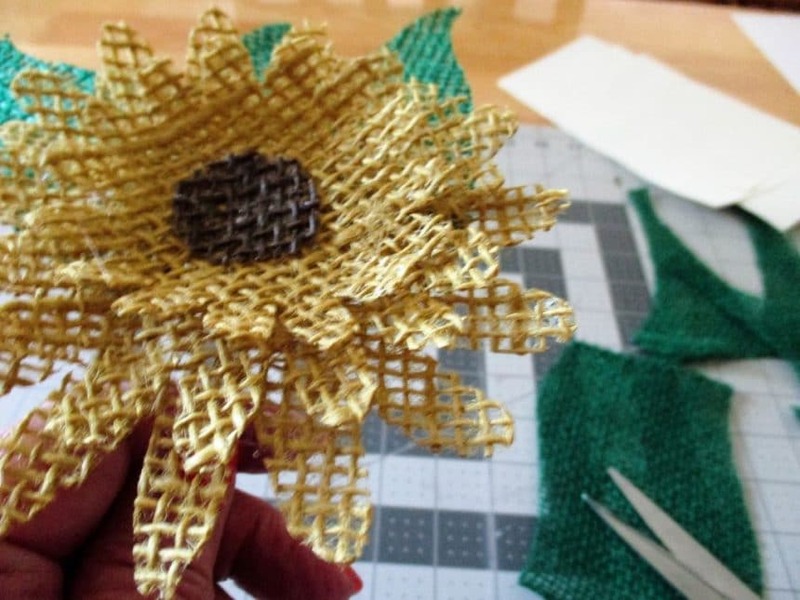 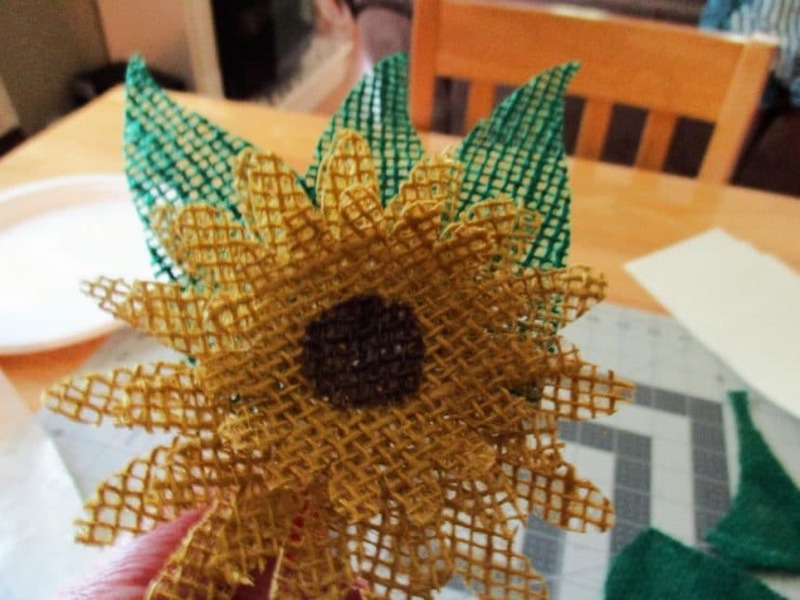 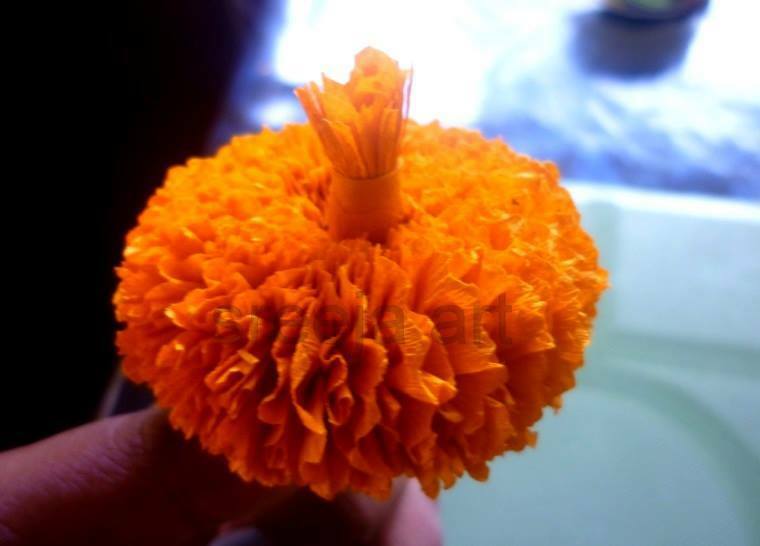 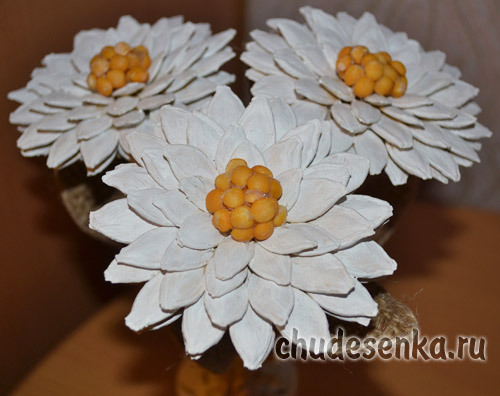 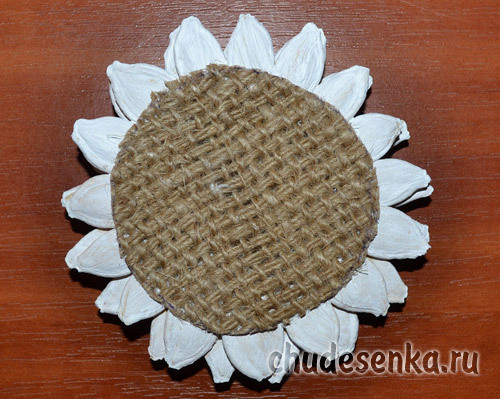 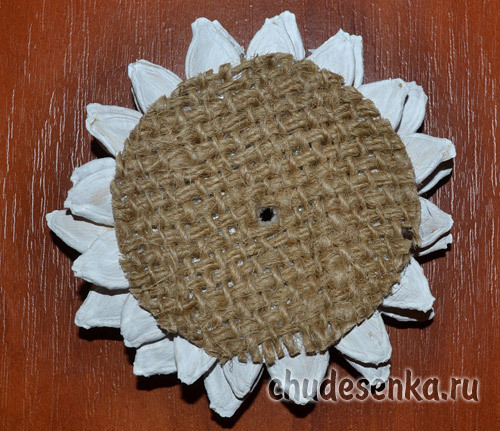 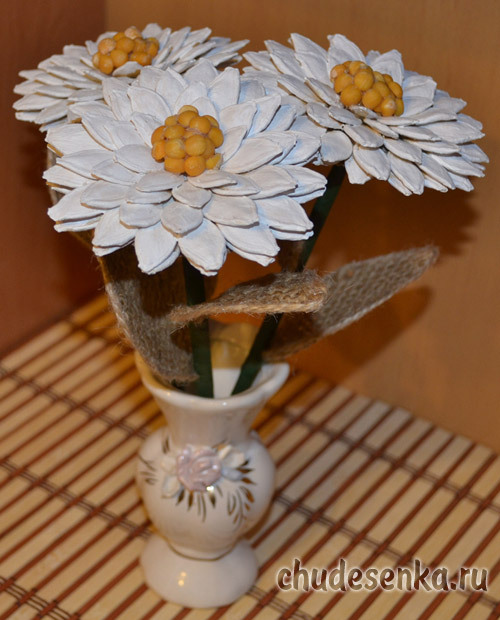 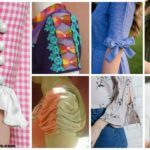 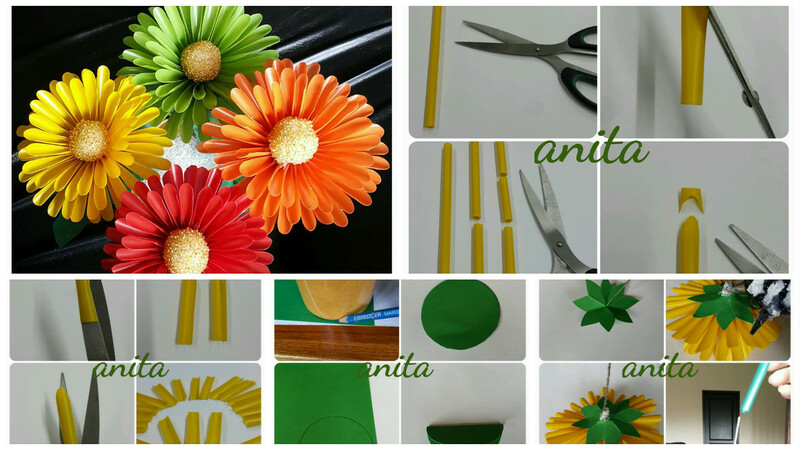 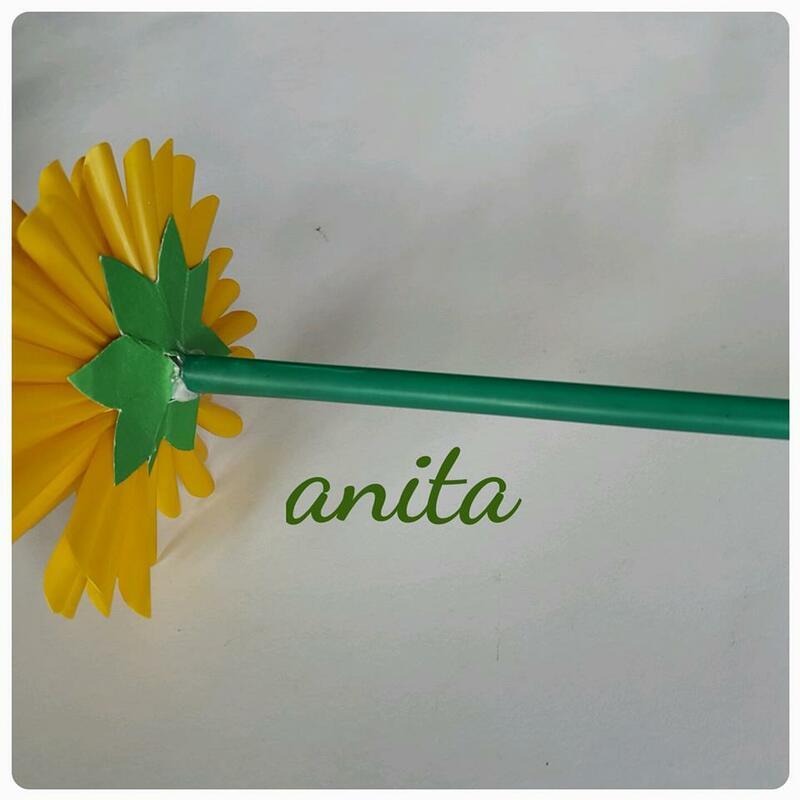 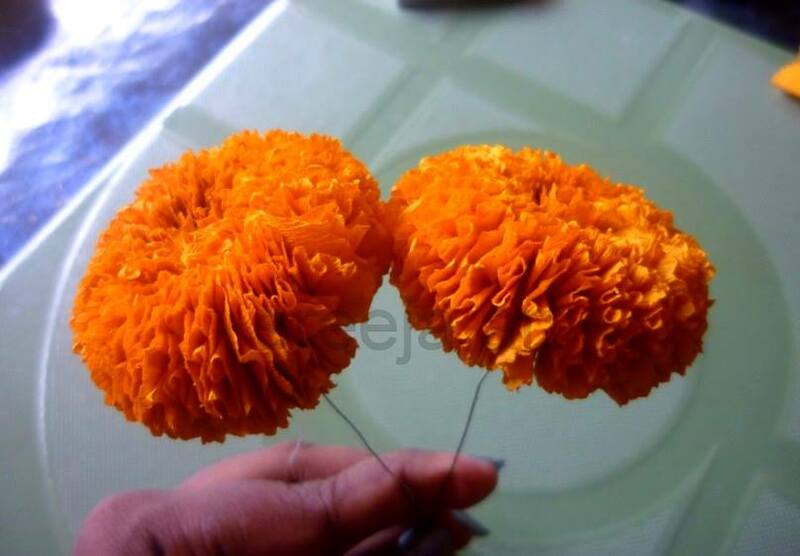 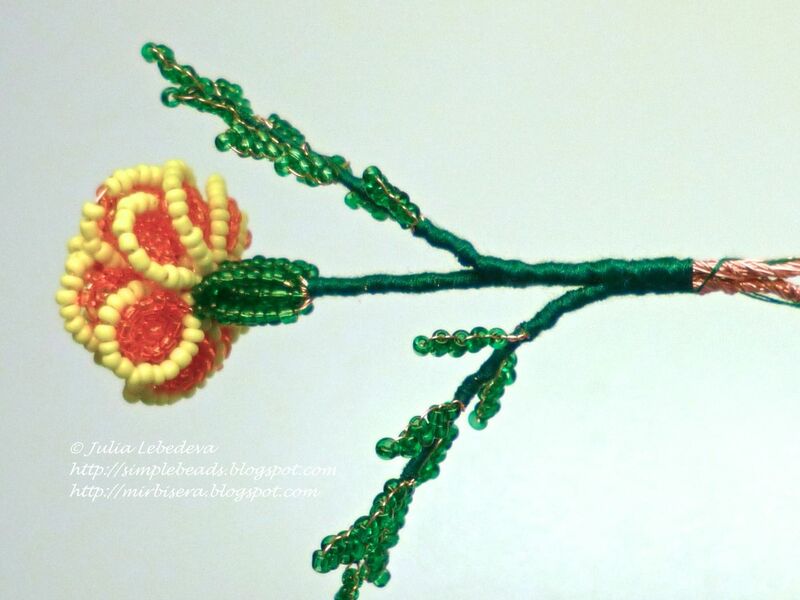 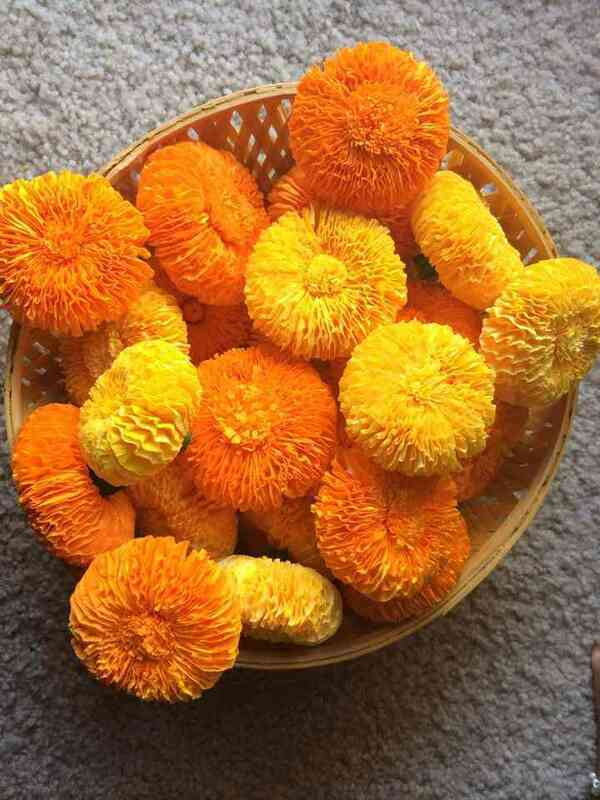 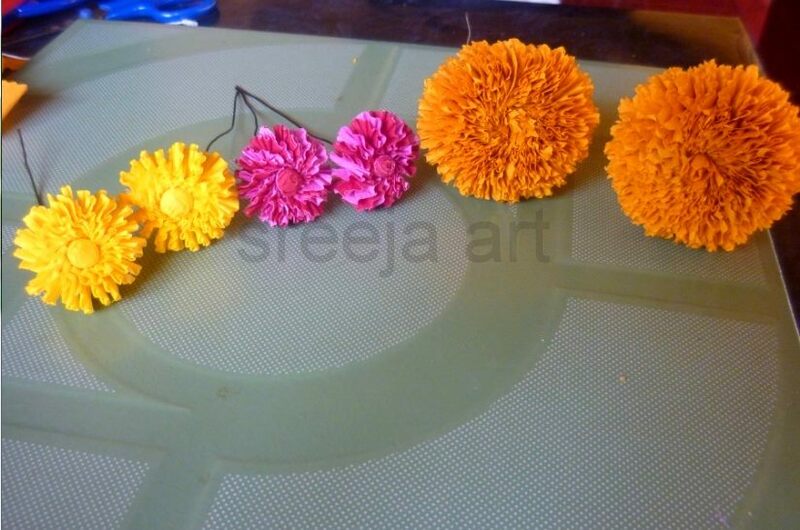 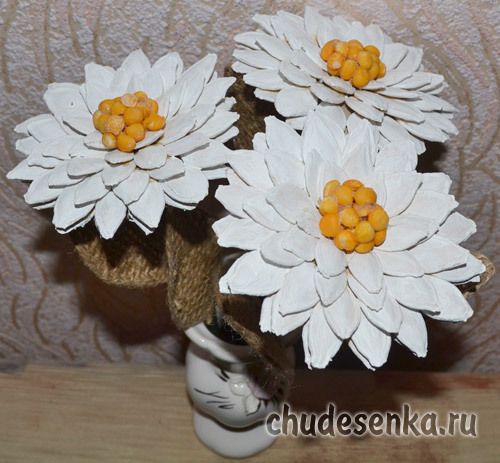 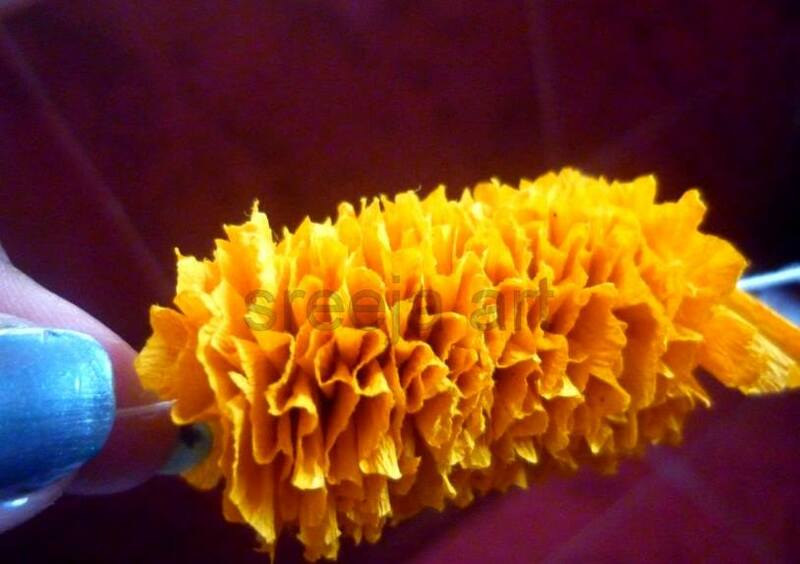 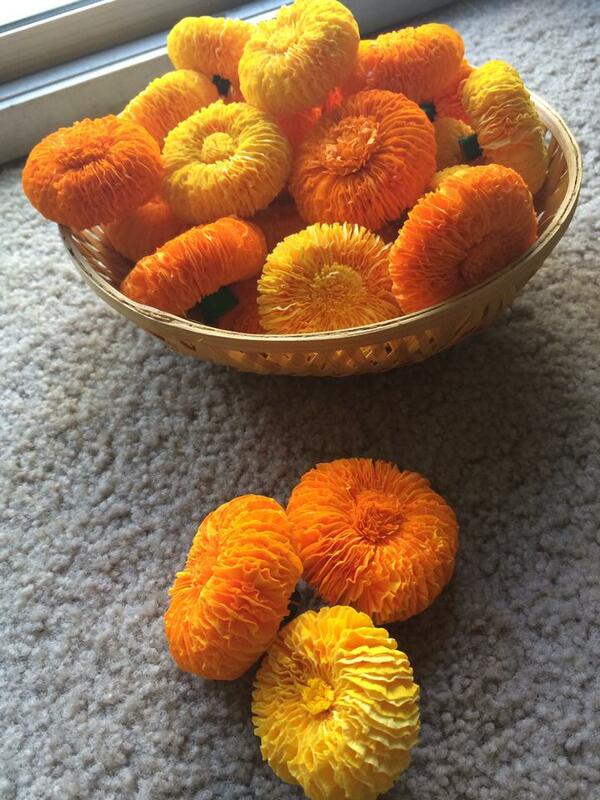 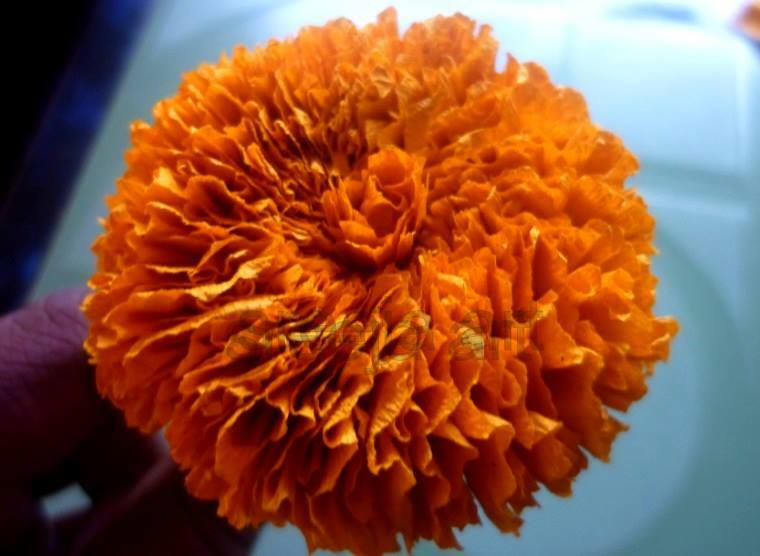 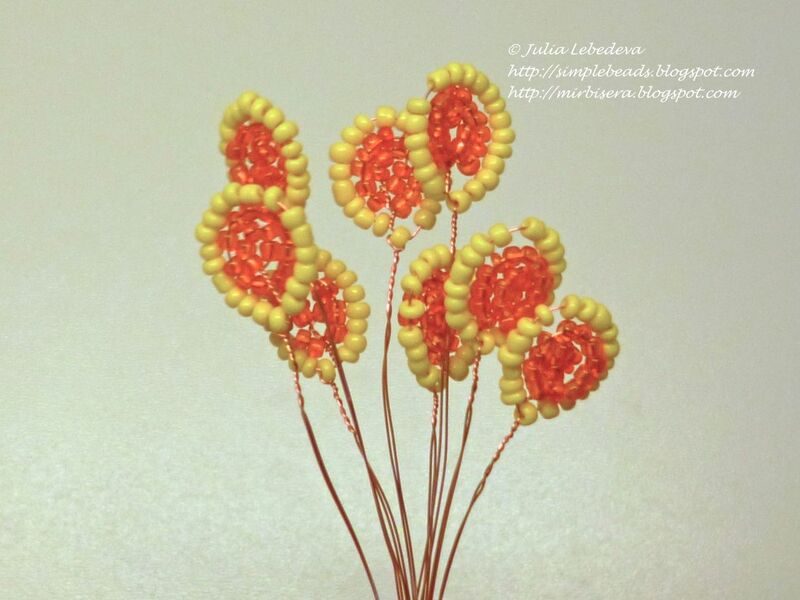 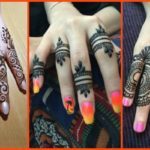 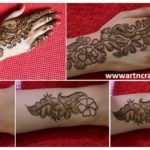 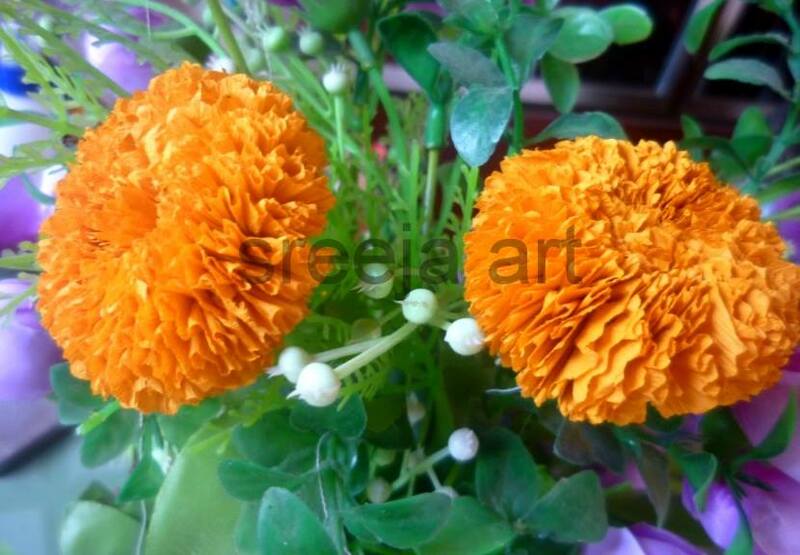 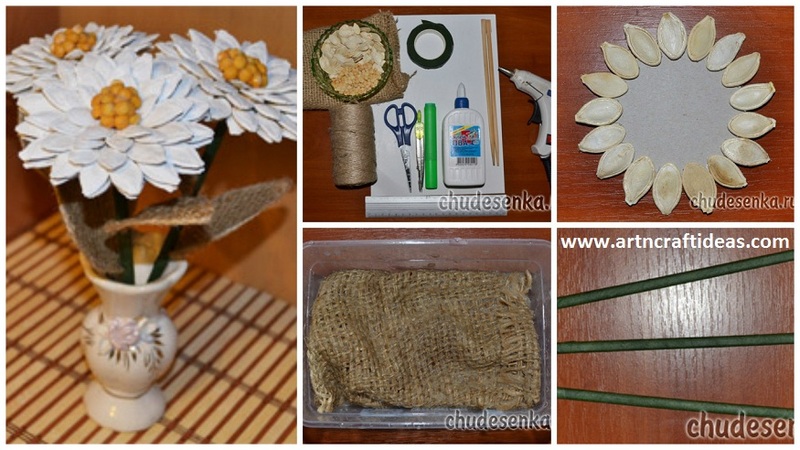 Straw flower crafts and Straw weaving. 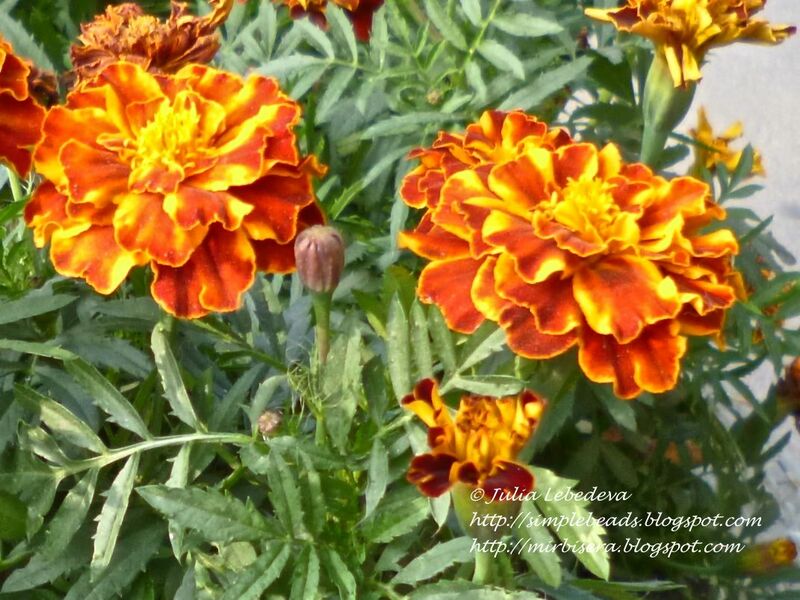 … at Family Fun. 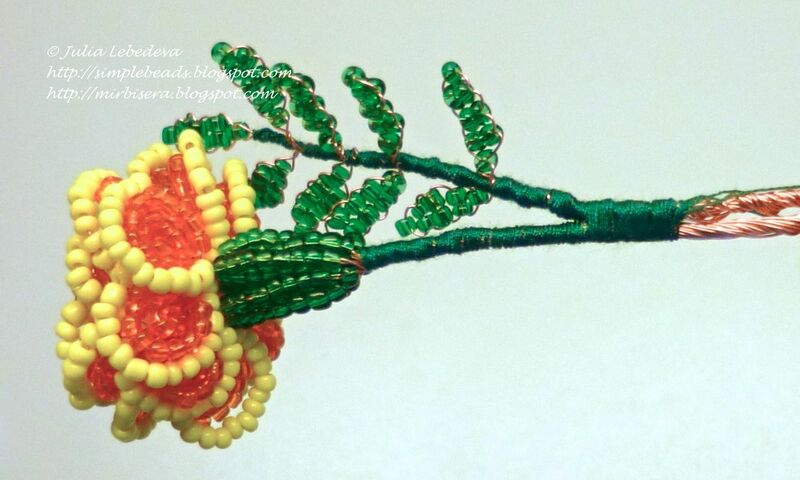 Weave Color Beaded One of the most popular destinations in the beading. 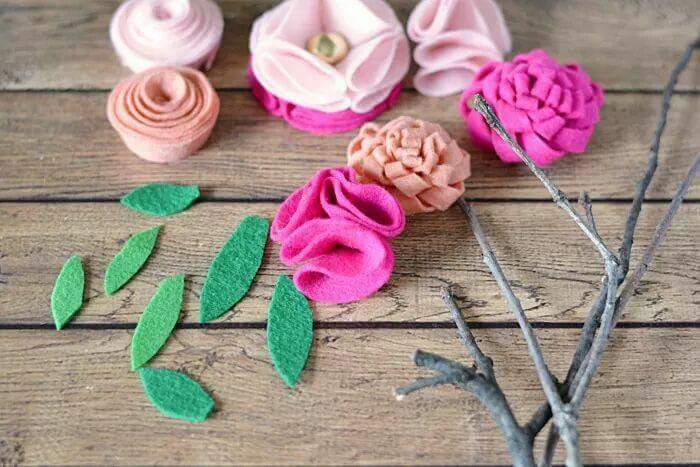 These flowers will never wither, and the flower bouquets and arrangements will serve as an excellent decoration of the interior needlewoman! 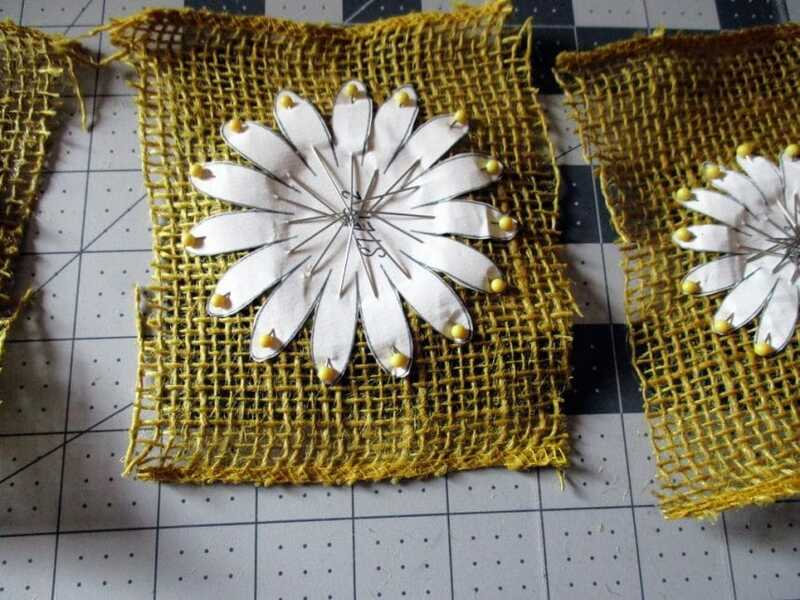 In this master class on beading, you will learn how to make daisy beads. 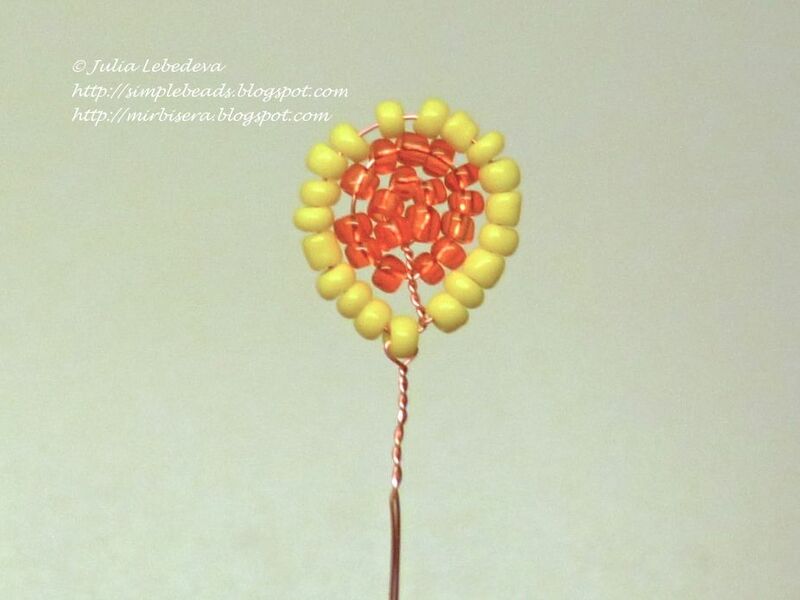 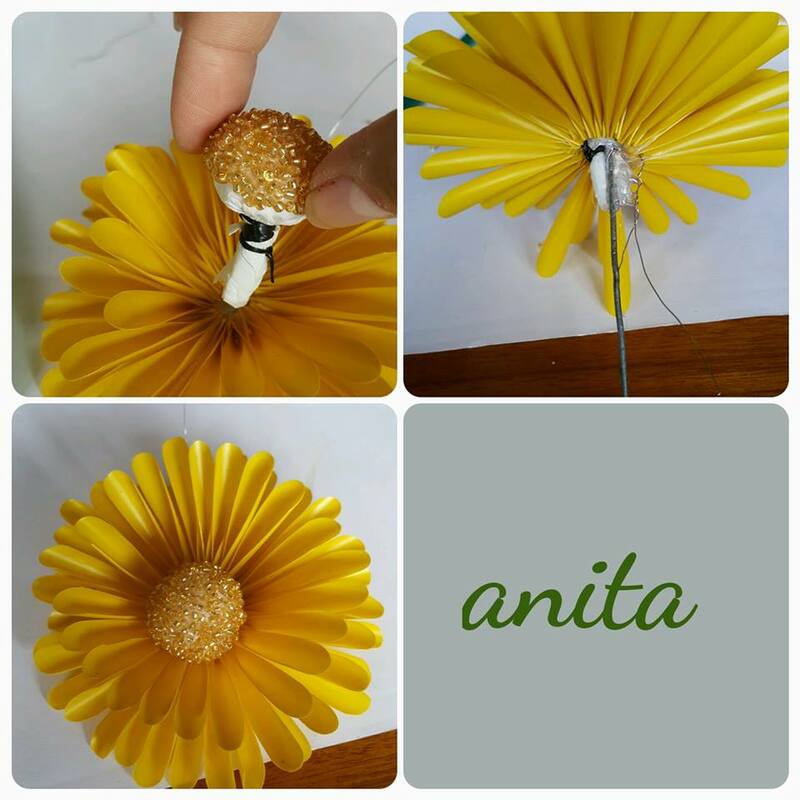 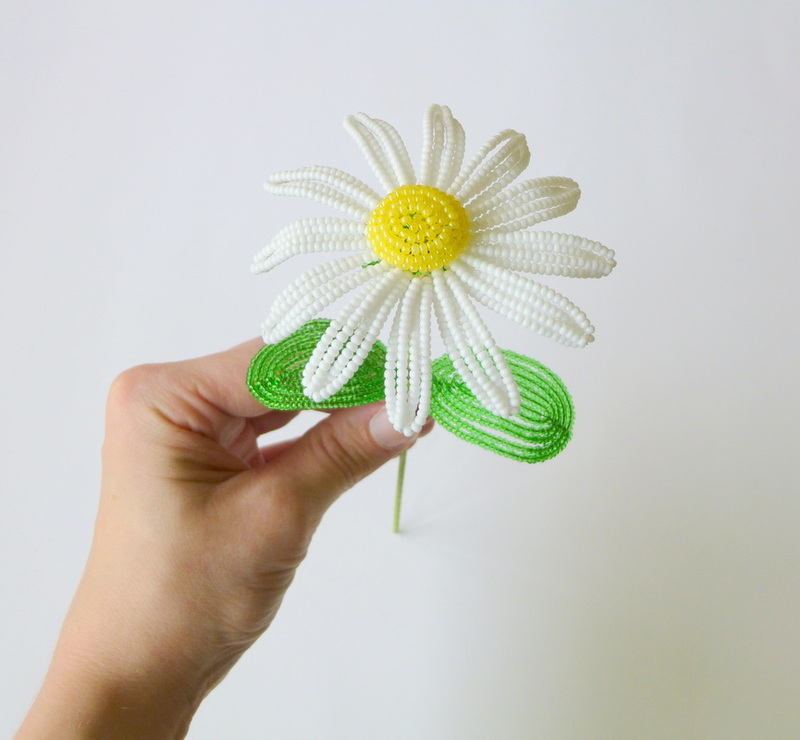 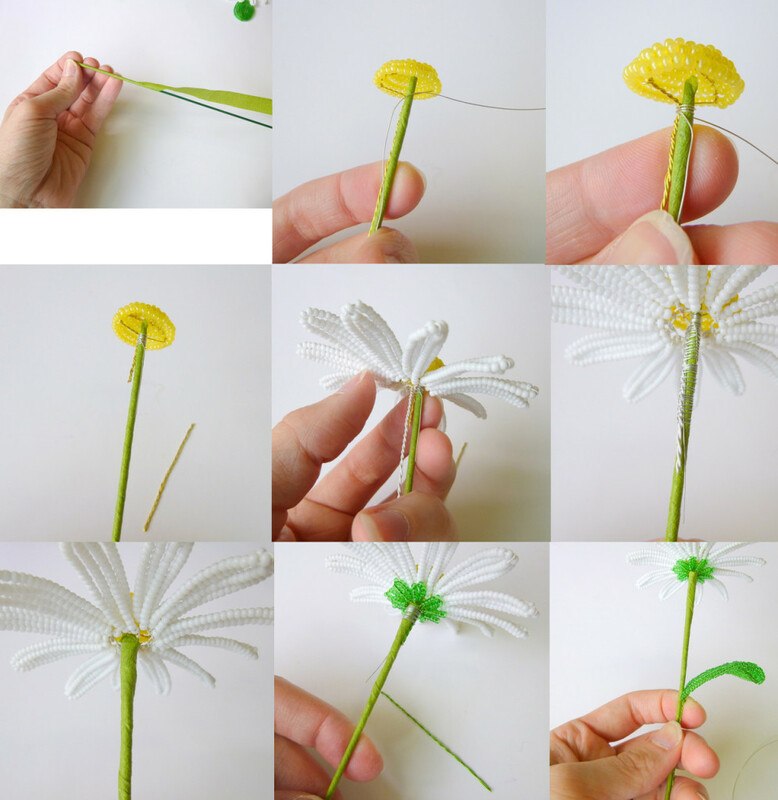 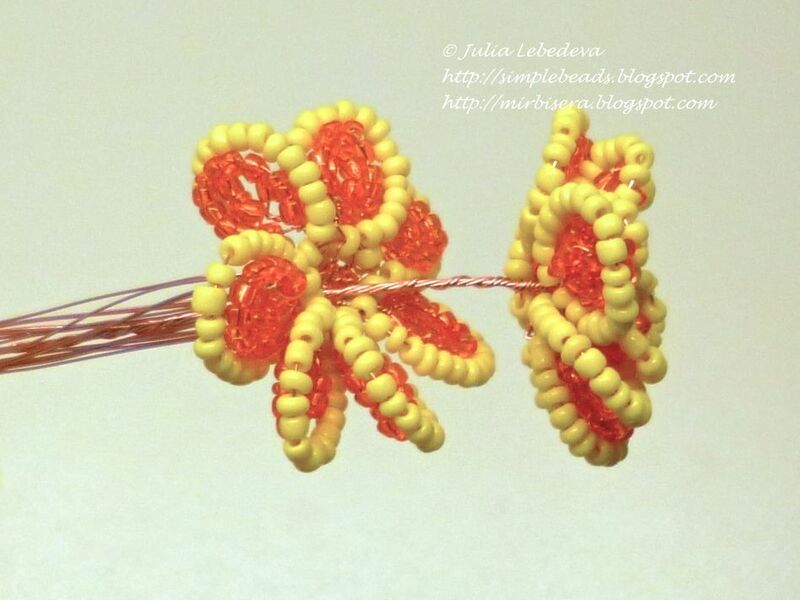 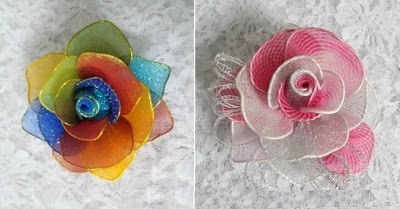 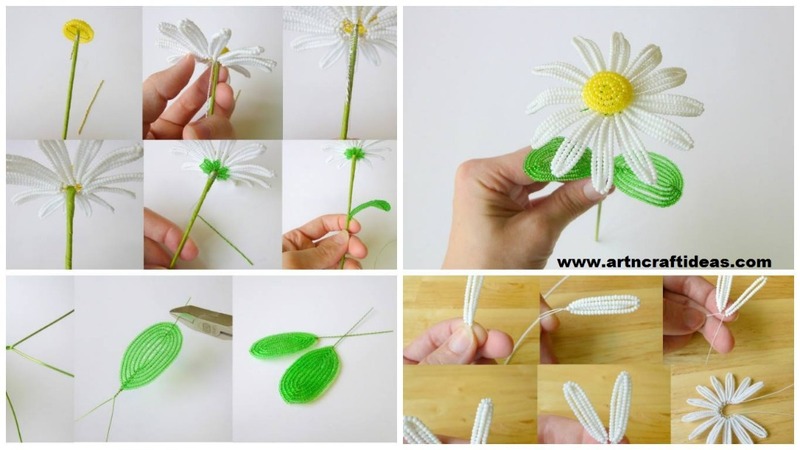 Weave a daisy can using the steel wire of color, but the result will be better if you have the color bead wire. 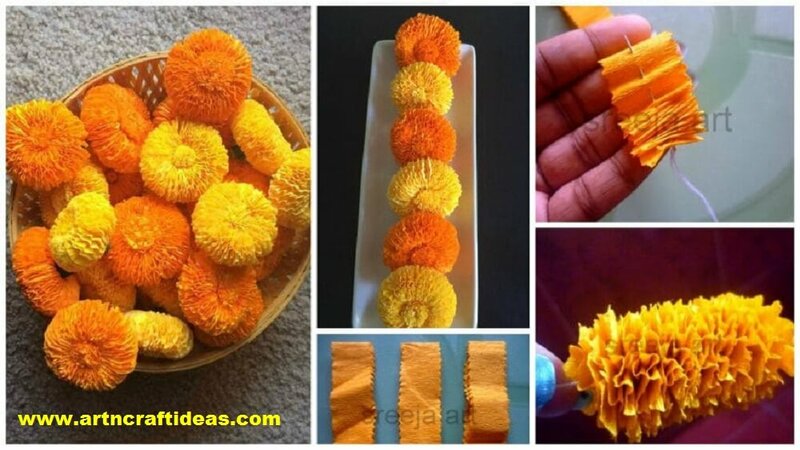 It starts weaving with petals. 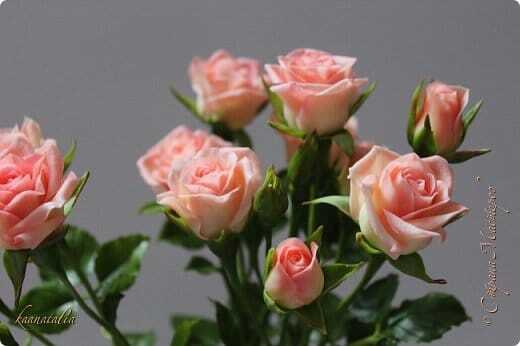 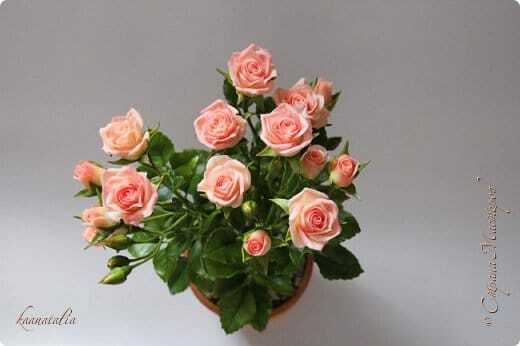 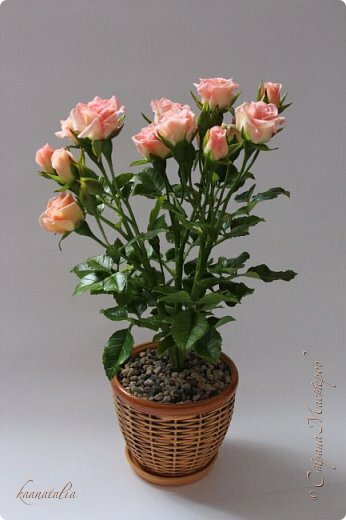 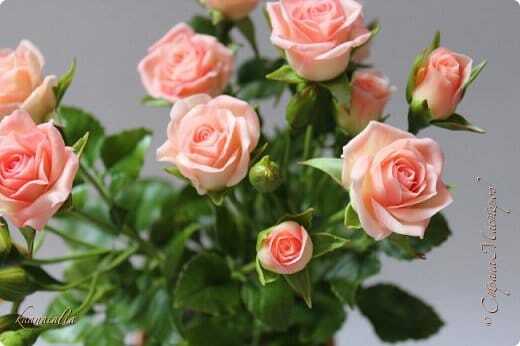 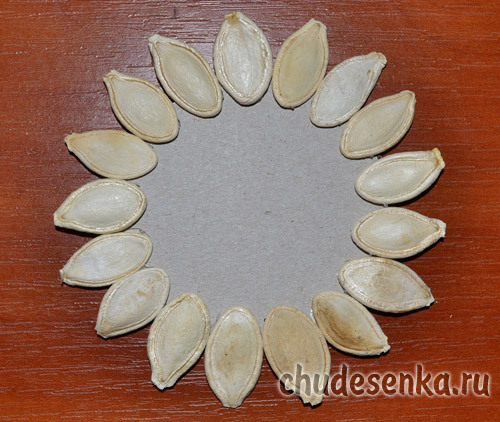 In total, there are 12 flowers, each petal is composed of 4 rows. 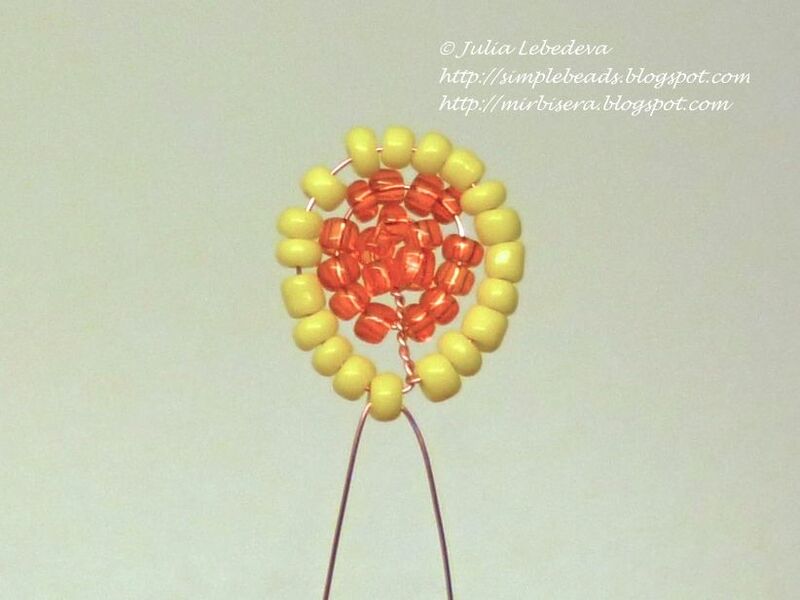 Dial white beads on the wire. 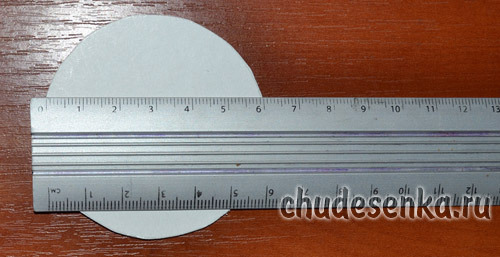 Move to the edge of about 6.35 cm (2.5 inches). 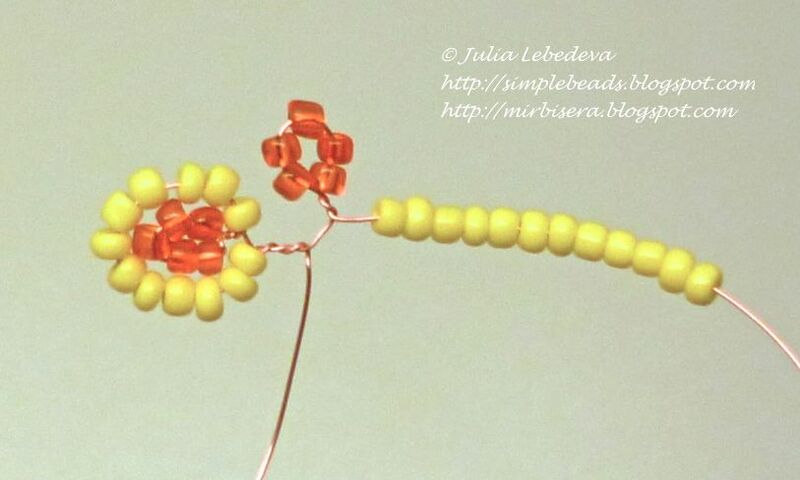 Bend the wire, making a loop of beads, and tighten the loop. 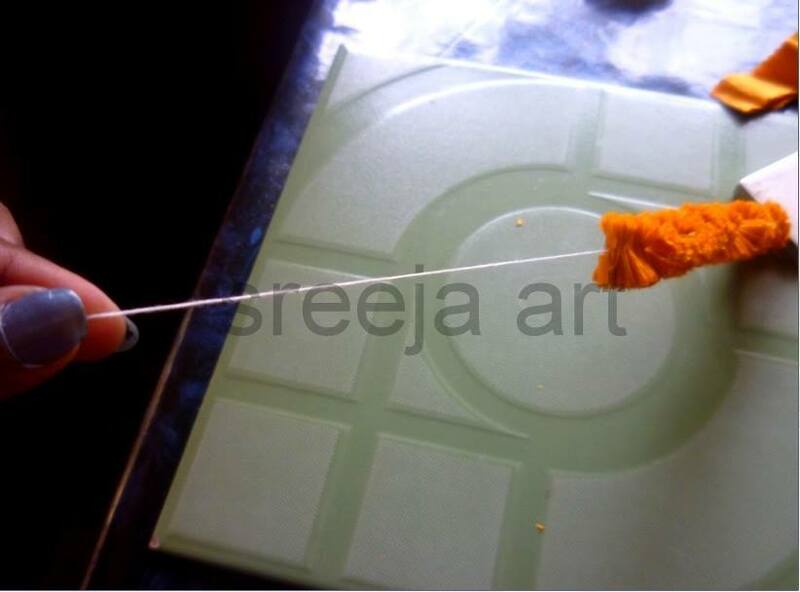 At the end of the wire to leave a free tip of 7-8 cm. 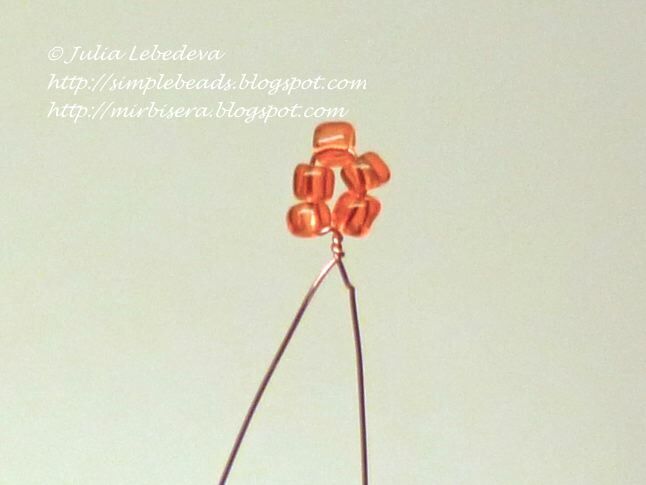 Slide the coil even beads, a column height of how to make a loop in the previous step. 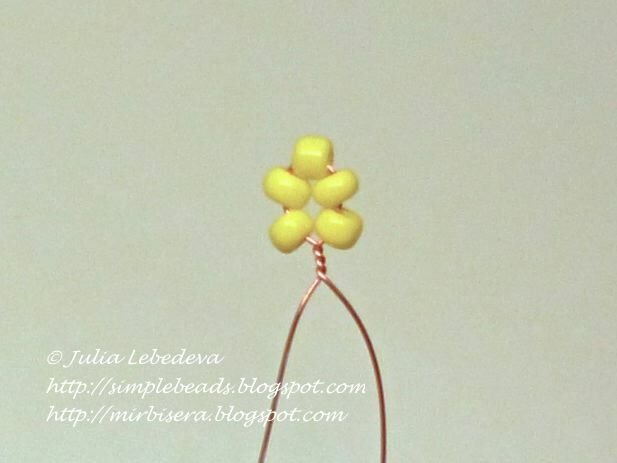 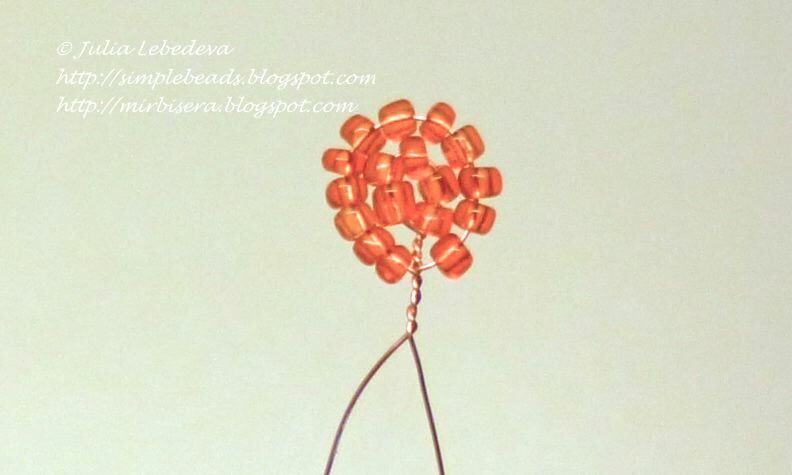 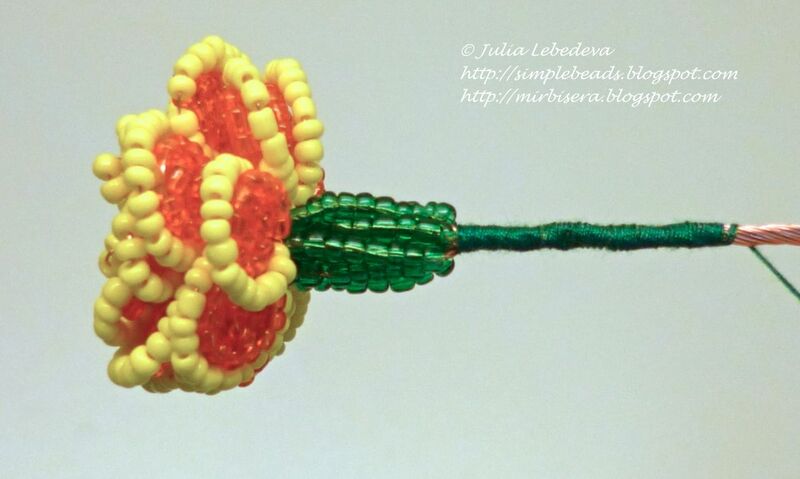 Bend the wire over the first loop, wrapping it, and slide the coil even beads to make the fourth row of petals. 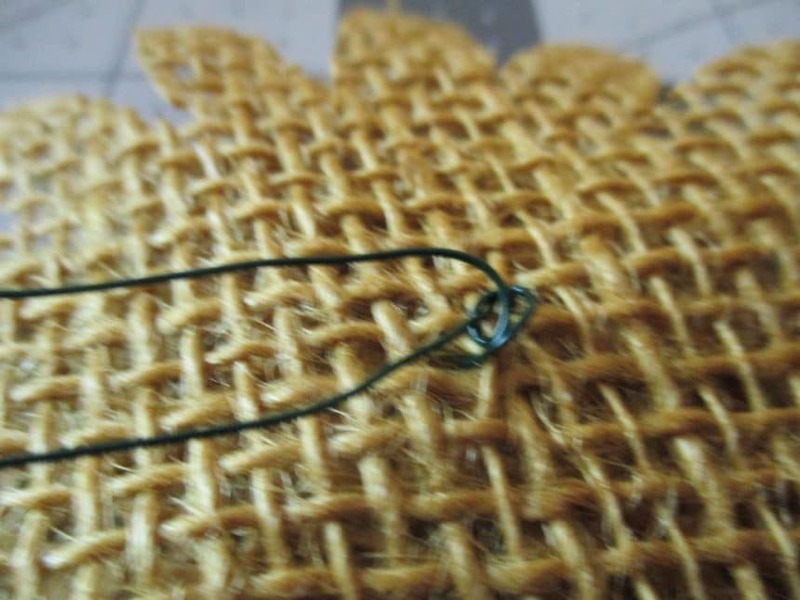 Make a couple of turns of the wire at the base, securing tab. 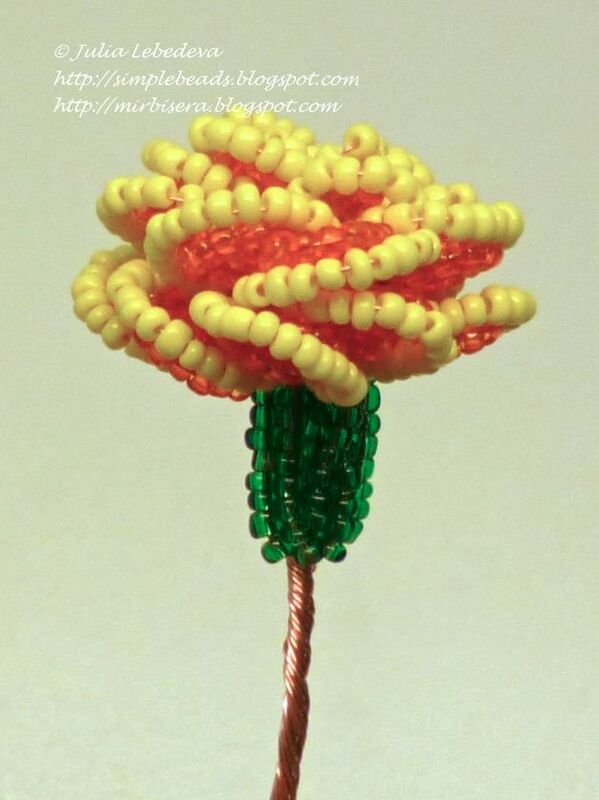 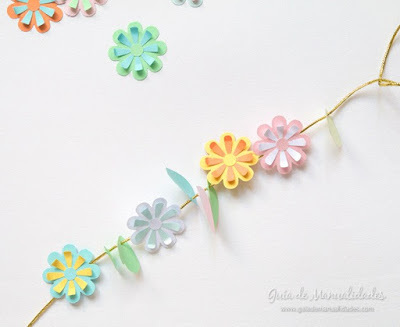 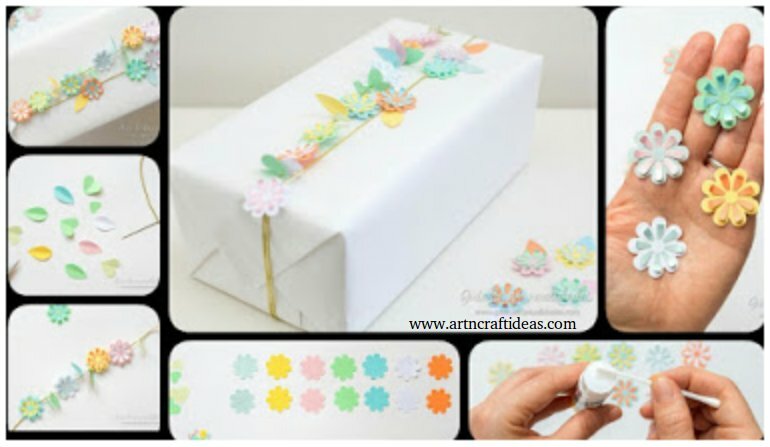 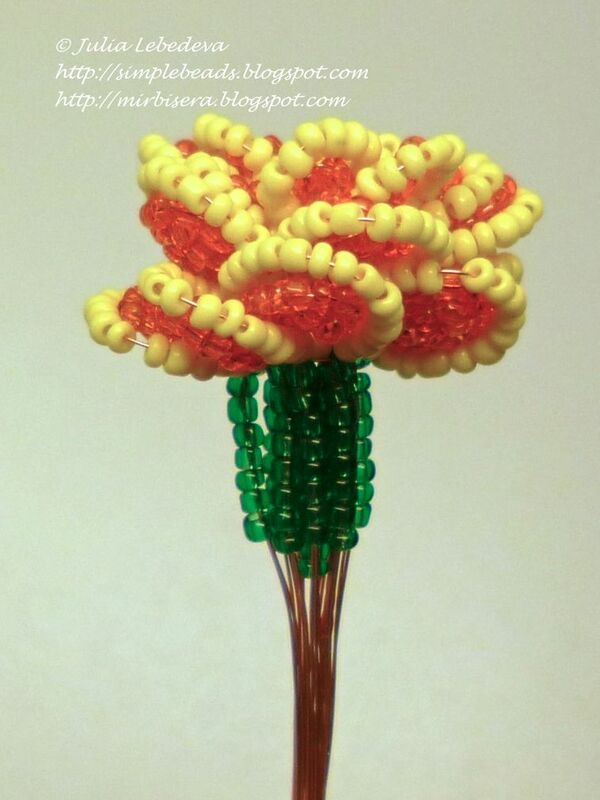 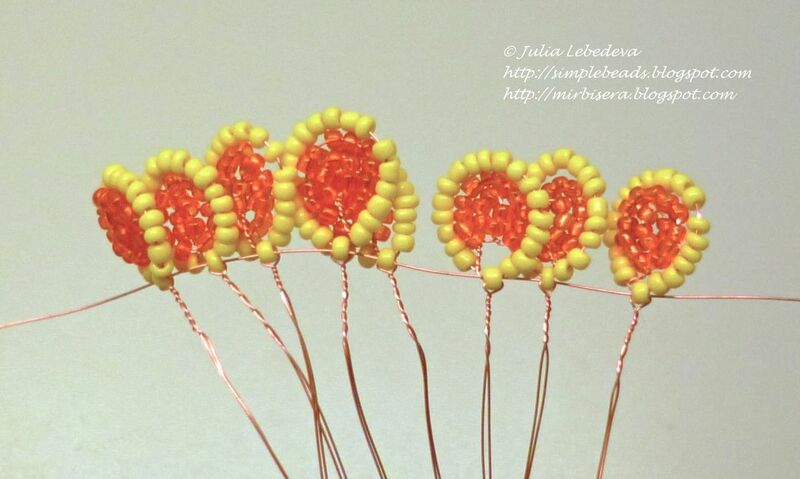 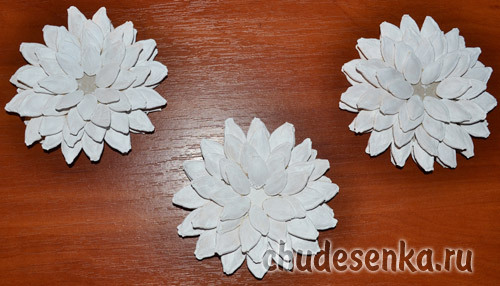 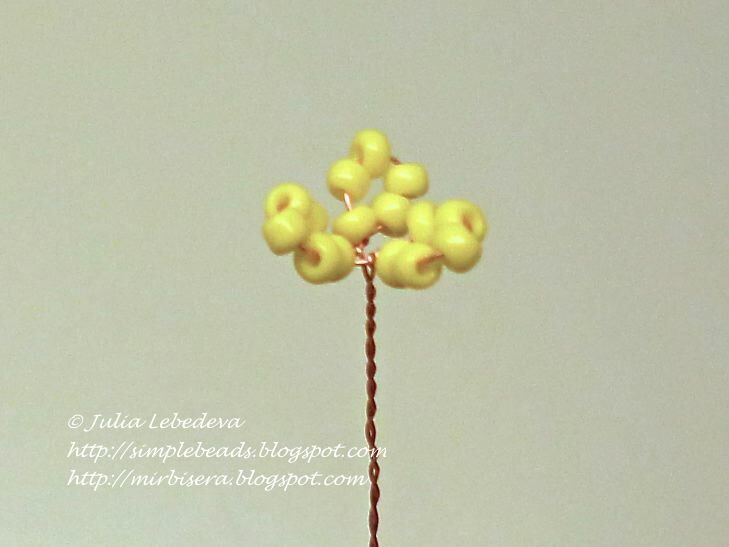 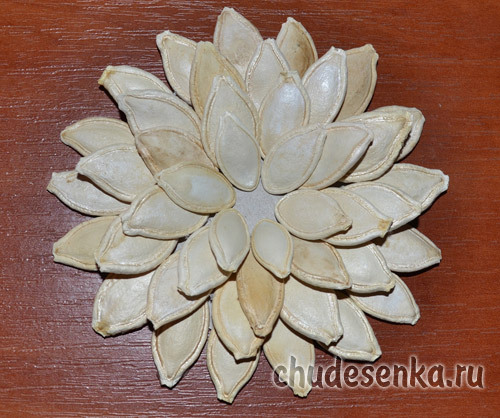 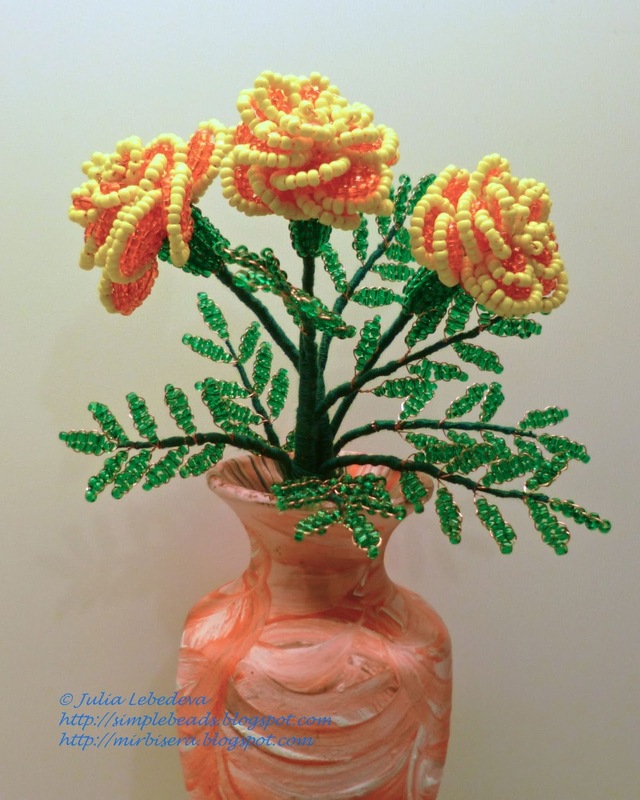 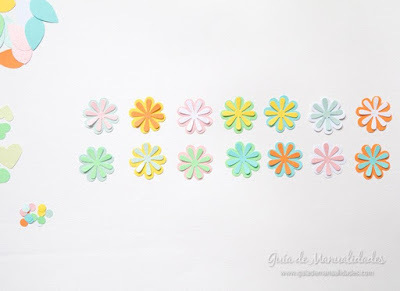 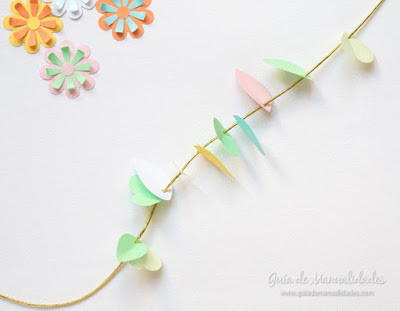 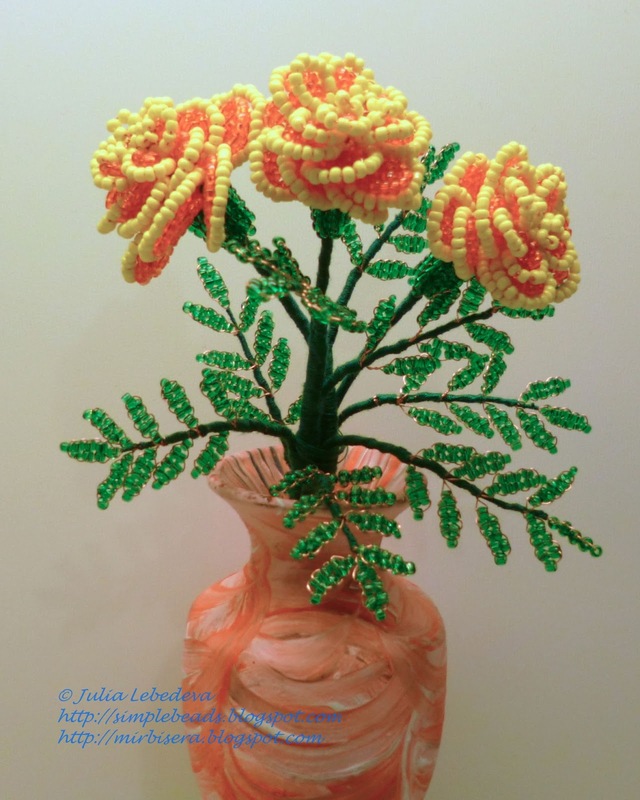 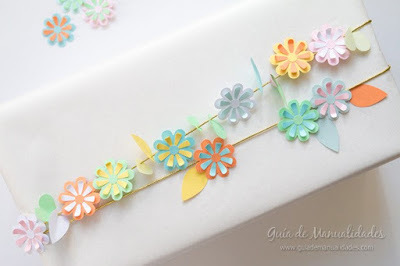 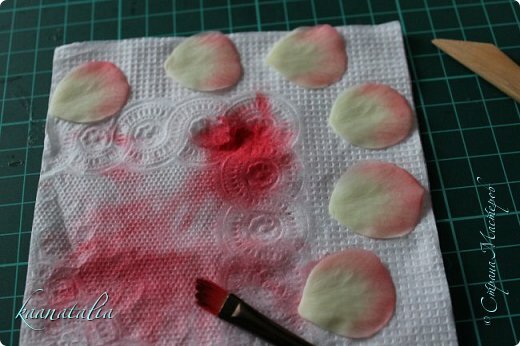 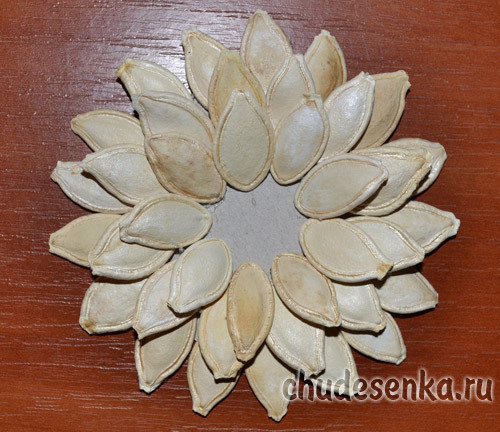 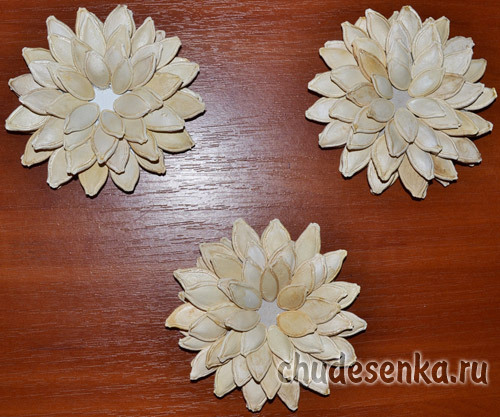 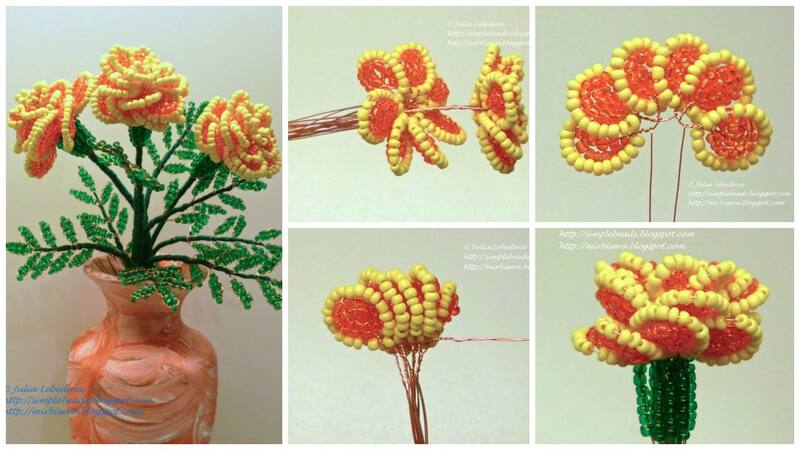 Use your fingers to align the rows of beads, giving petal neat appearance. 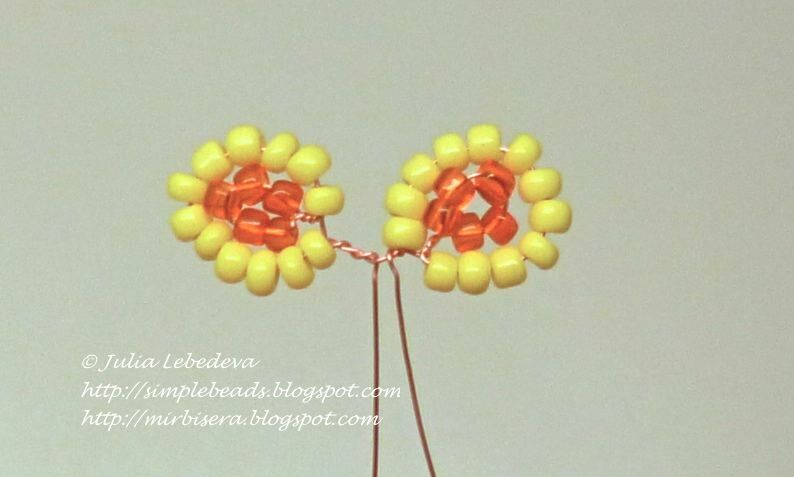 Then again pulls the beads on the first two rows of the second lobe. 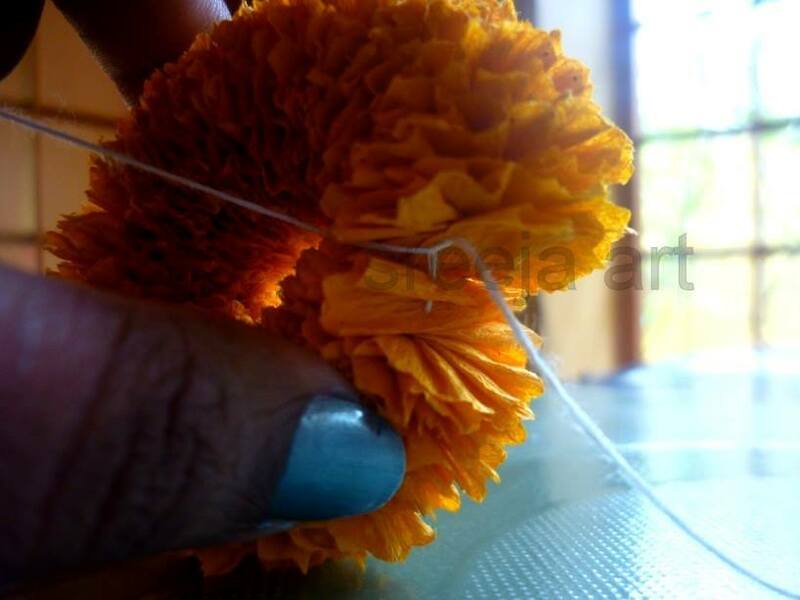 Braid all the petals as well as the first. 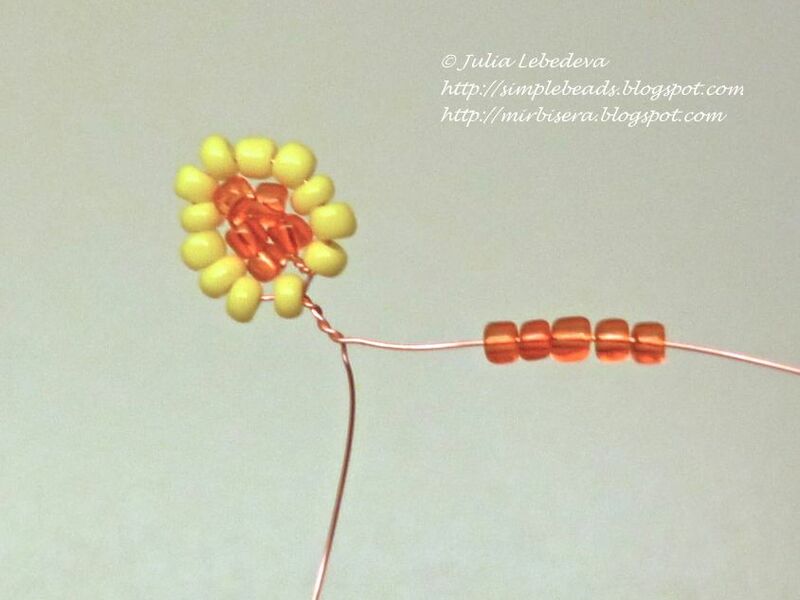 When all the petals weaved, cut off the wire from the coil, leaving 8.9 cm. 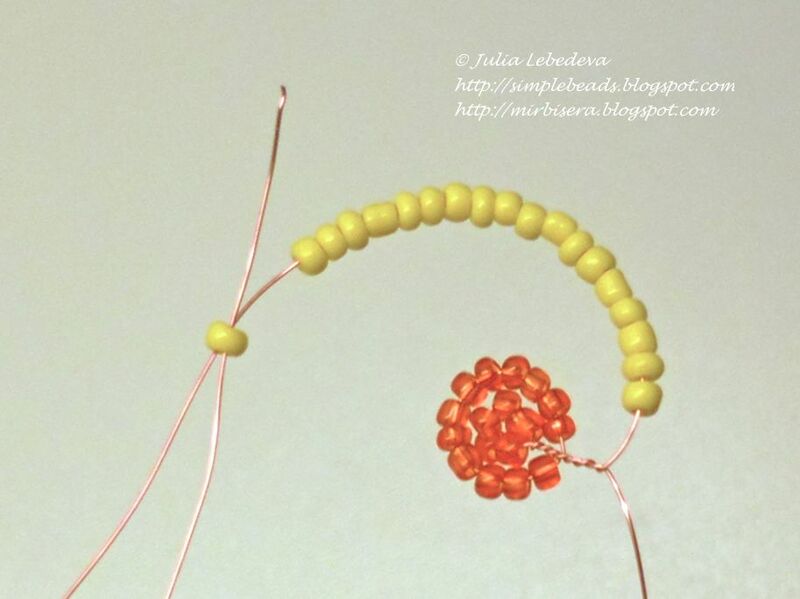 This end thread between first and second lobe wrap, spinning and collecting loop pitch circle. 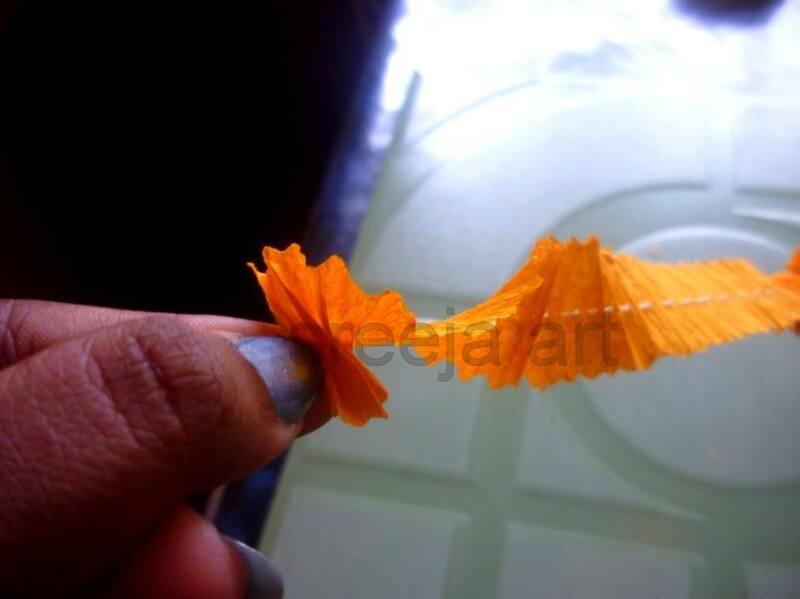 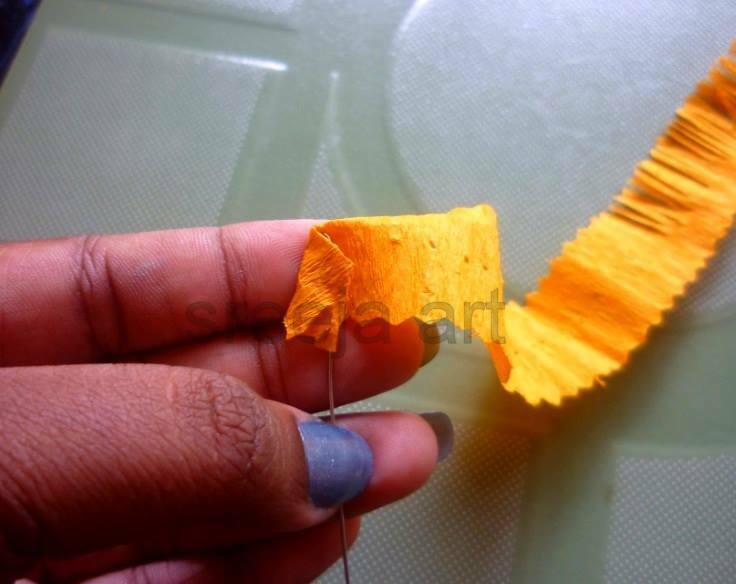 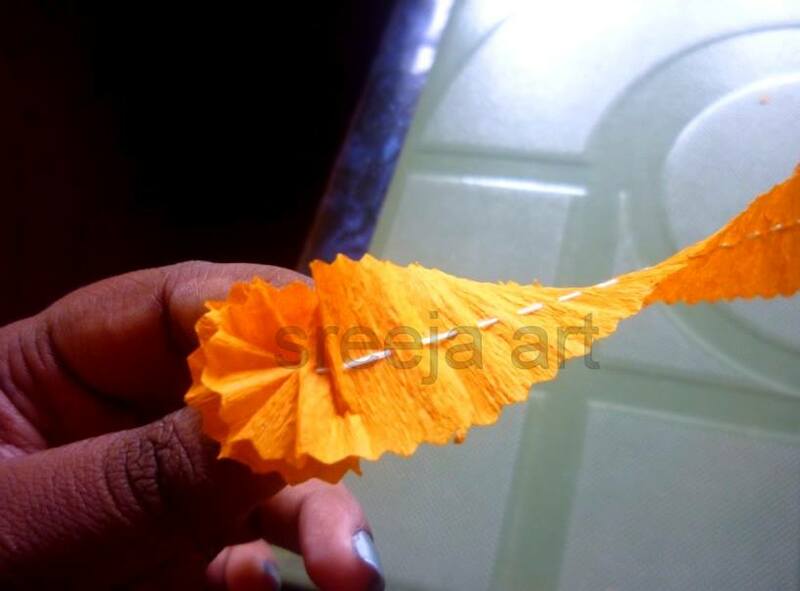 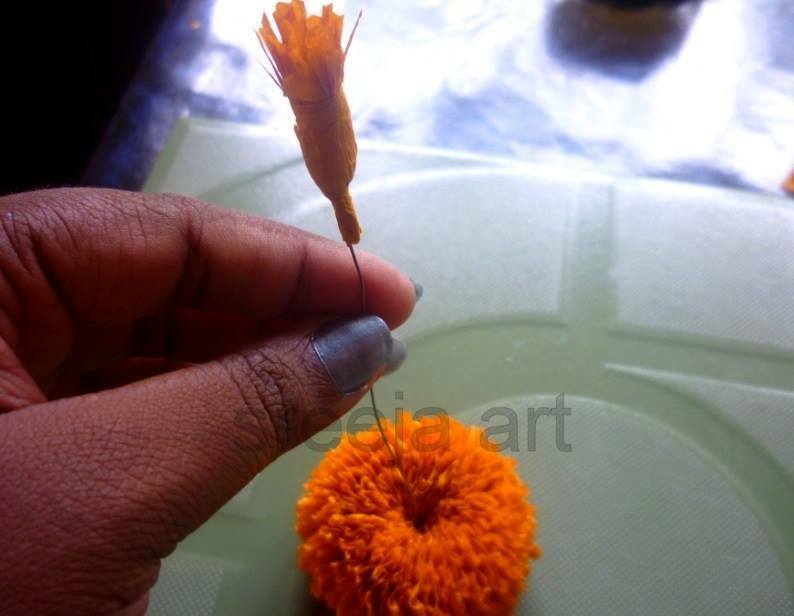 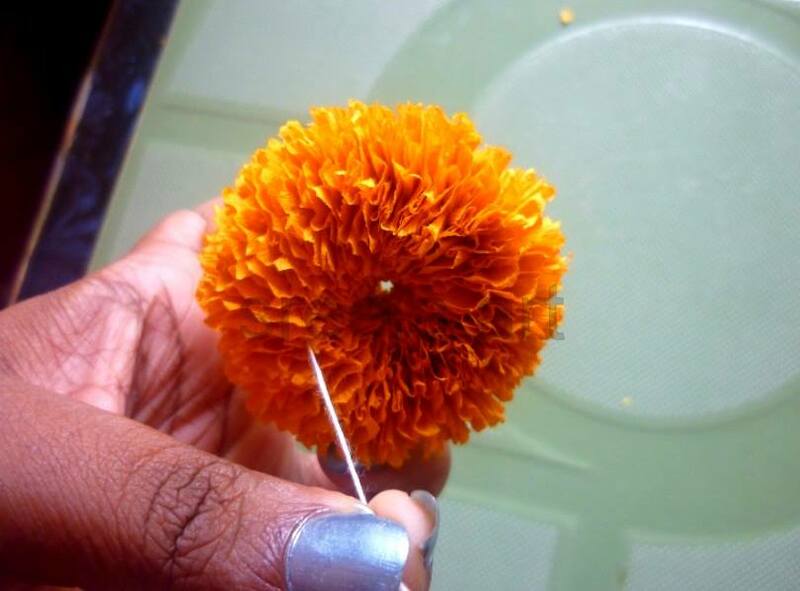 Then, the tip of the wire to pull the other end of the flower wrap and the loop between the petals. 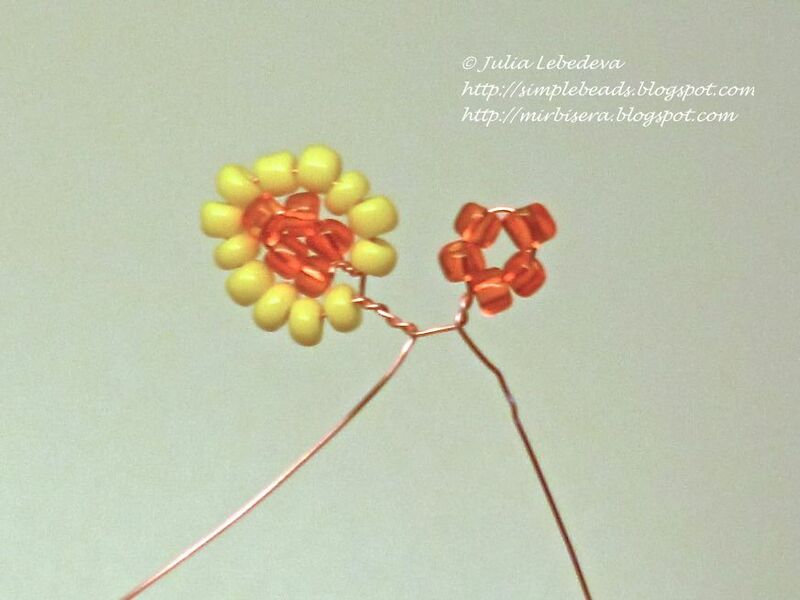 You will get two tips of the wire opposite to each other. 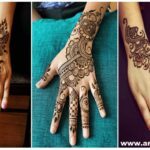 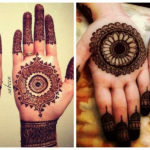 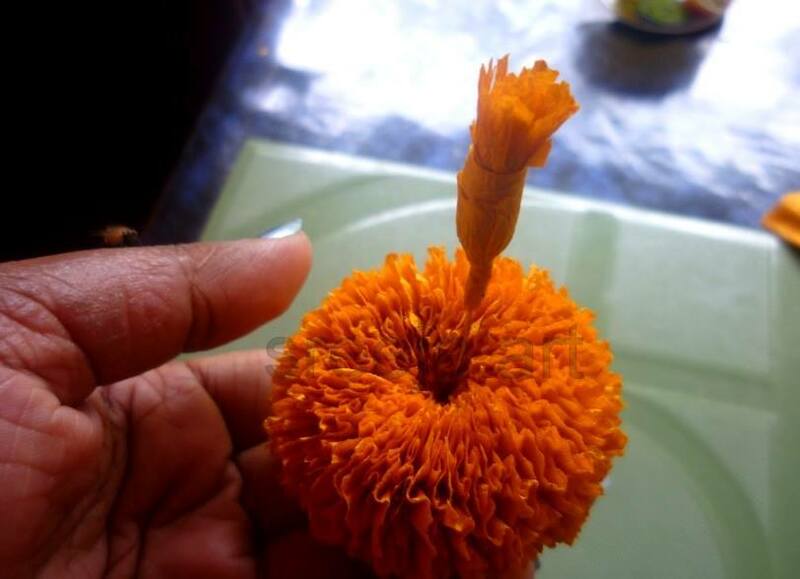 I will bring them to the center and twist together. 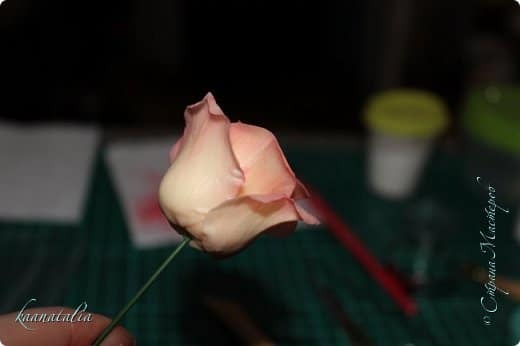 Put the flower on the side. 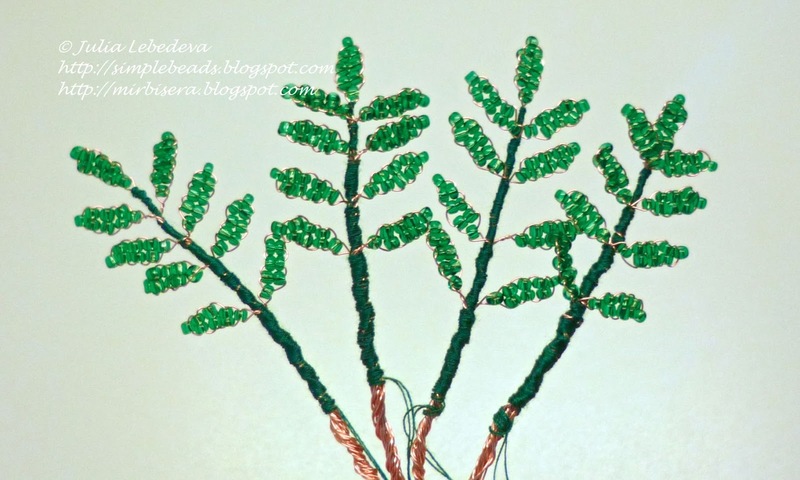 Nanizhite green beads on the wire. 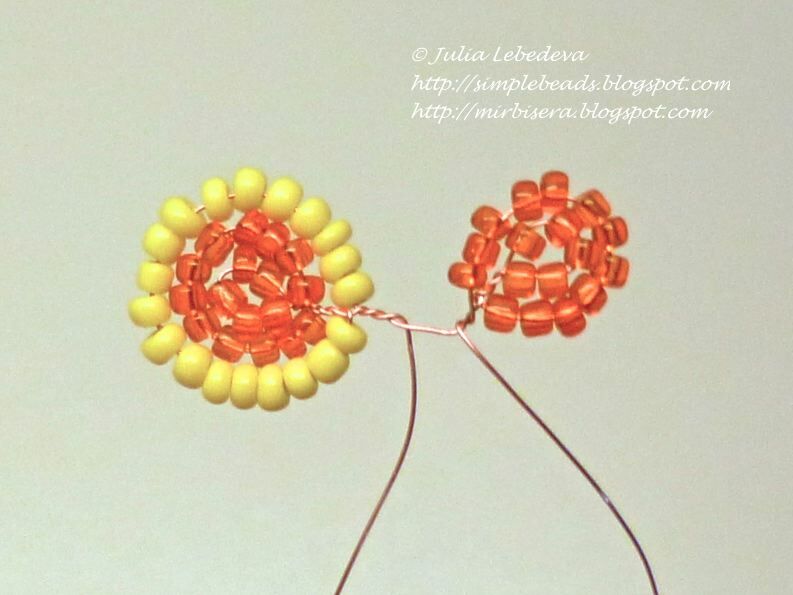 Tighten the beads 11 by the end of the wire, leaving a tail of 7-8 cm. 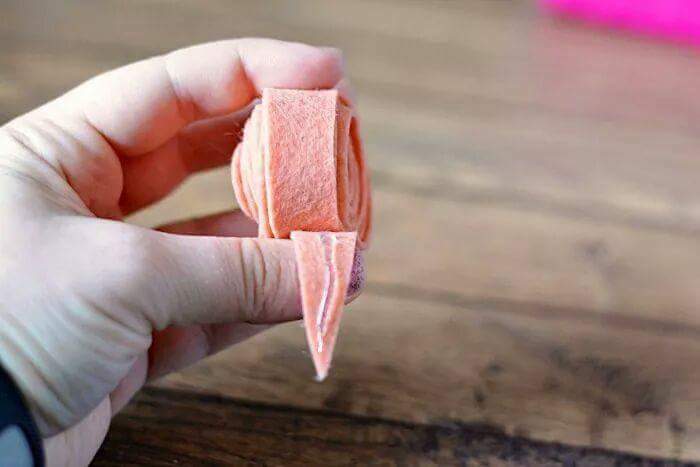 Fold in the loop and make a couple of turns fixing. 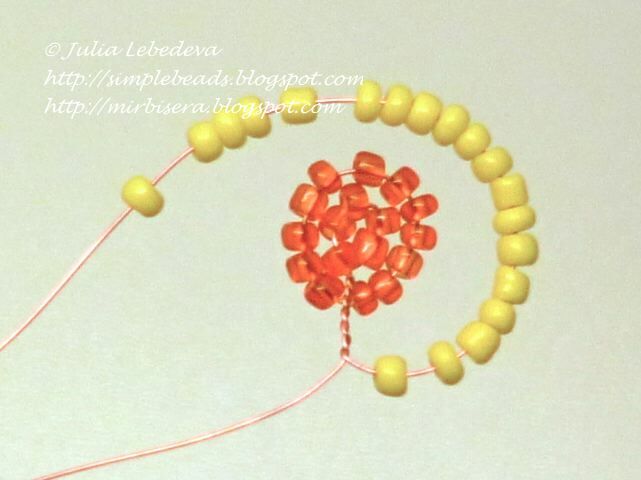 Tighten another 11 beads and again make a loop. 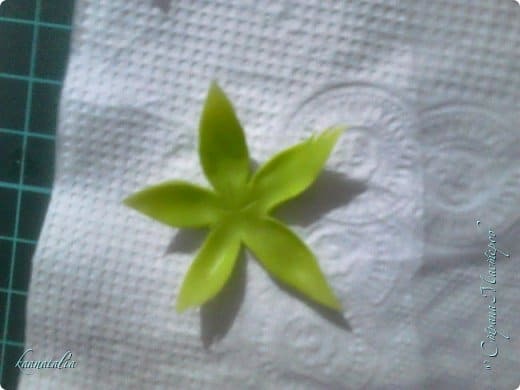 Likewise do sepals further (9 leaves). 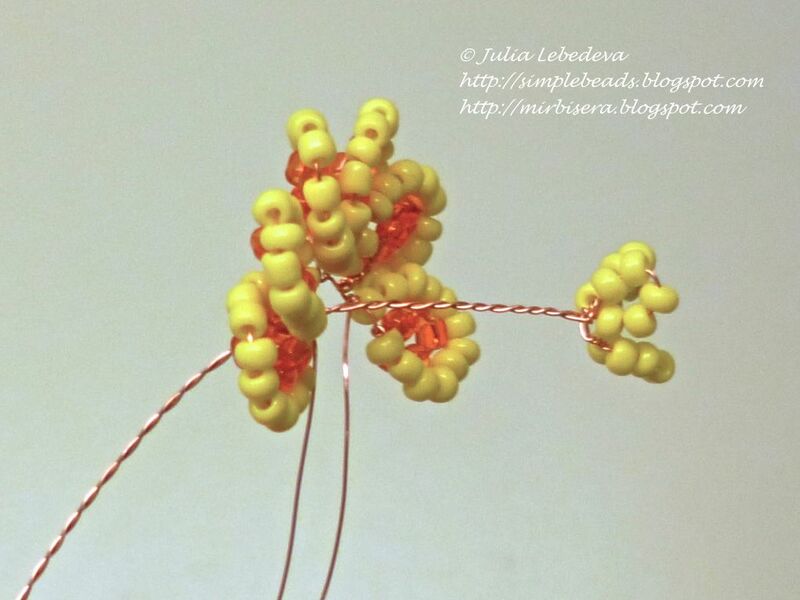 Cut the wire, leaving 9-10 cm. 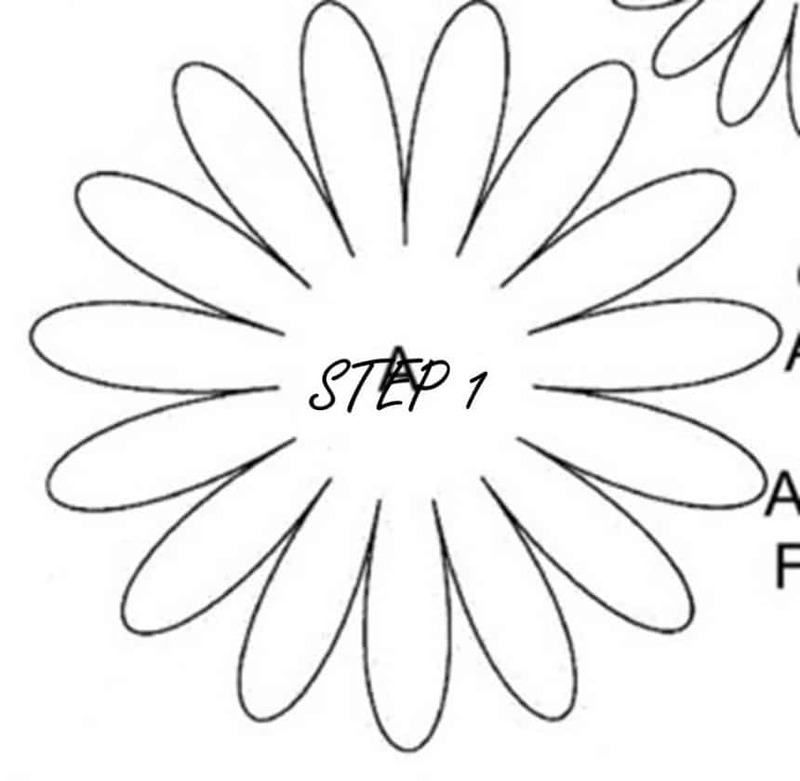 Attach in the ring, passing the wire between first and second sepals. 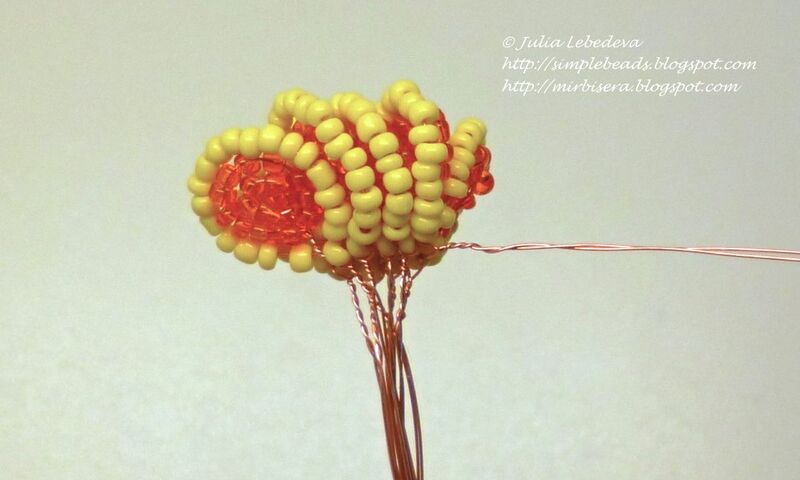 Twist the ends of the wire together. 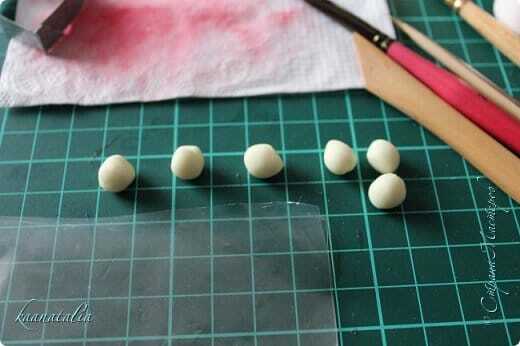 Put preform. 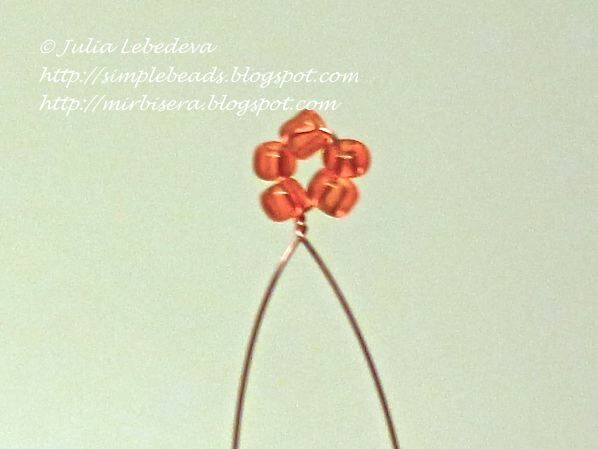 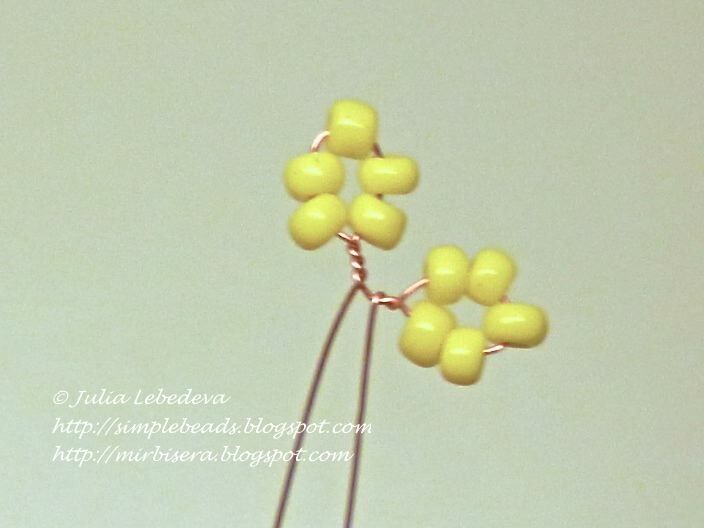 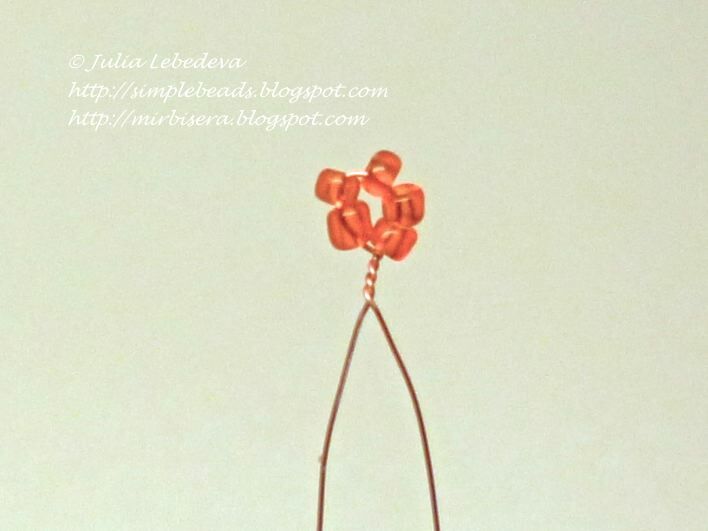 Nanizhite beads onto the wire. 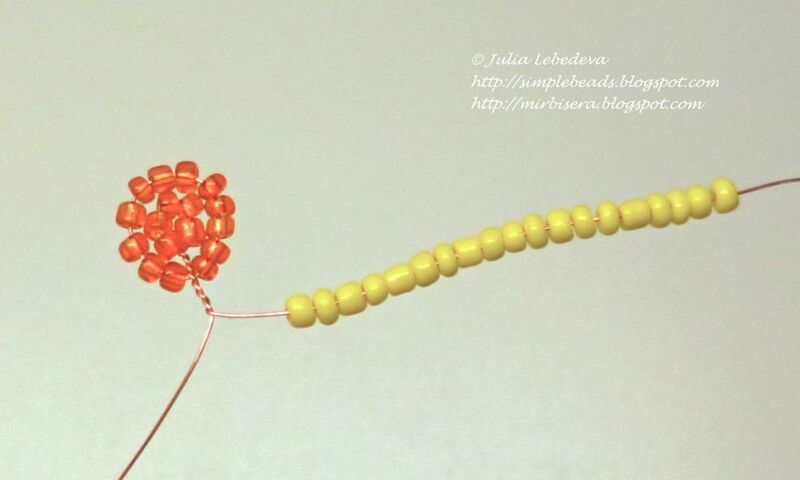 At the end make a small loop, it will prevent the beads from sliding. 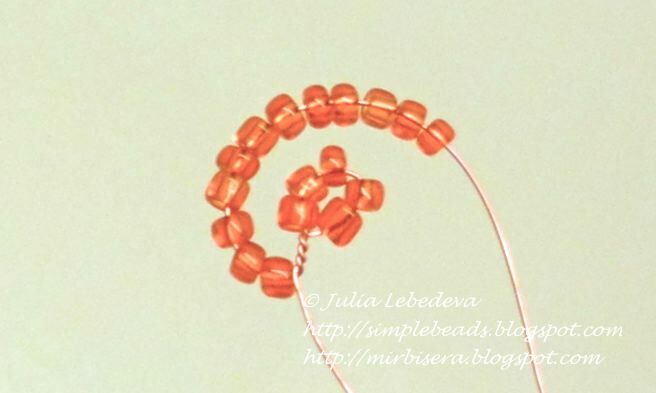 Tighten the beads 16 to the loop before reaching her 5-7 cm. 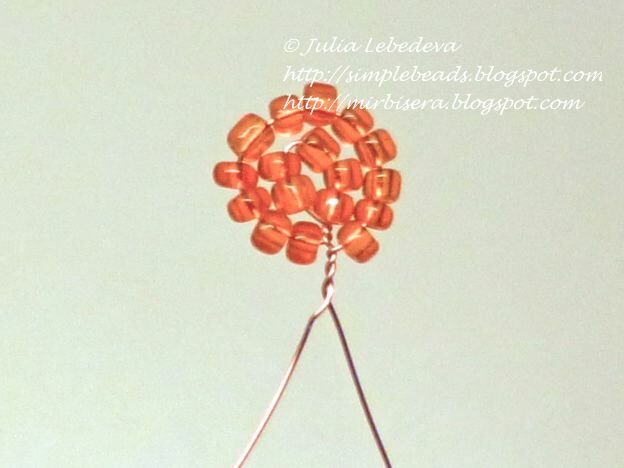 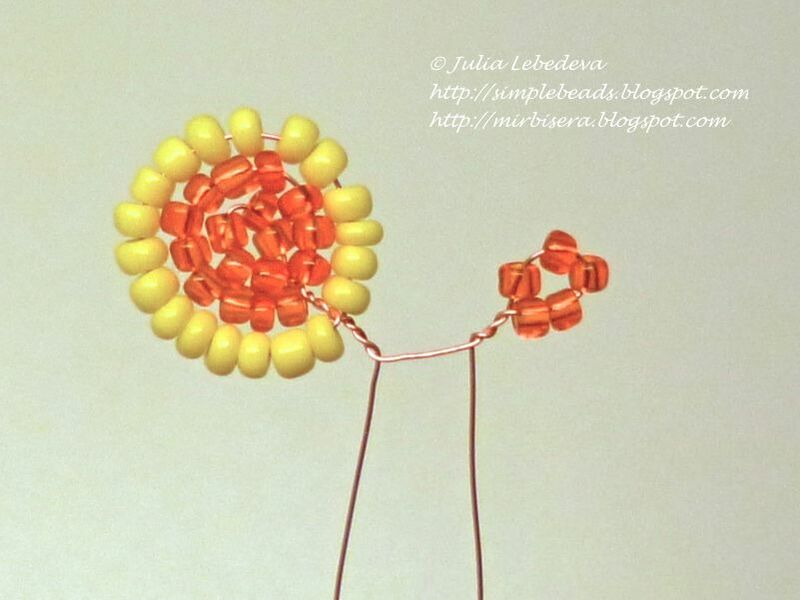 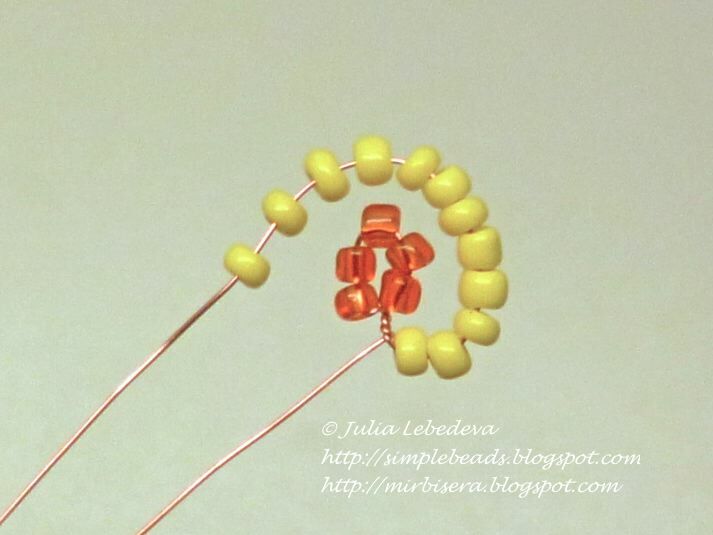 Below beads move up a twist wire loop. 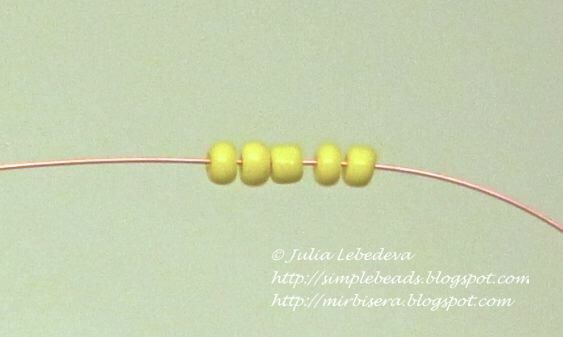 Slide the beads in an amount necessary to make a number of slightly more than the height of the first row of the 16 beads. 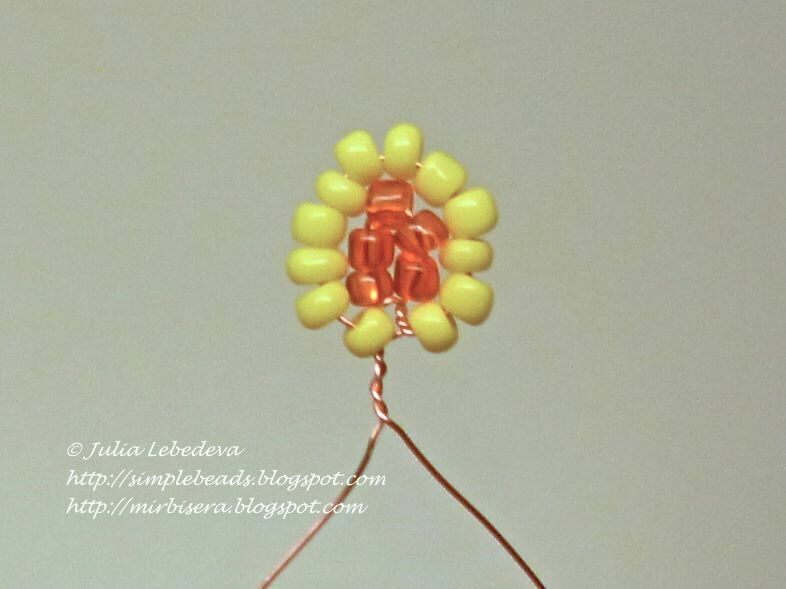 Wrap the wire loop over the top of the first row. 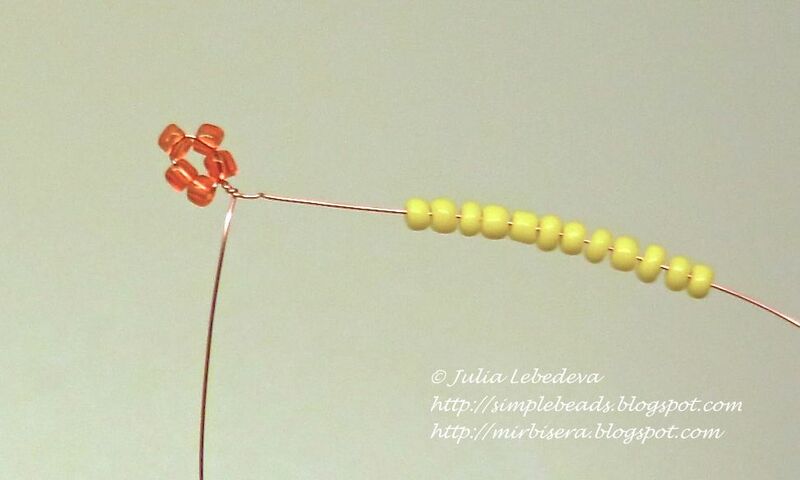 Slide the beads as much as in the second row, and again make a loop, already at the bottom of the first row. 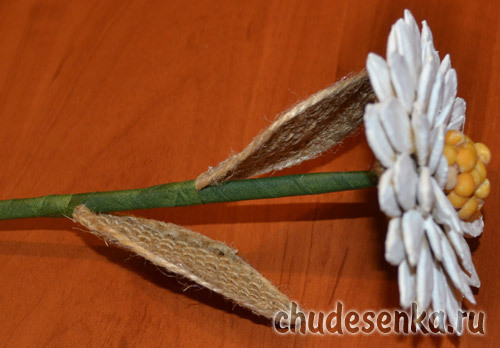 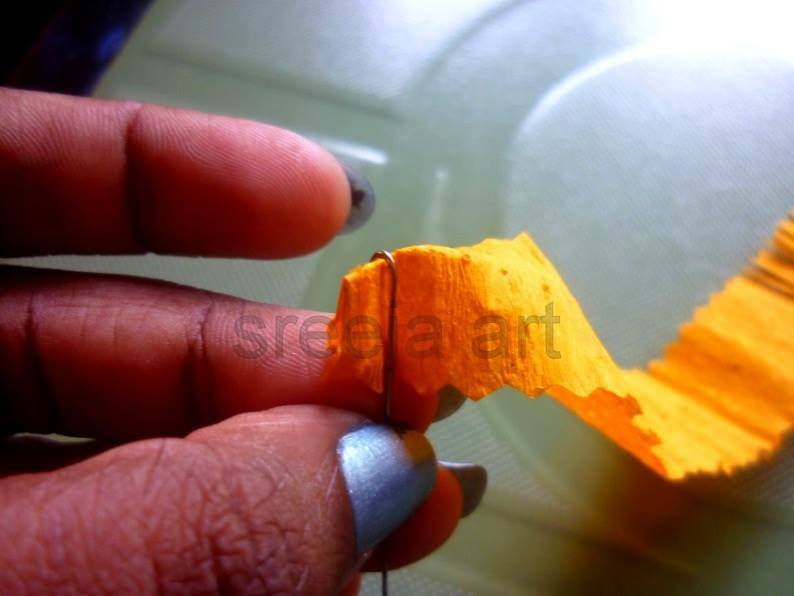 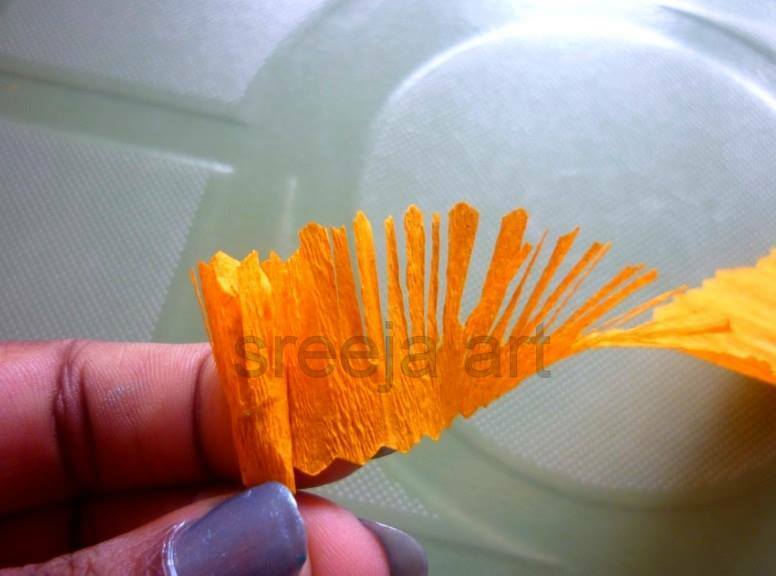 This petal edge should be sharp, so when you make the turns in the province, put the wire at an angle of 45 degrees. 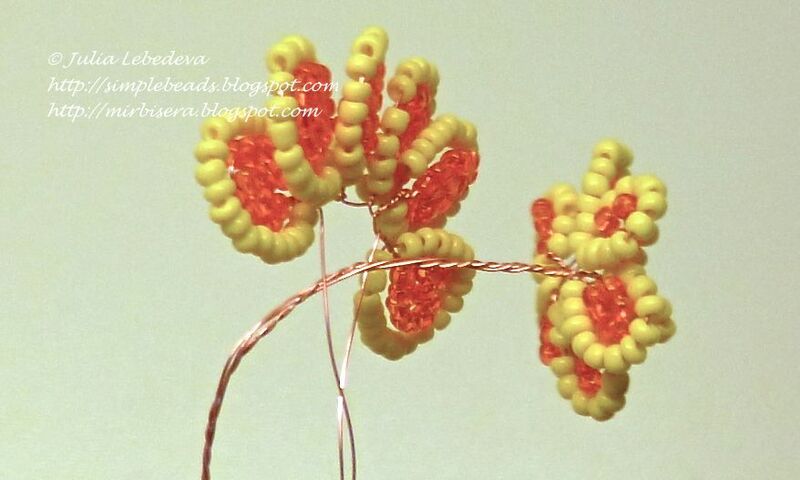 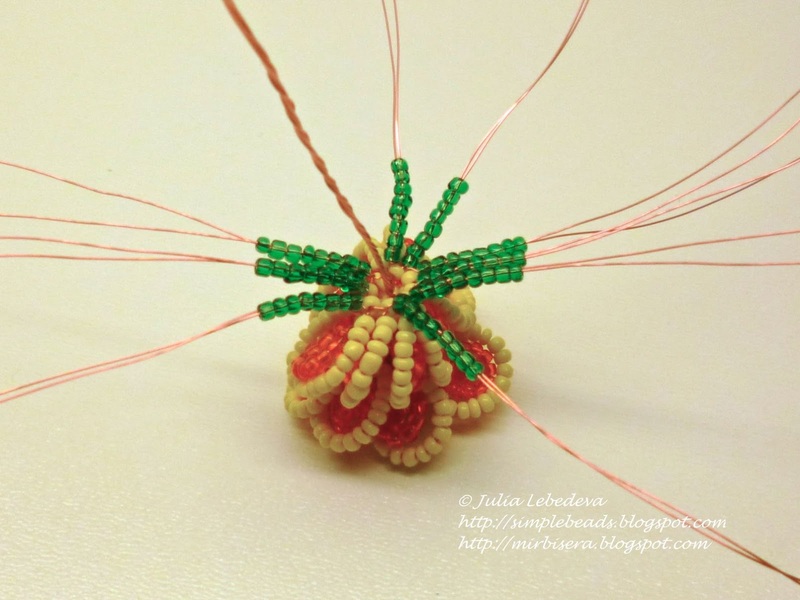 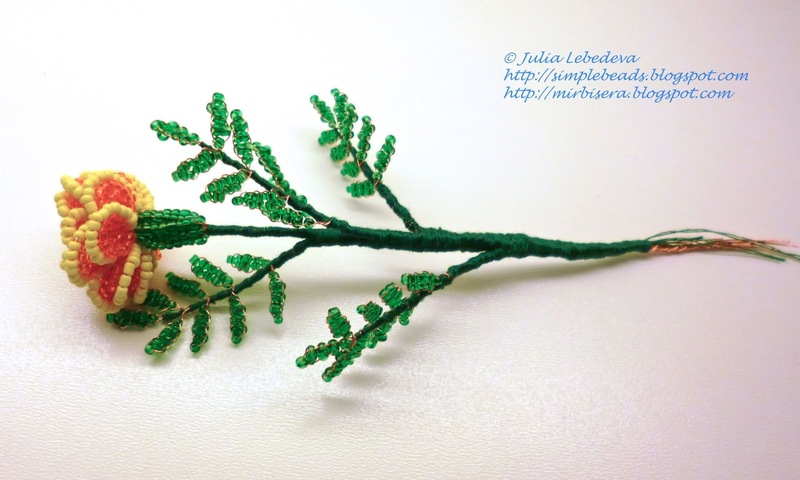 Continue braiding leaf, pulling beads and making turns of wire around a central axis. 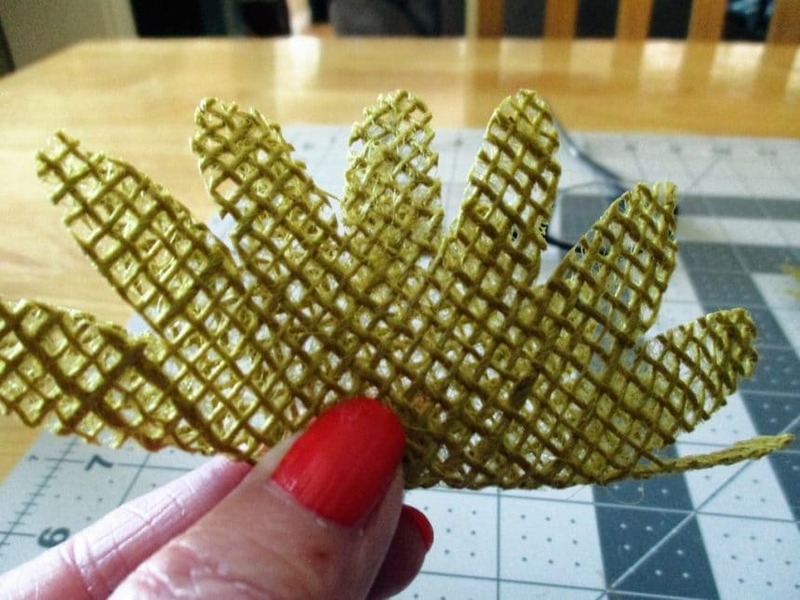 The leaf consists of 11 rows – one central and five rows on each side. 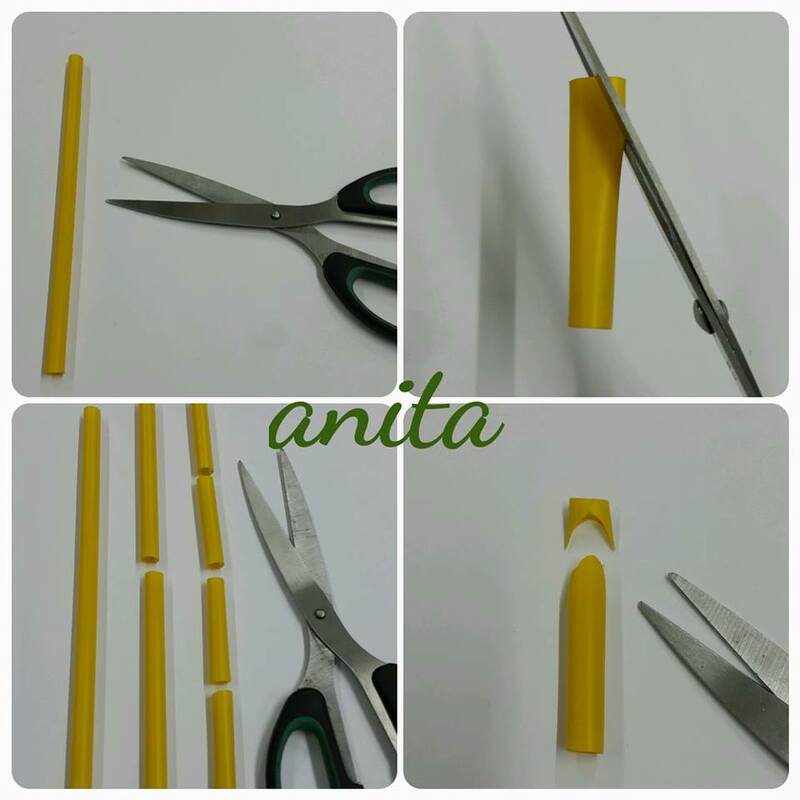 Work wrap tip at the base 2-3 and the coil cut by cutting pliers. 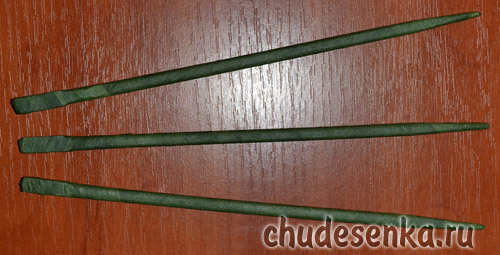 Wire on top of a leaf cut, leaving a tail of 5-6 mm, and bend the tail down. 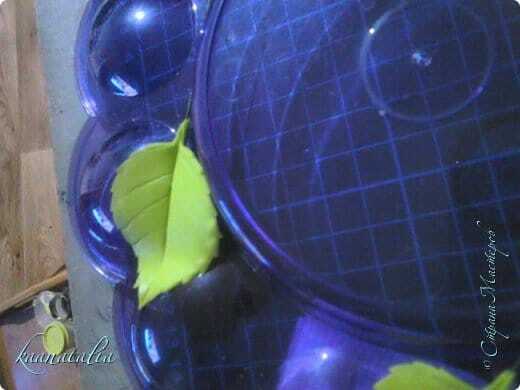 Loop at the bottom of the leaf, twist in the strip. 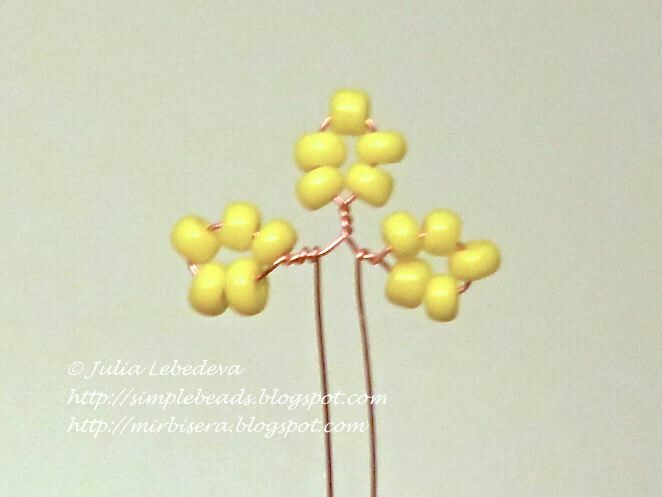 Nanizhite beads onto the wire. 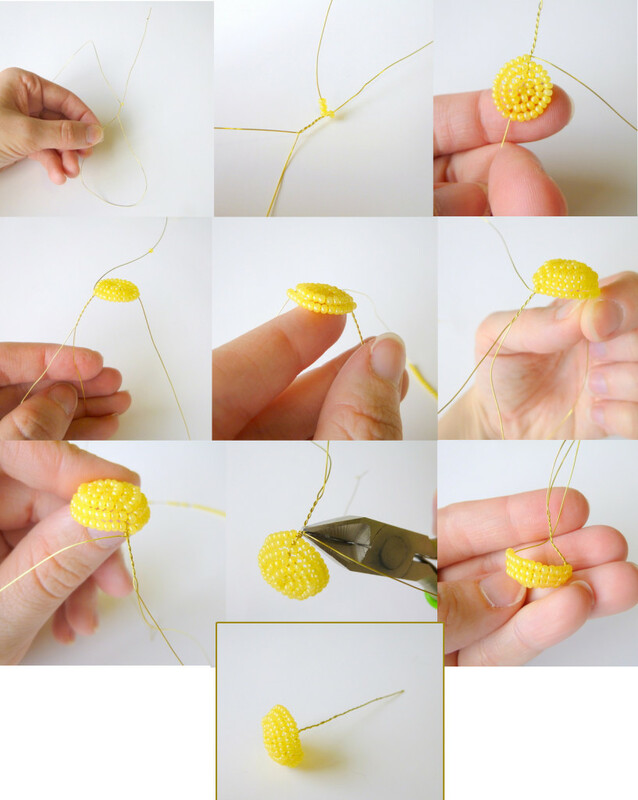 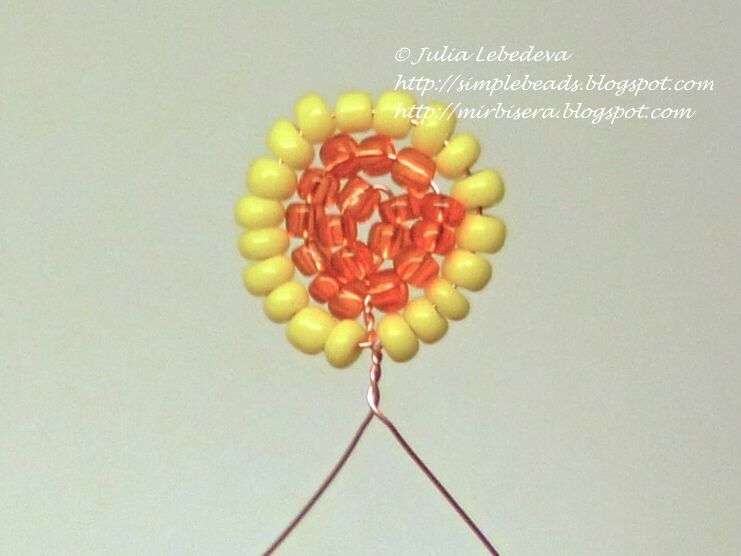 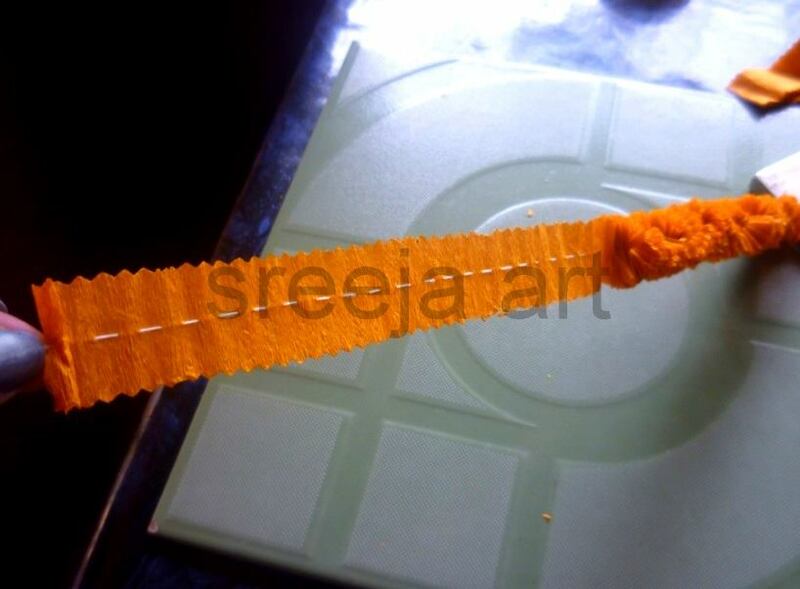 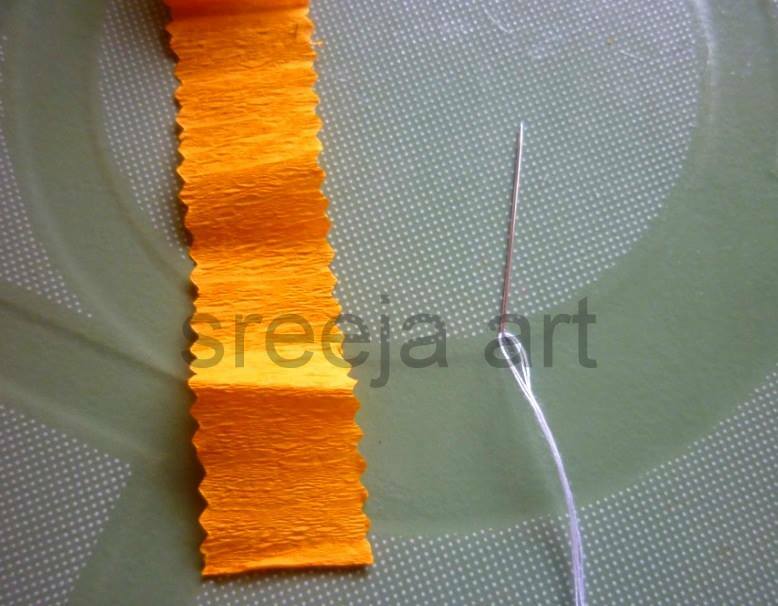 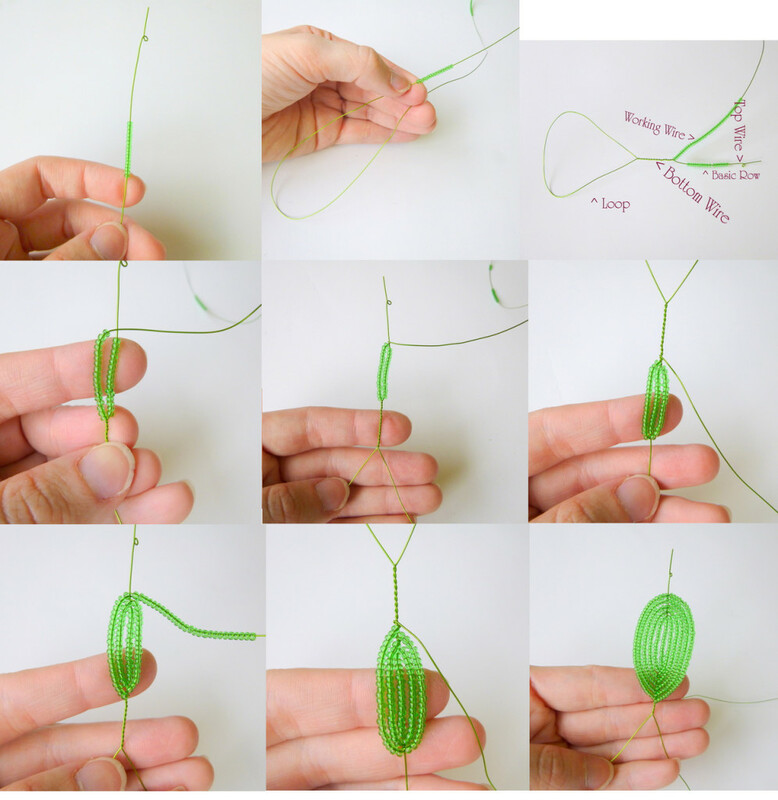 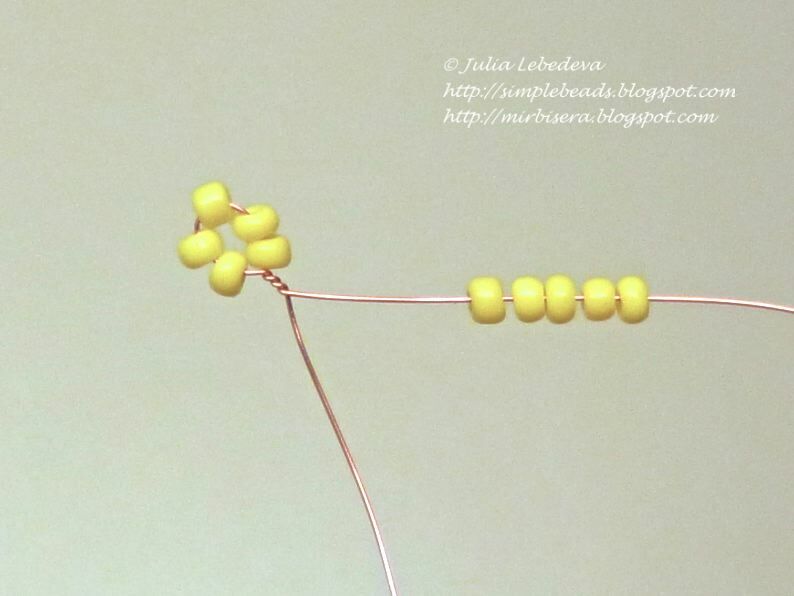 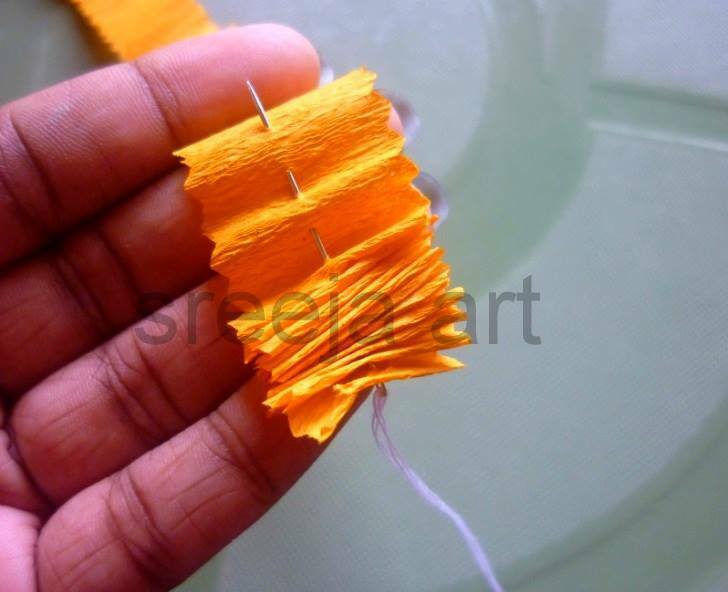 Start weaving like a leaf – a loop on the end of the wire, pull 1 bead and beneath it make a big loop. 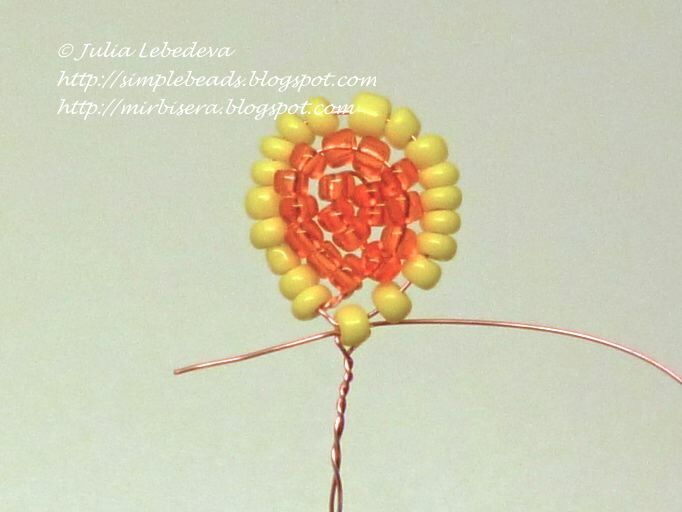 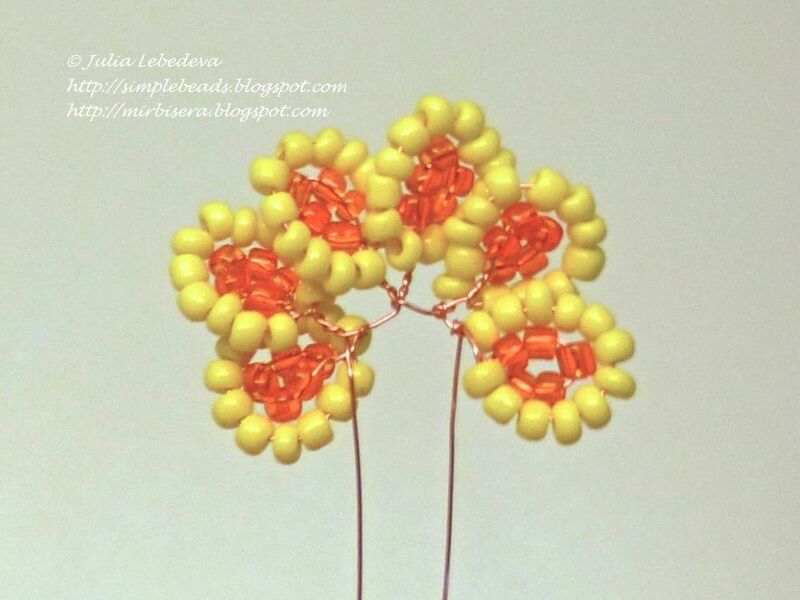 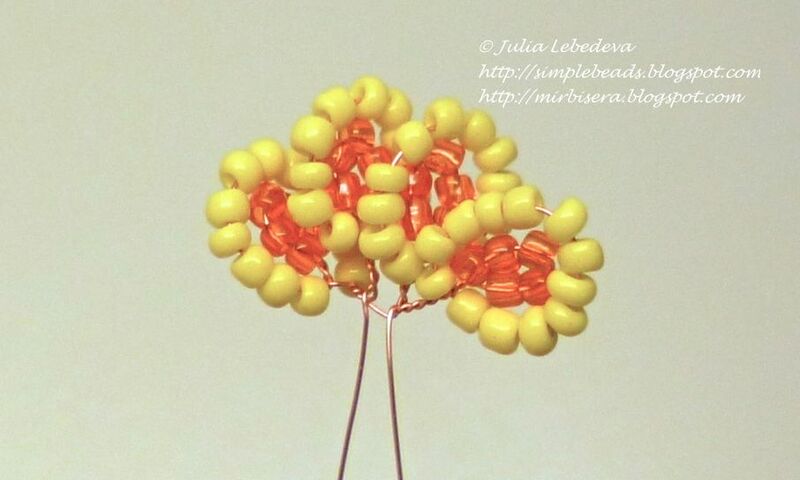 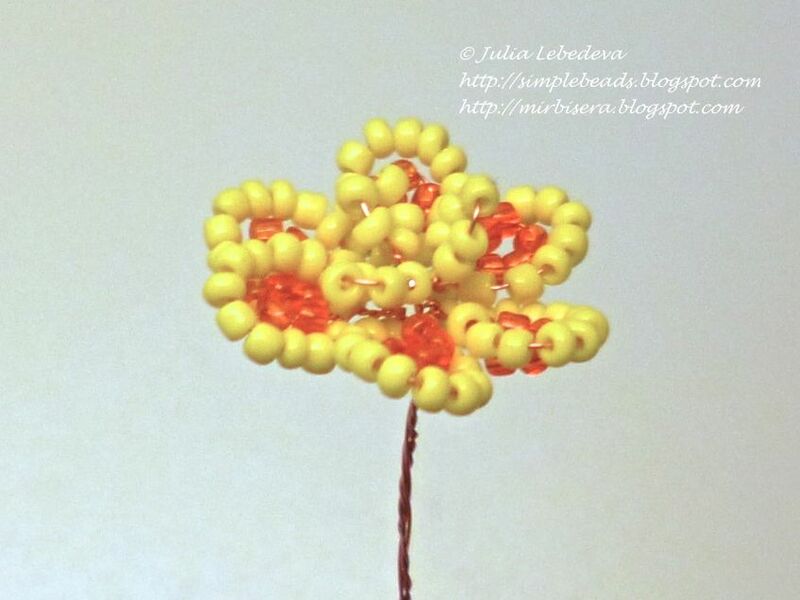 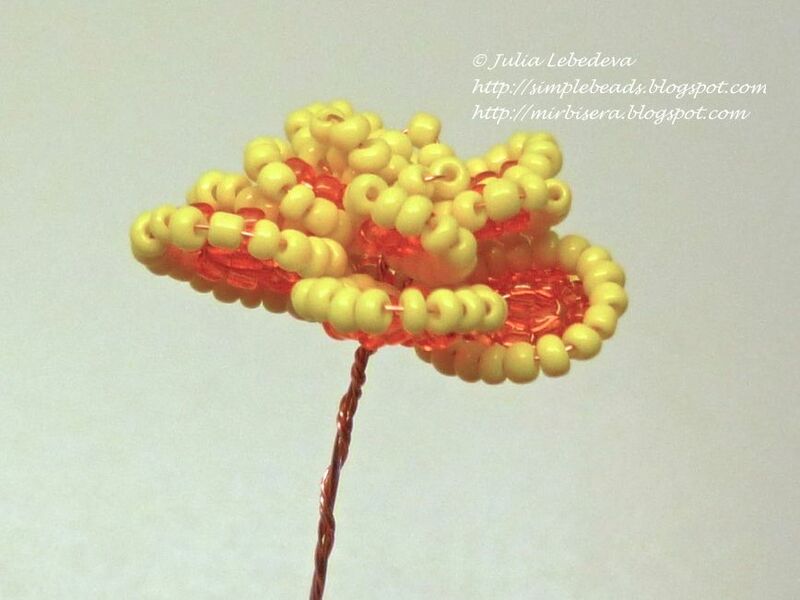 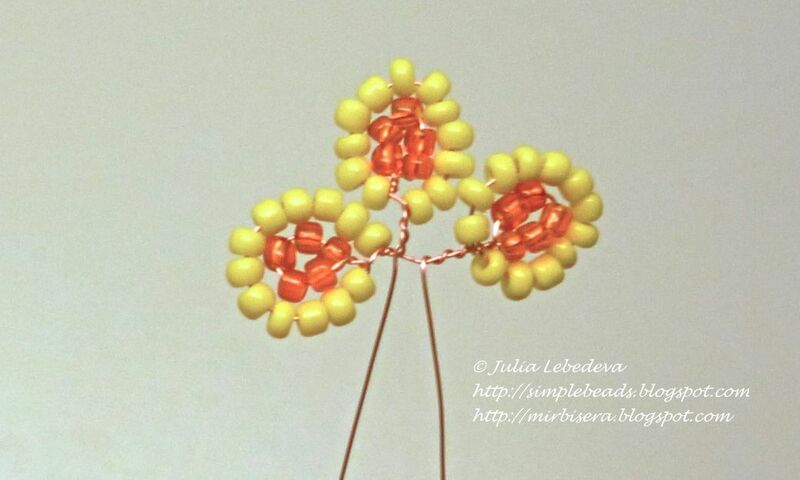 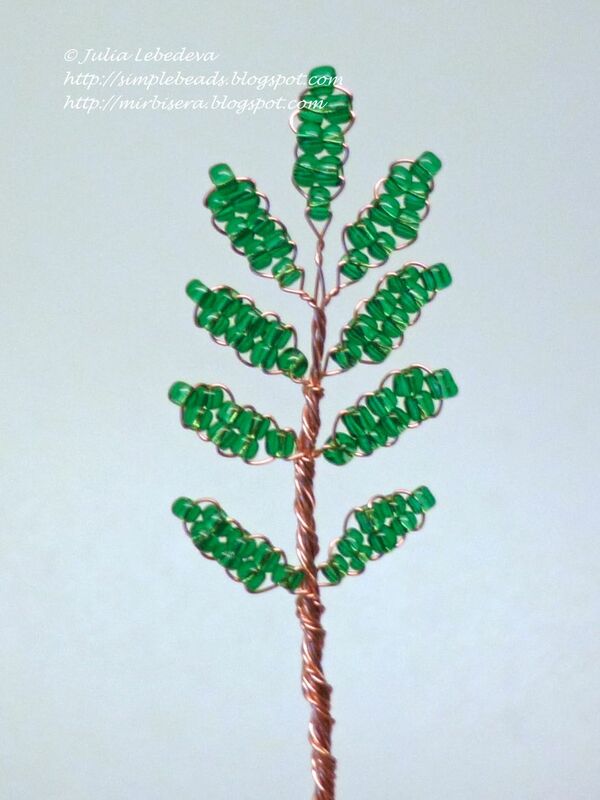 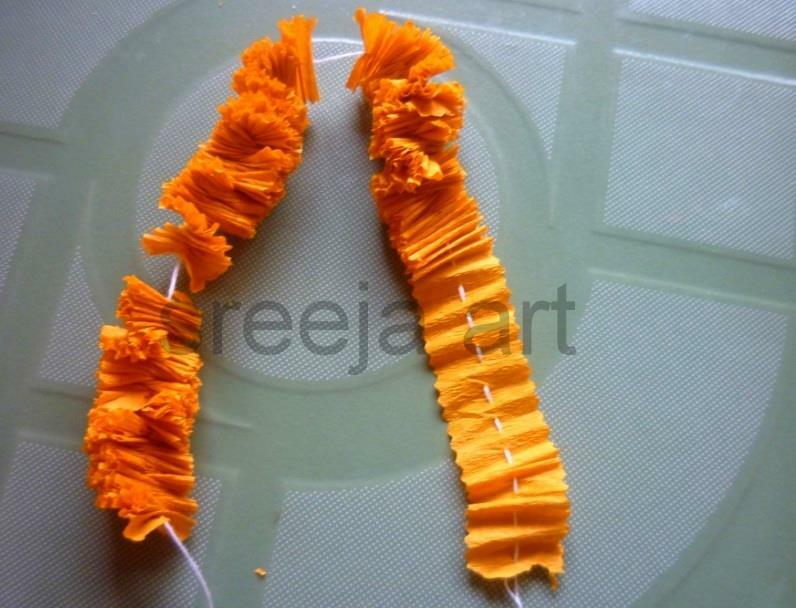 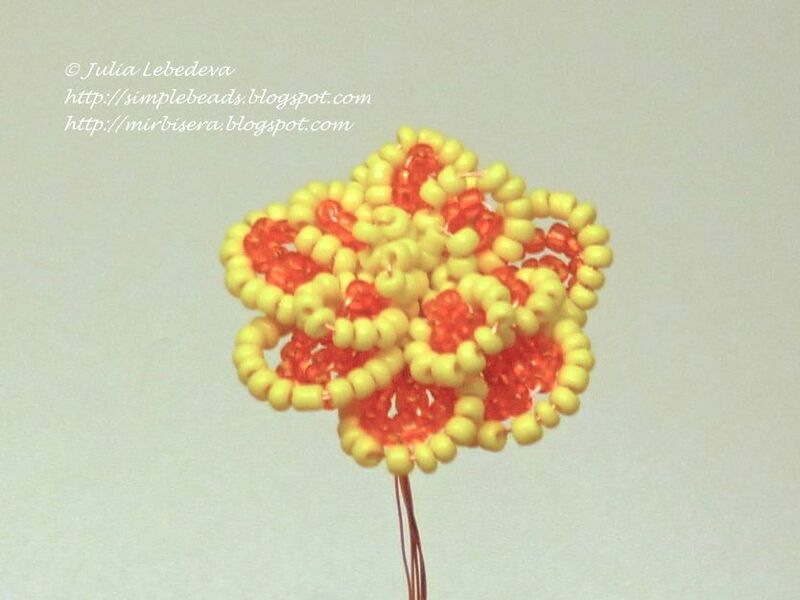 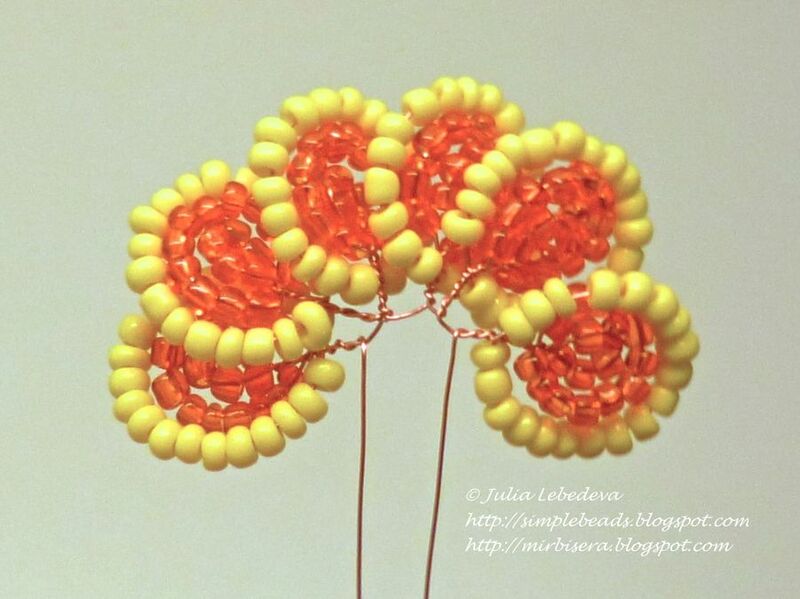 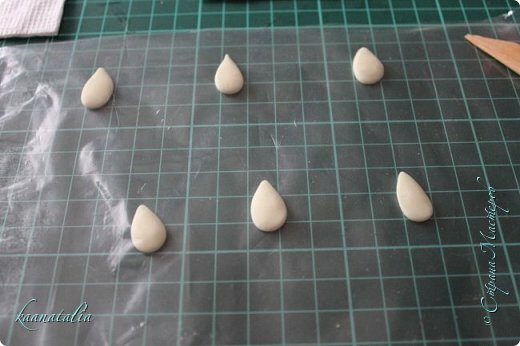 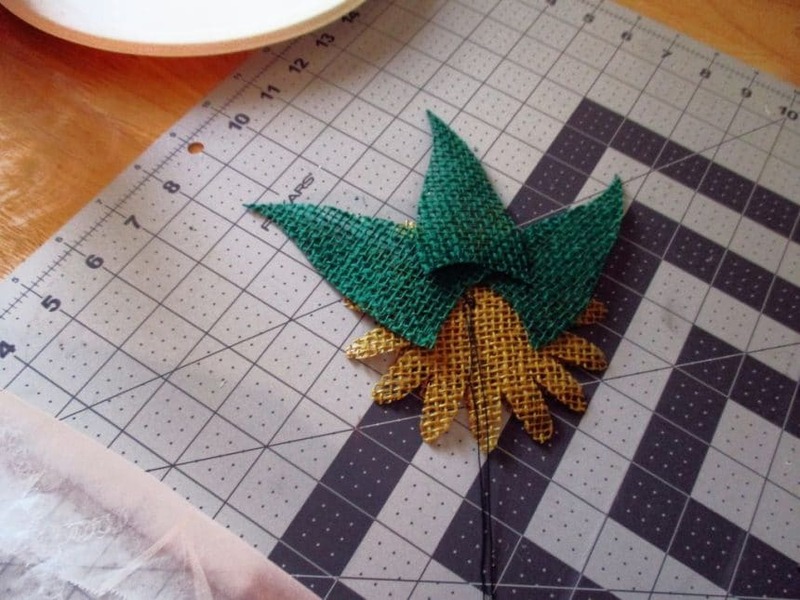 Make a number 2 is similar to the second row of leaves, use 3 beads for him. 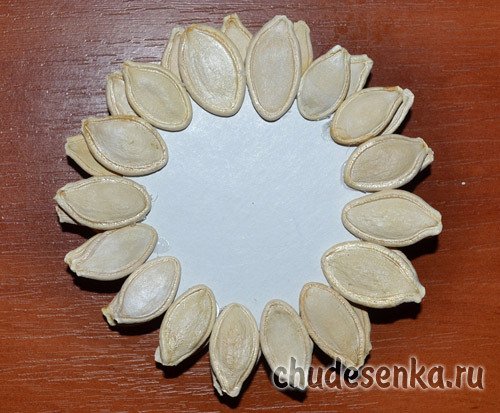 Take the 7-series, forming a circle. 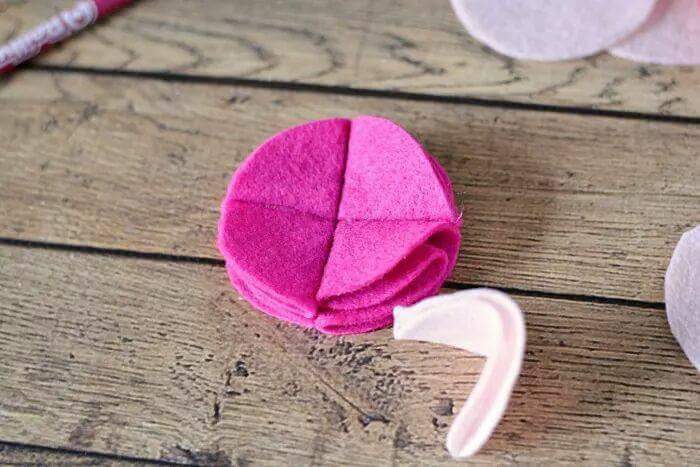 Now you need to give volume. 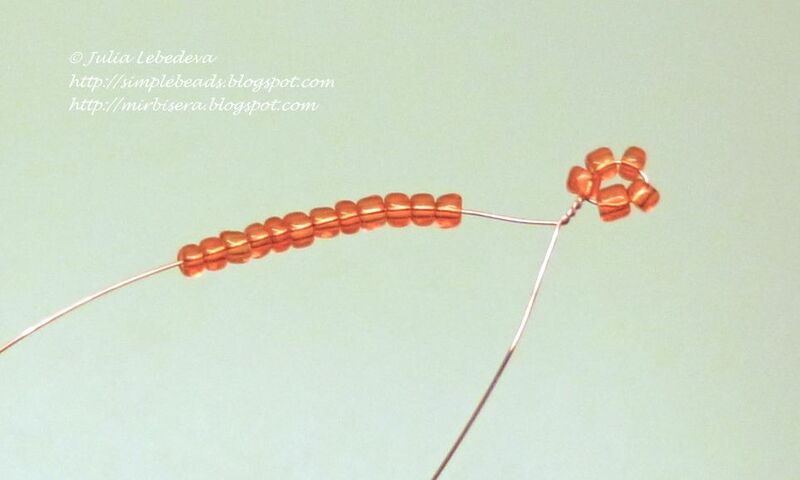 Bend the ends of the wire (the end with a loop and a big loop) downwards. 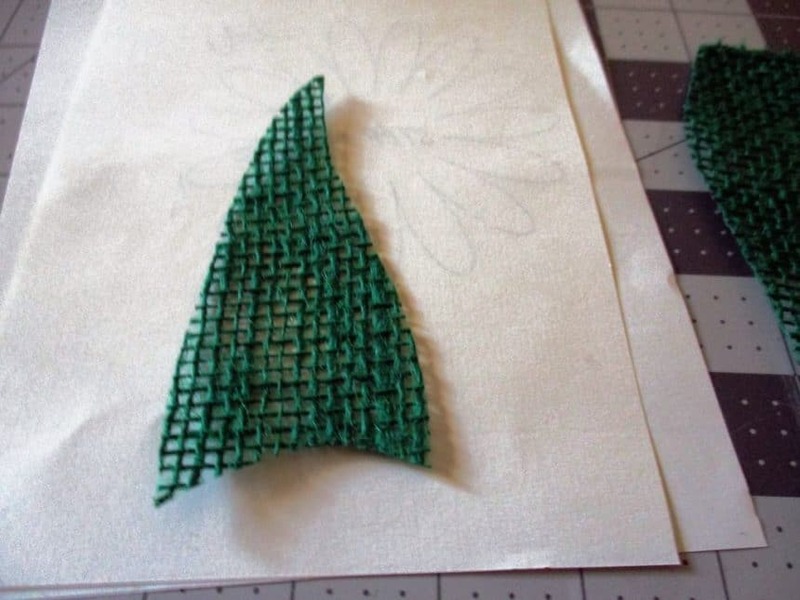 And the Scourge has 4 rows. 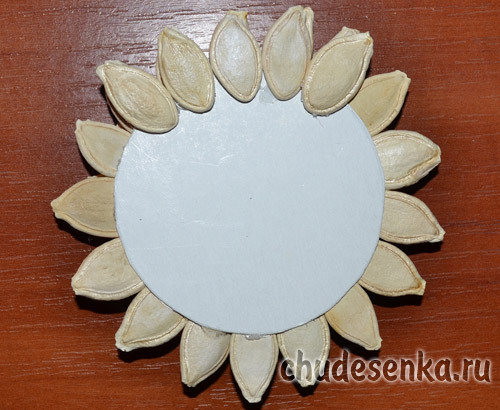 The working end of secure 2-3 turns and cut. 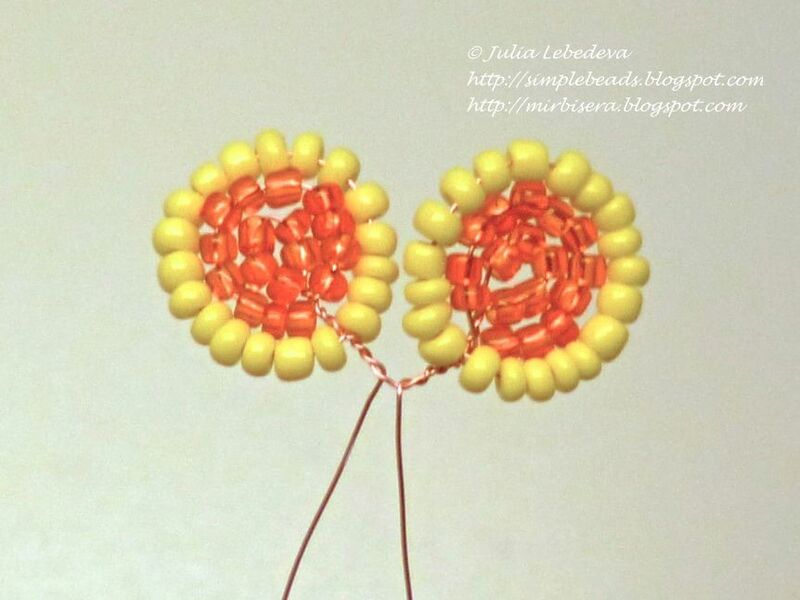 Finished with a loop and large-loop twist with each other. 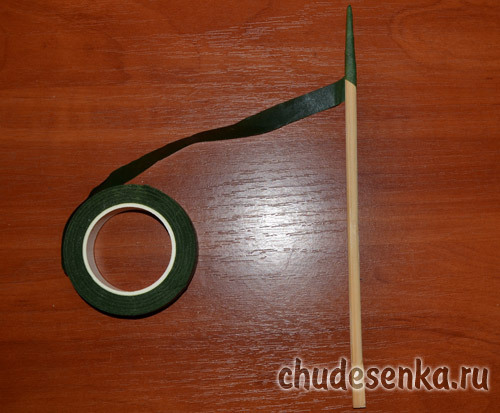 Wrap the wire or rod, adapted to the stem, tape. 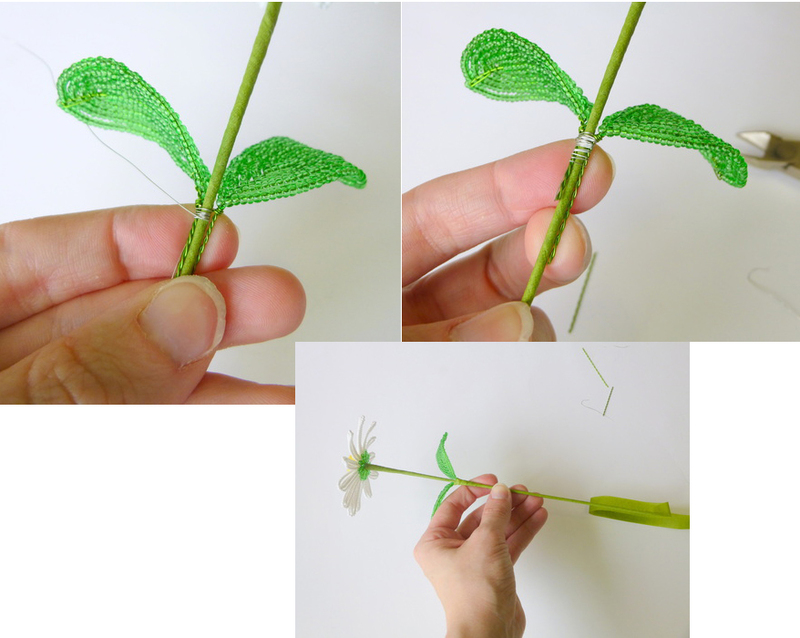 Take heart and attach to the stem, slice its thin wire. 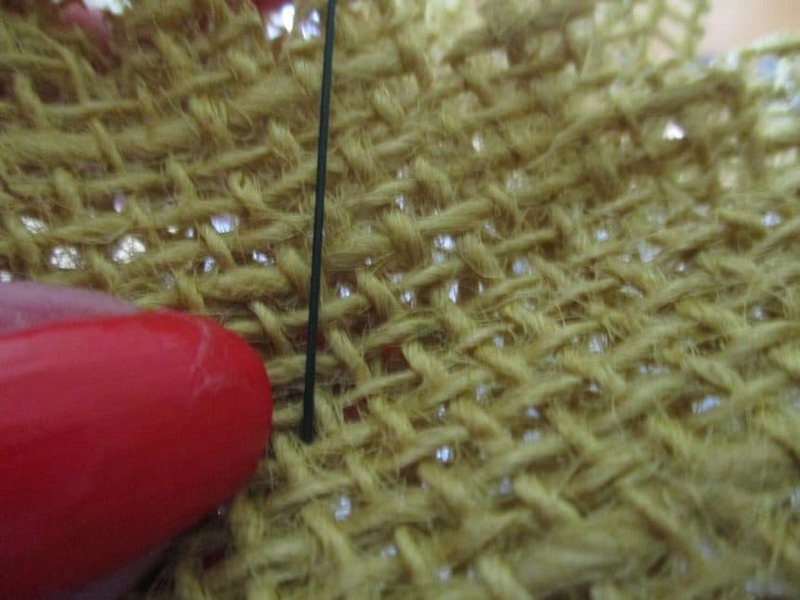 Trim the excess wire from the core. 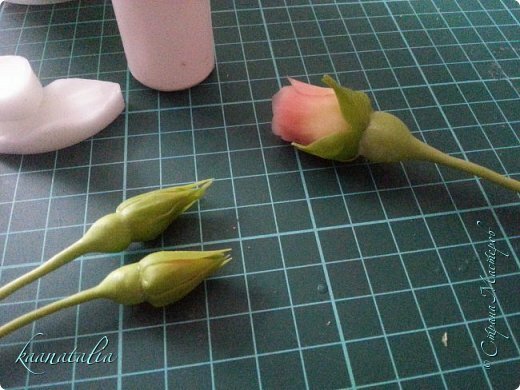 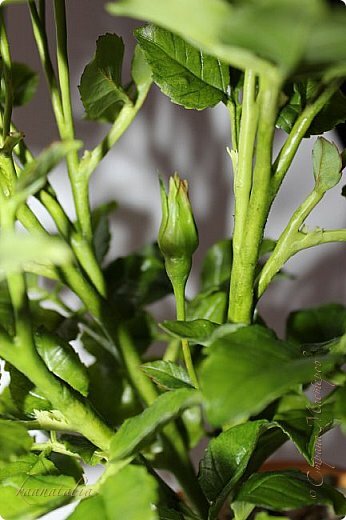 Put the petals and are also strapped to the stem. 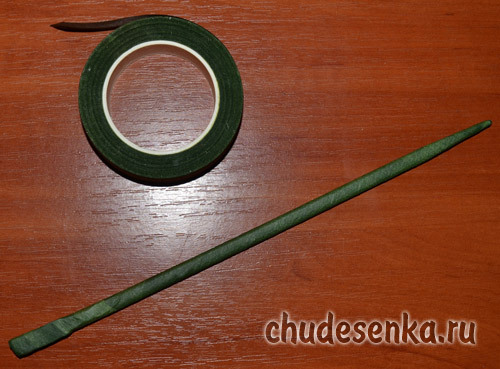 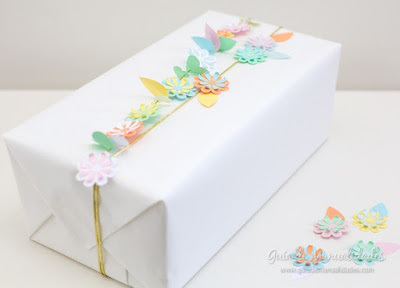 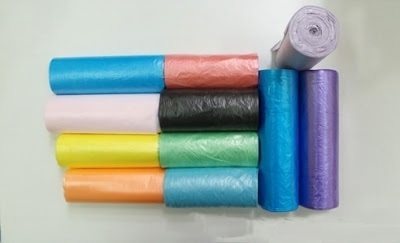 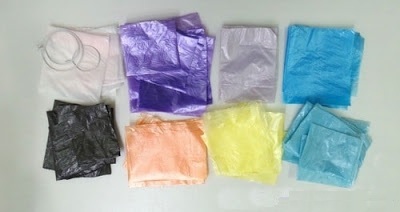 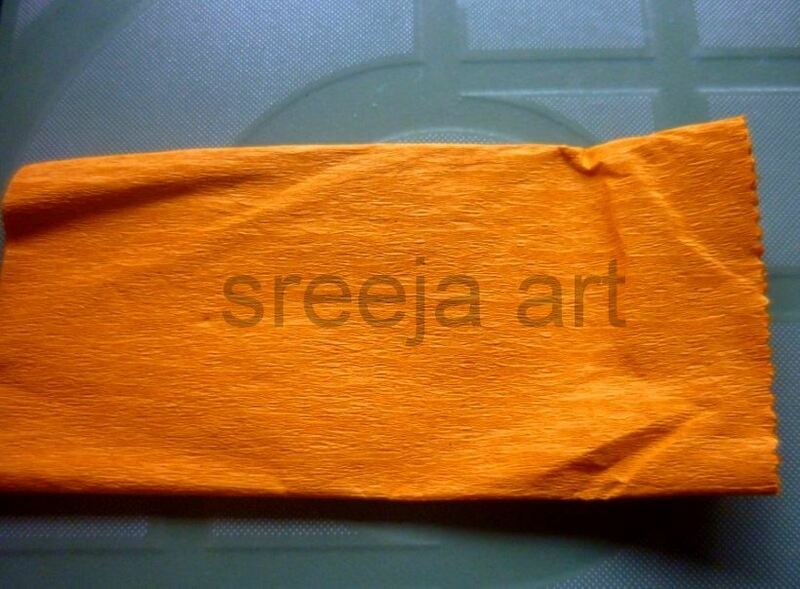 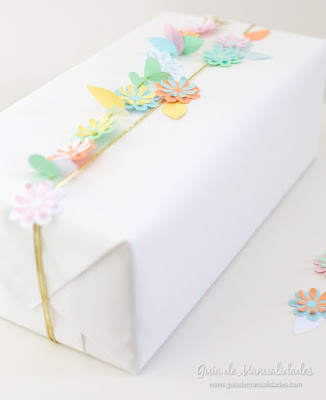 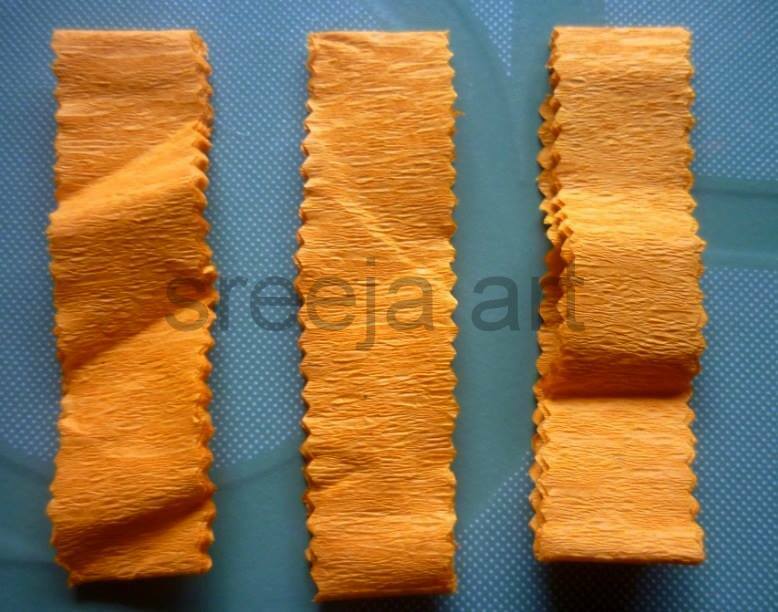 Wrap teip-tape. 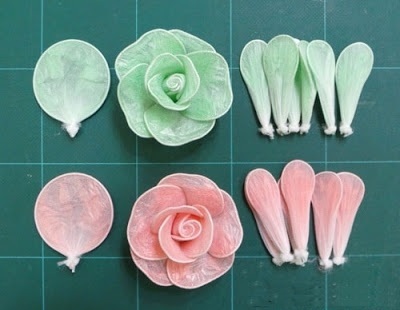 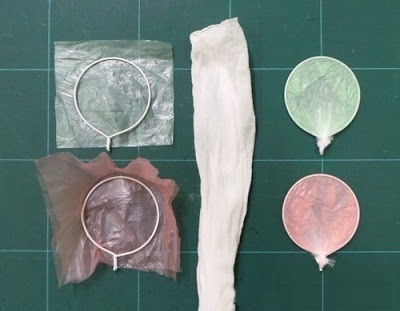 Put sepals, and secure, and once again wrap teip-tape. 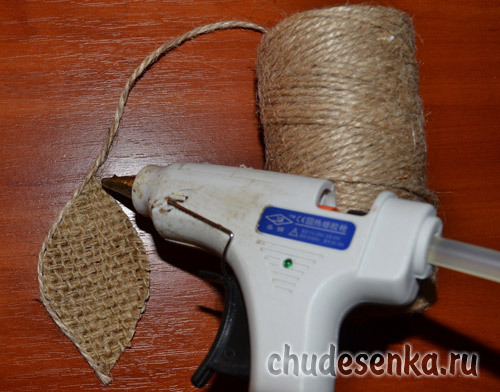 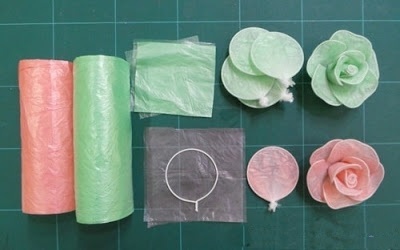 Continue winding teip-tape to the point where the plan to strengthen the leaves. 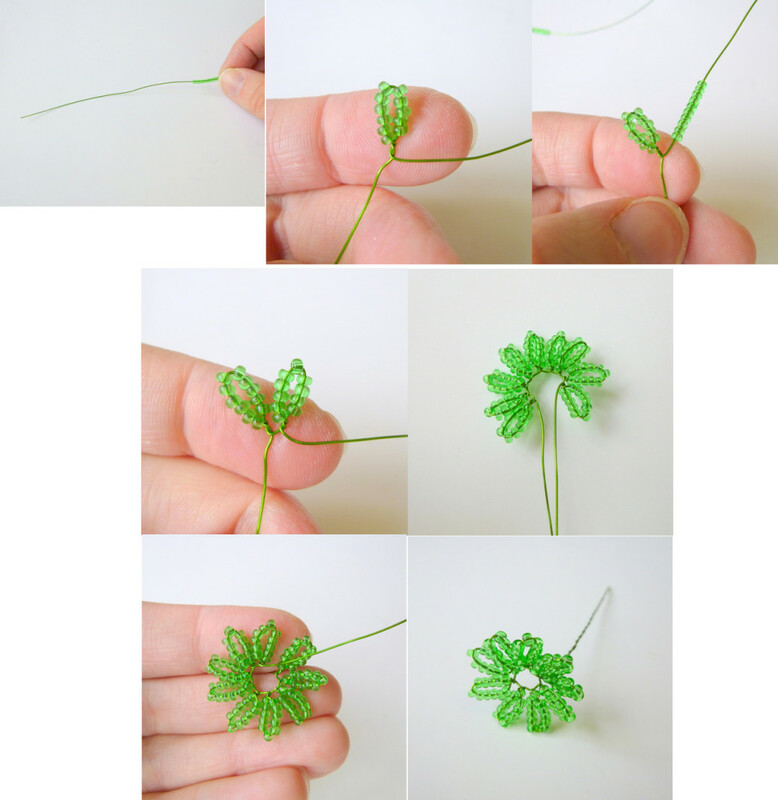 wire leaves. 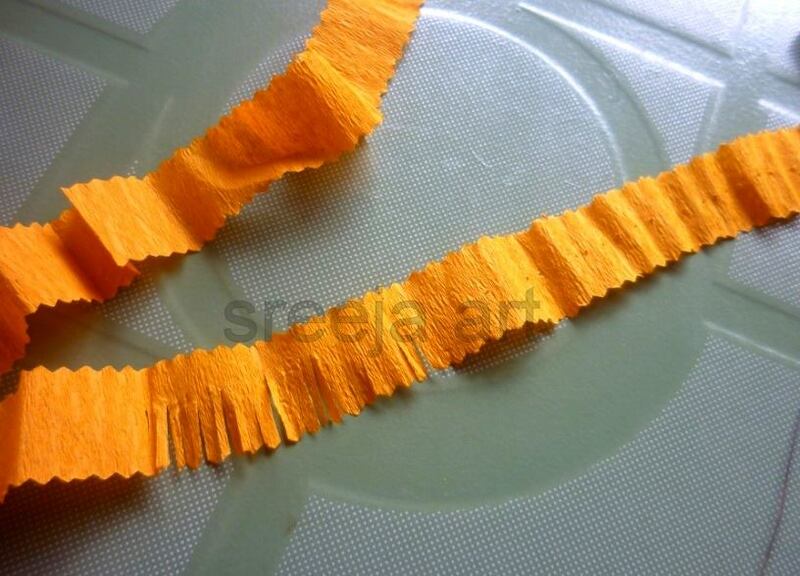 Wrap-teip ribbon stalk residue. 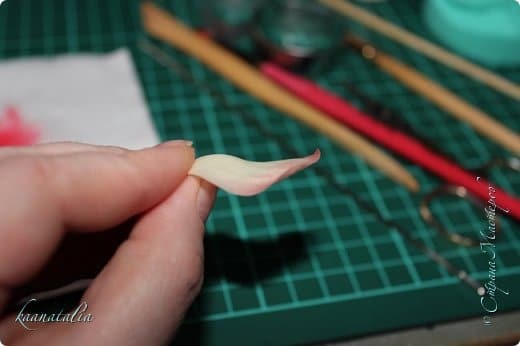 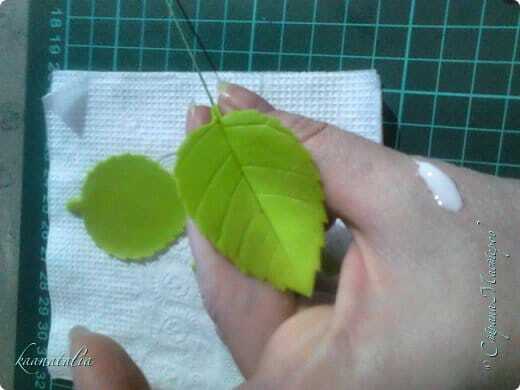 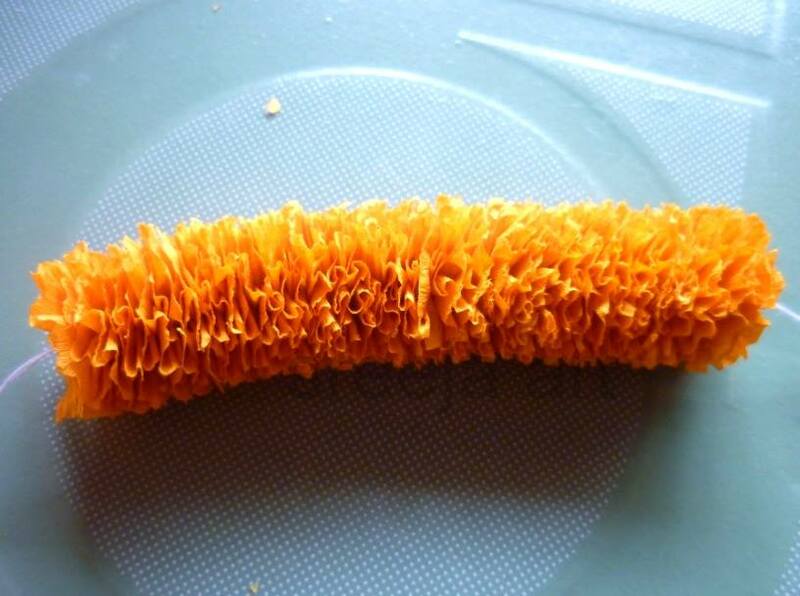 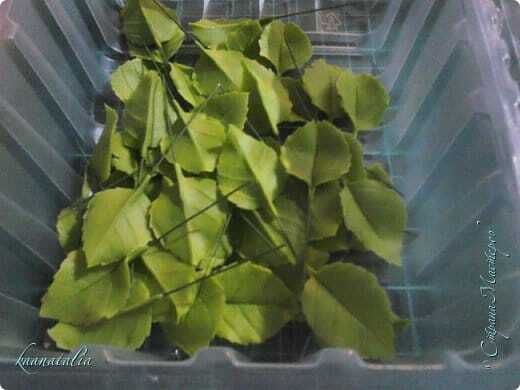 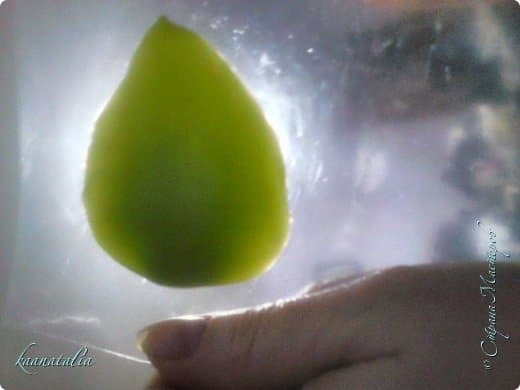 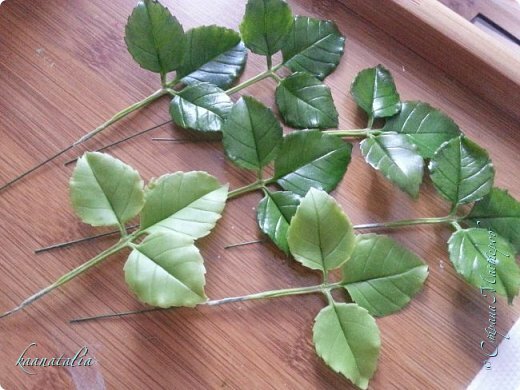 Curl it slightly toward the leaves, giving them a nice shape. 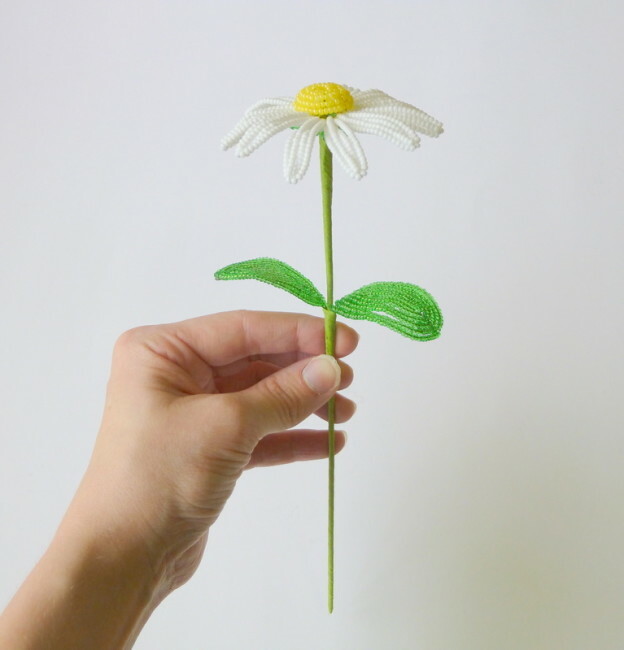 Chamomile is ready! 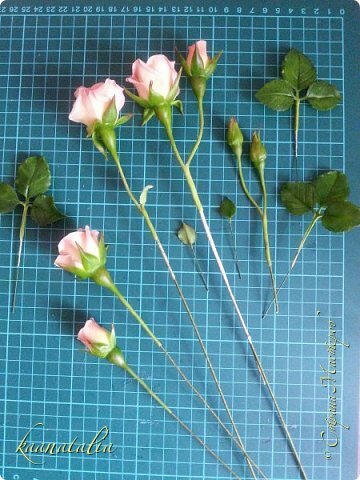 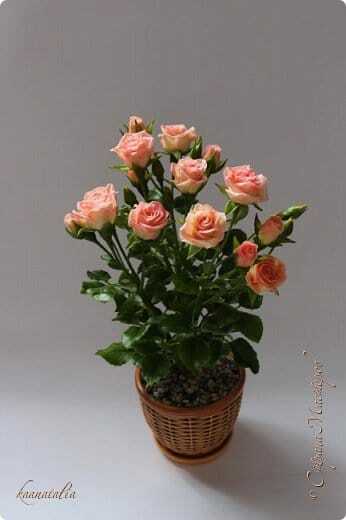 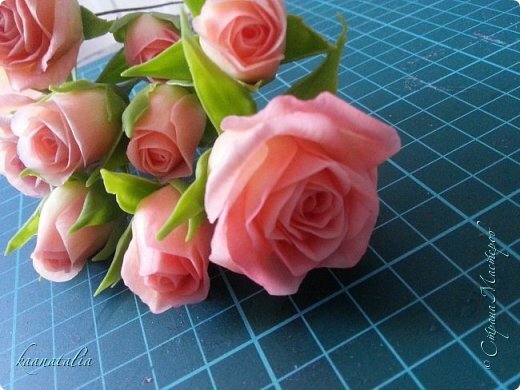 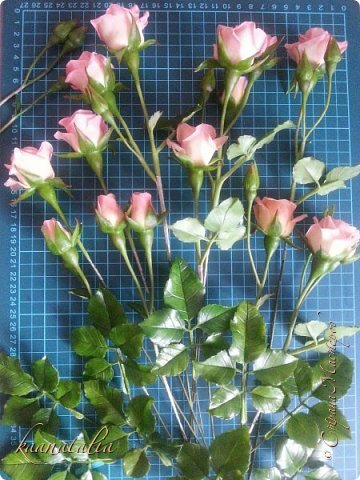 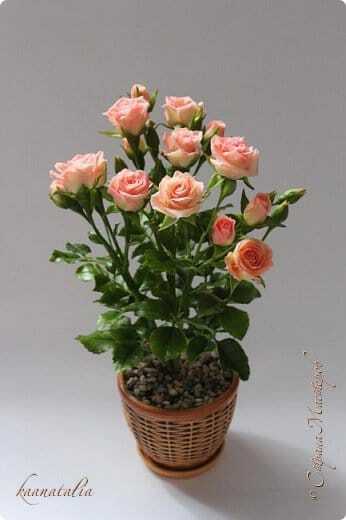 It remains to weave a few flowers to make a bouquet.